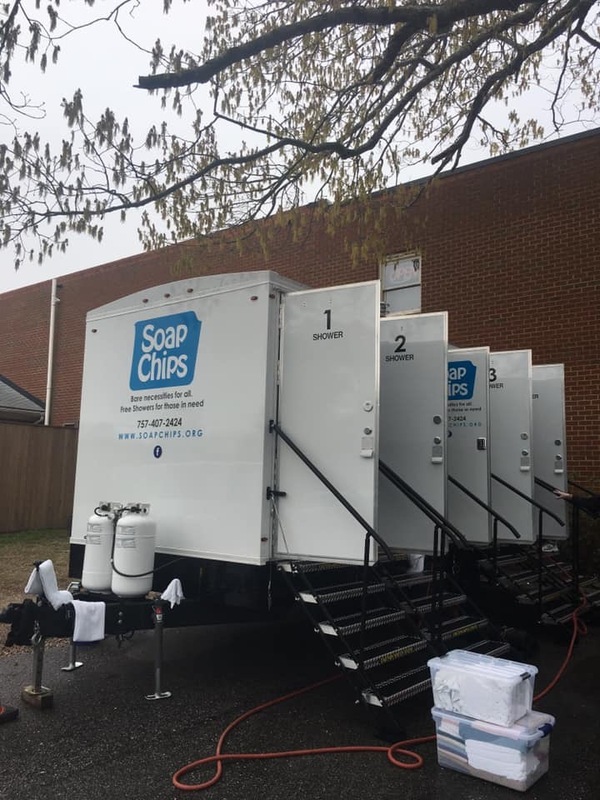 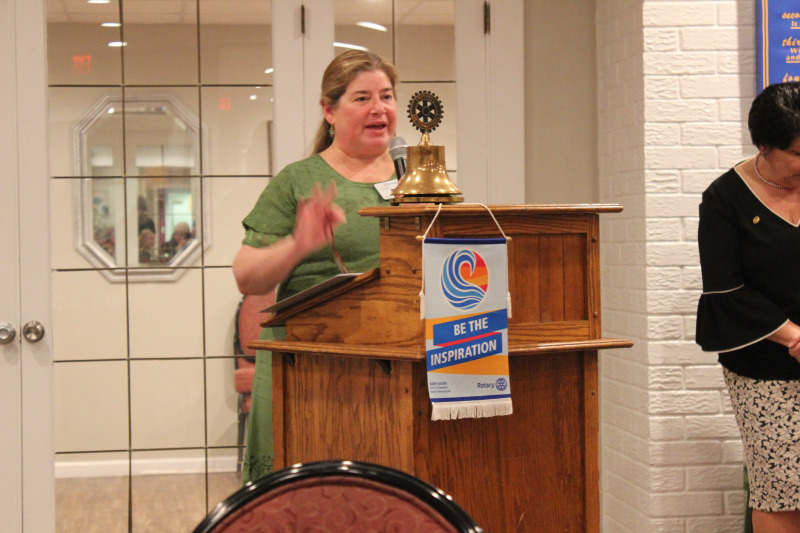 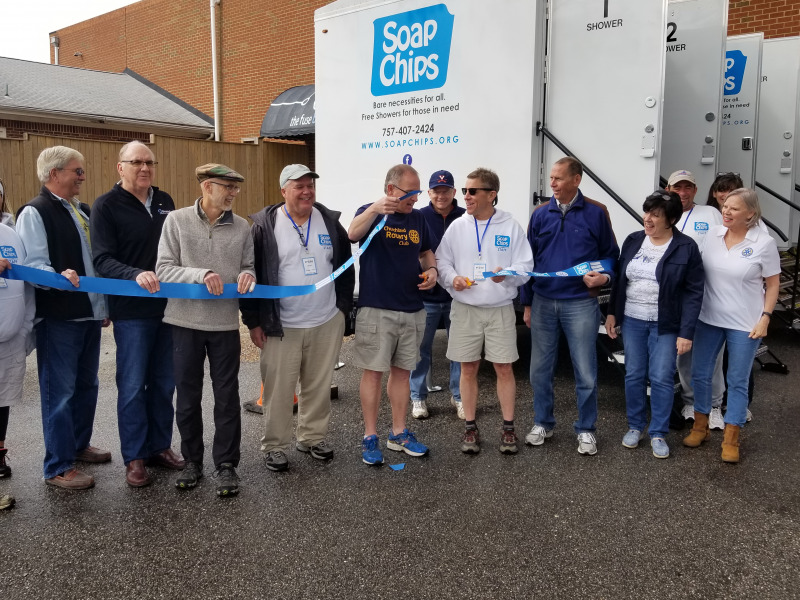 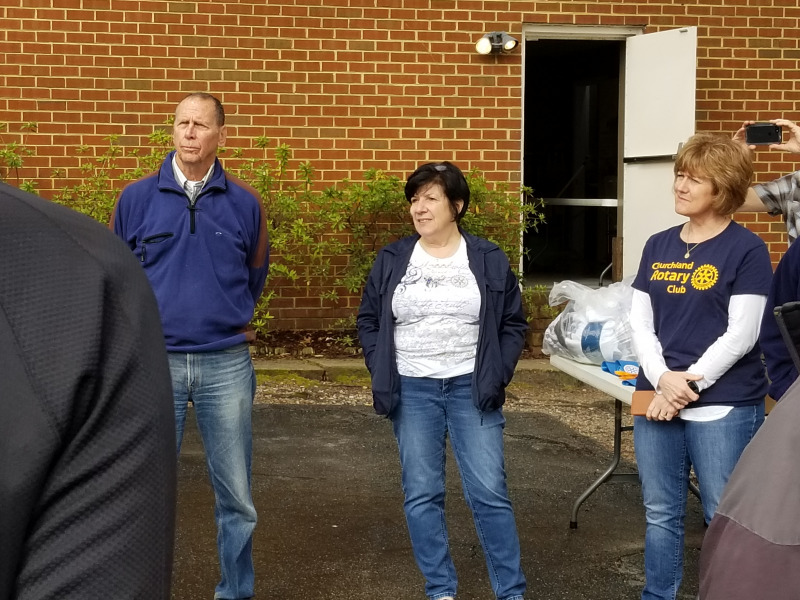 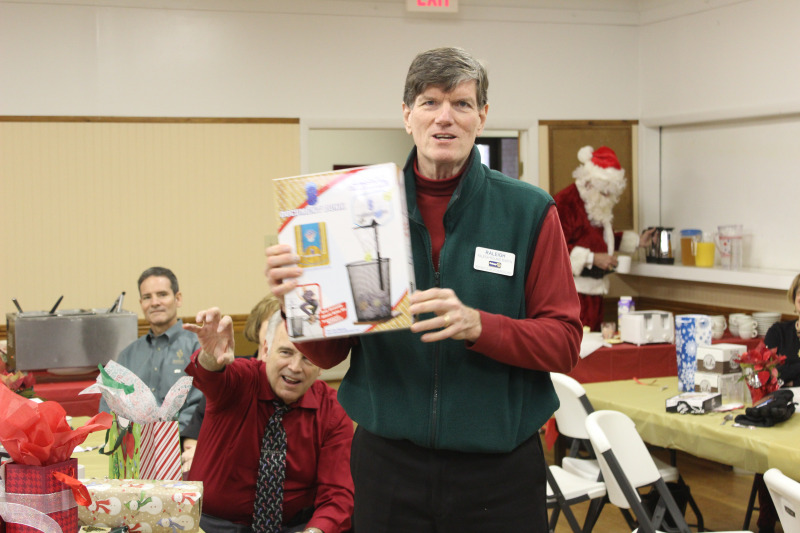 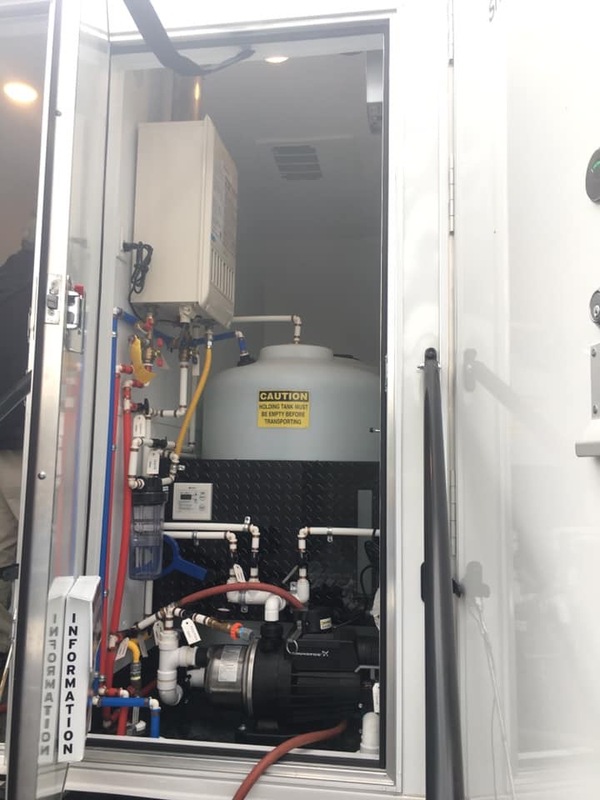 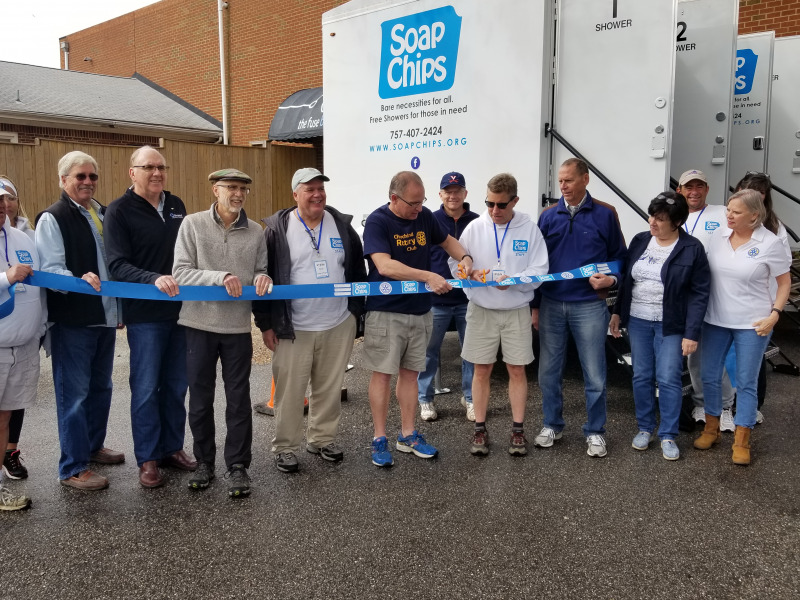 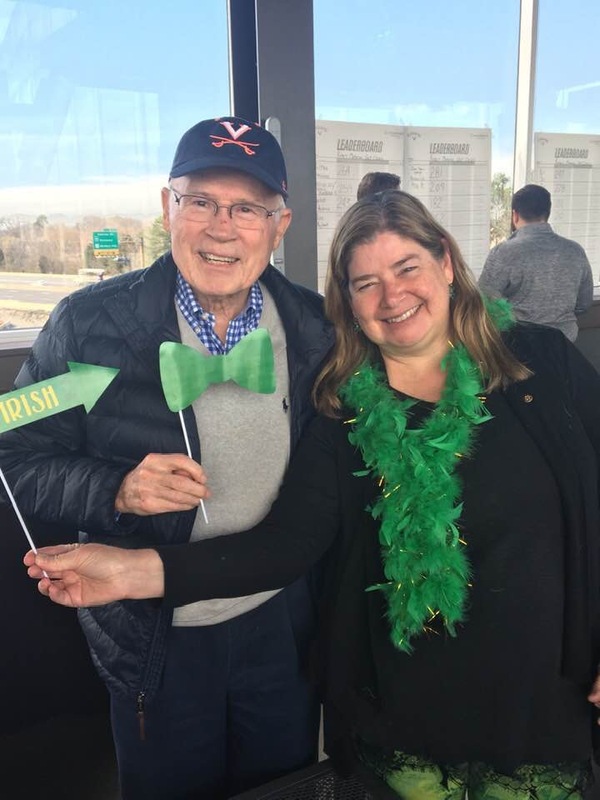 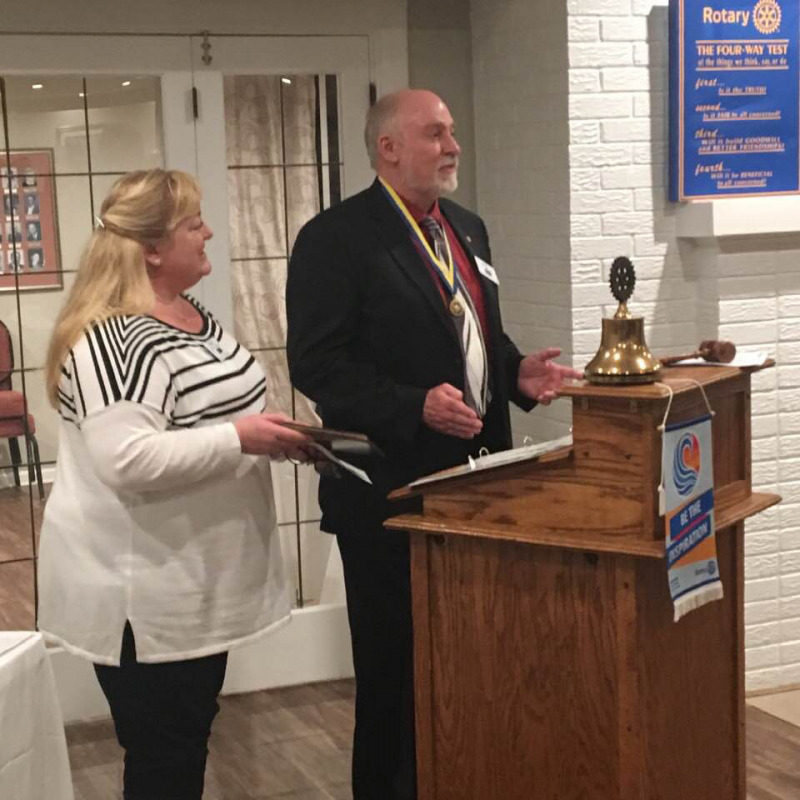 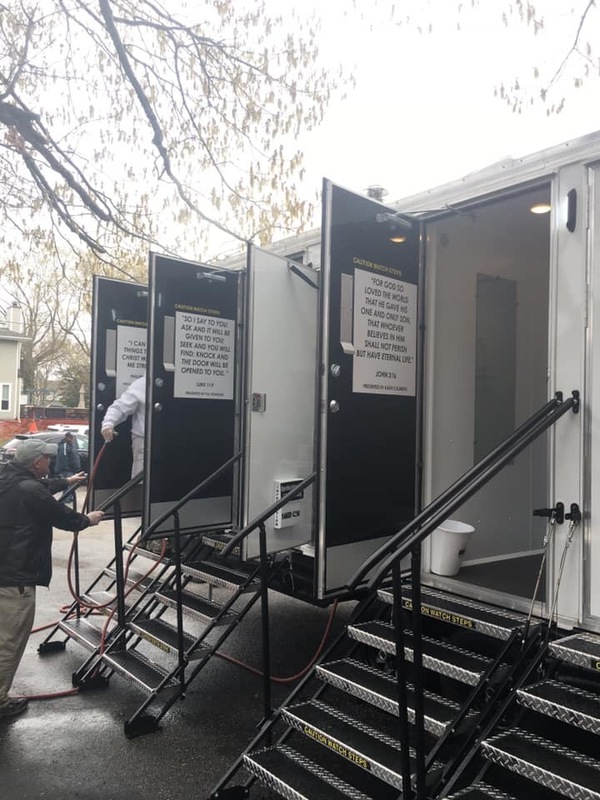 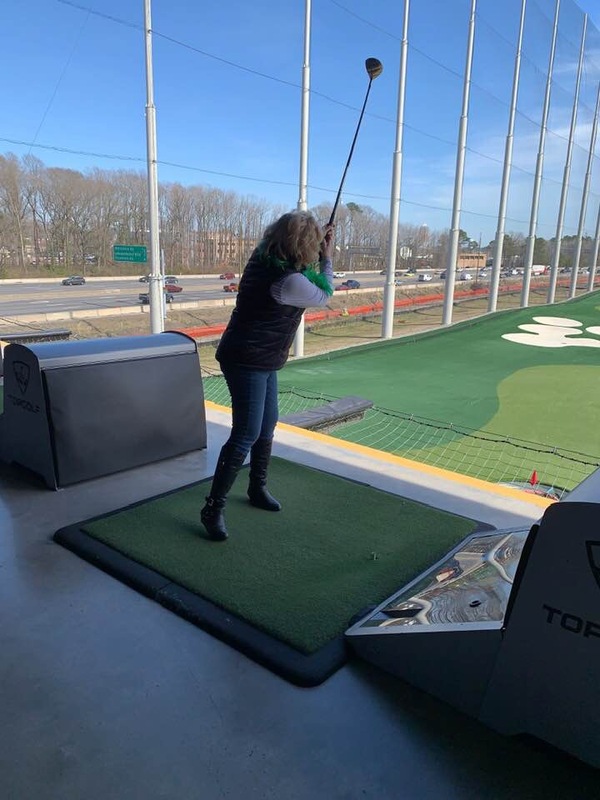 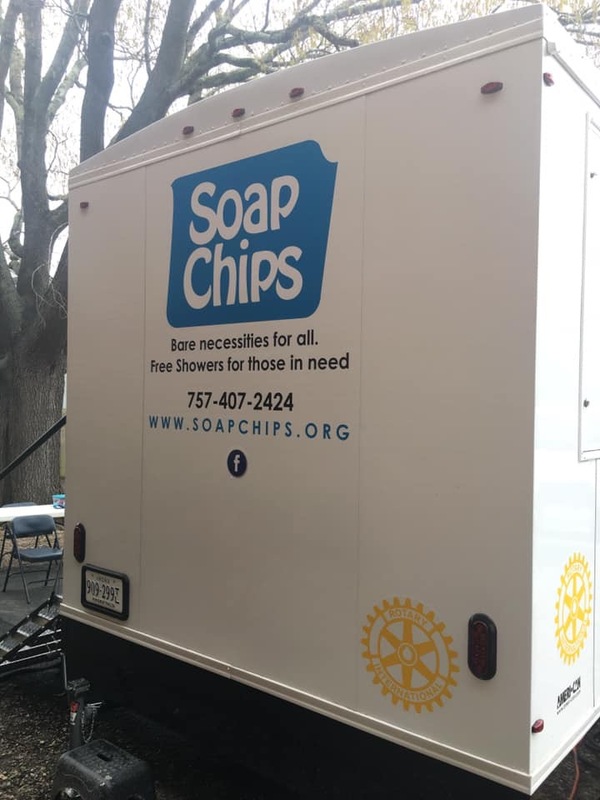 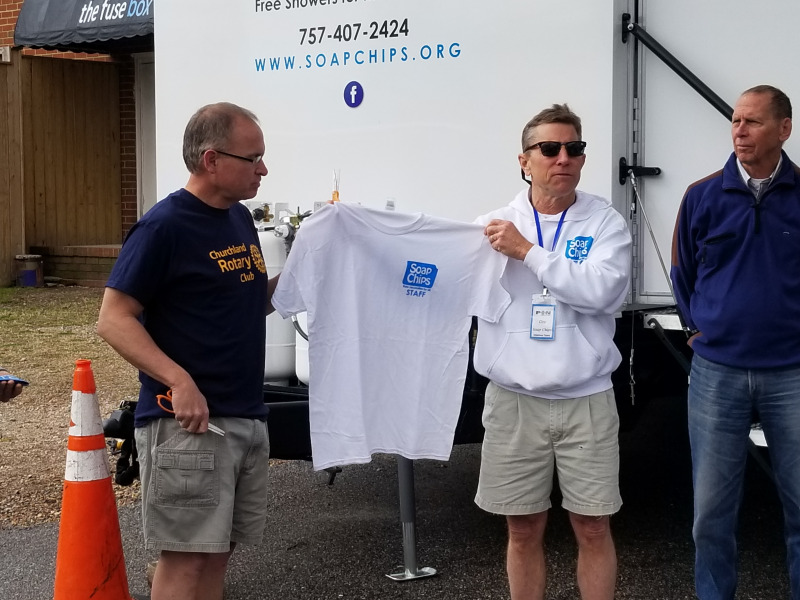 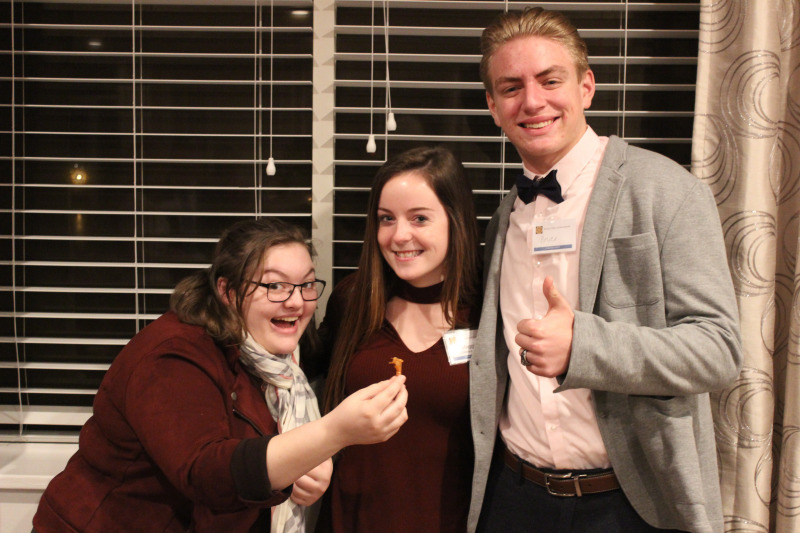 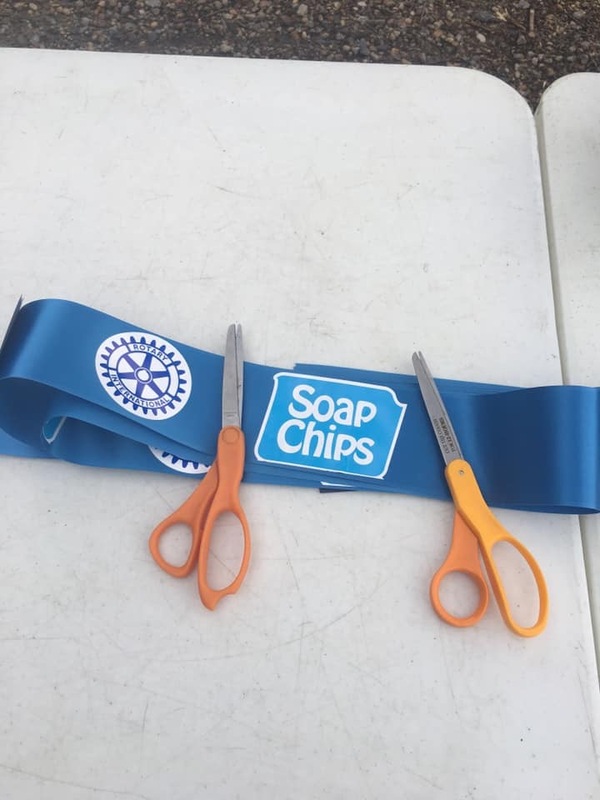 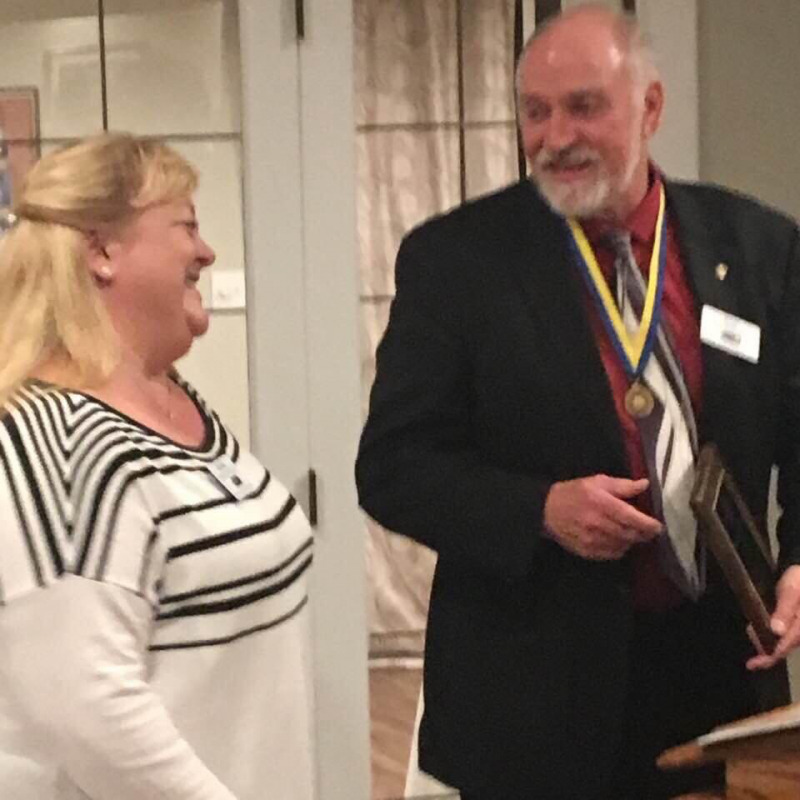 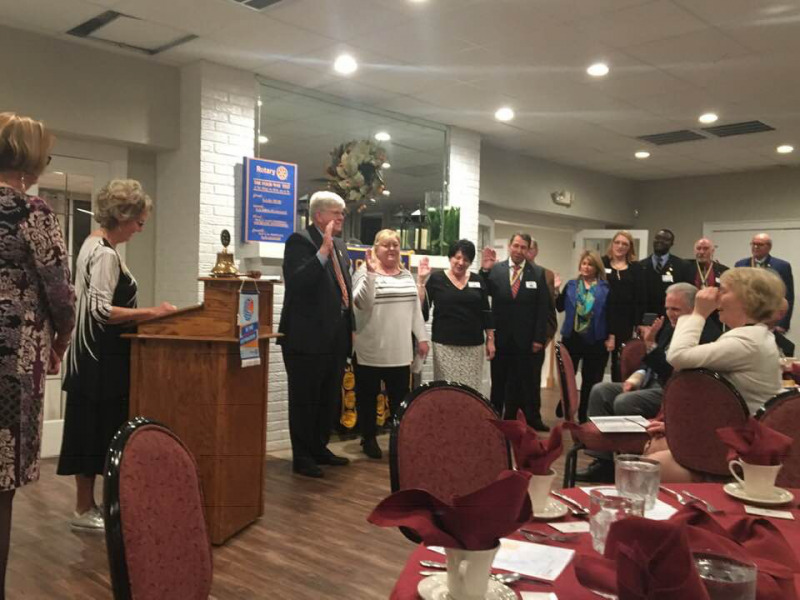 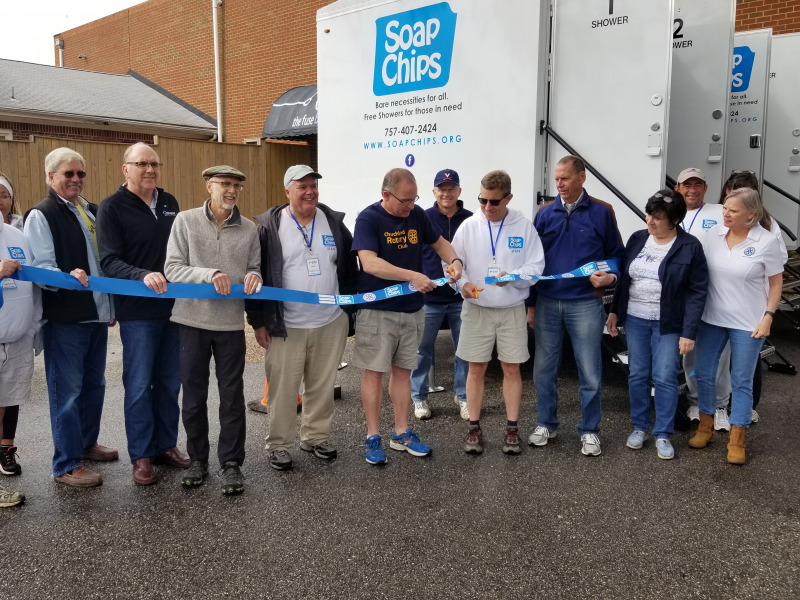 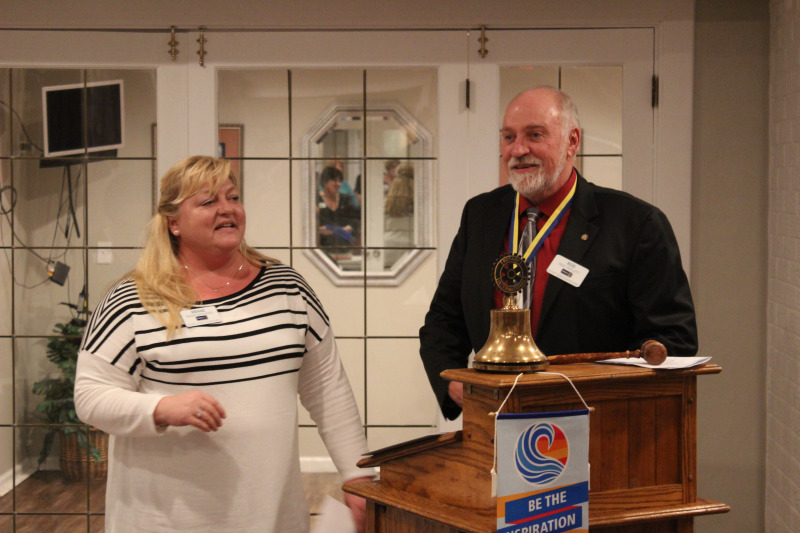 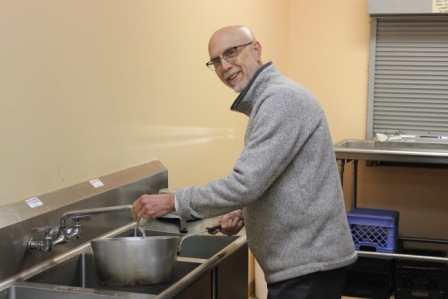 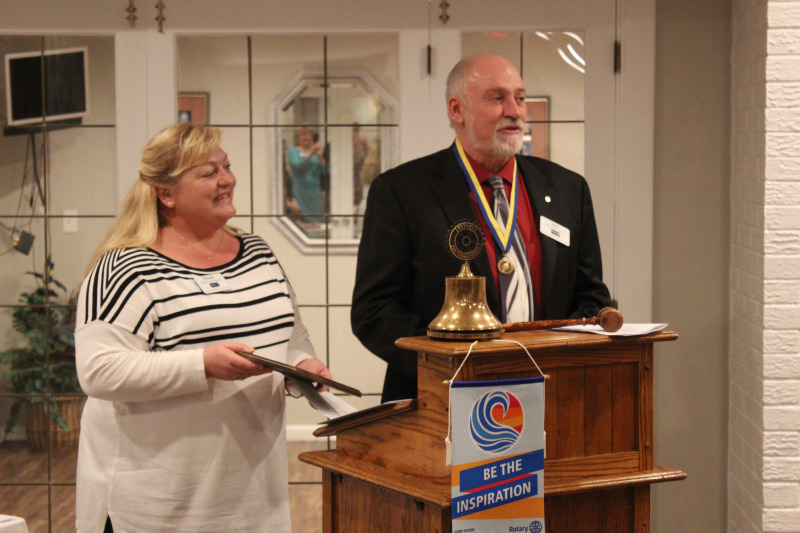 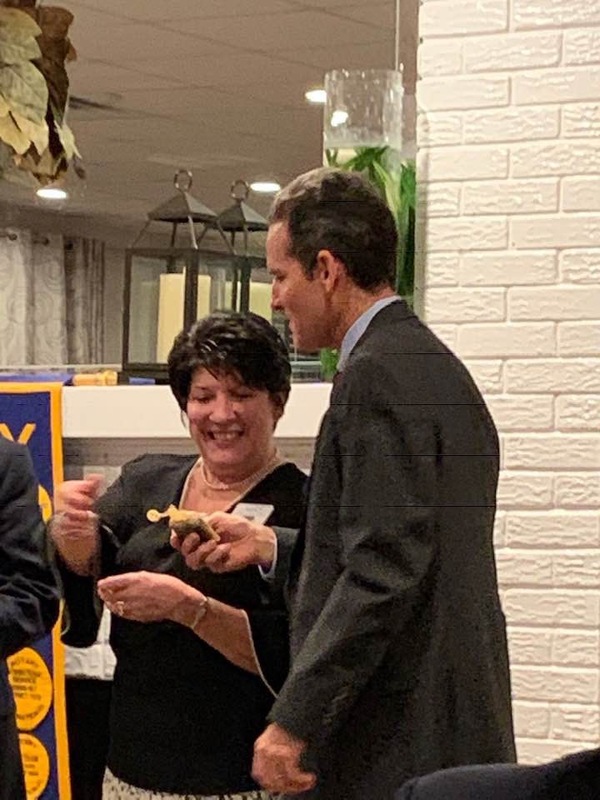 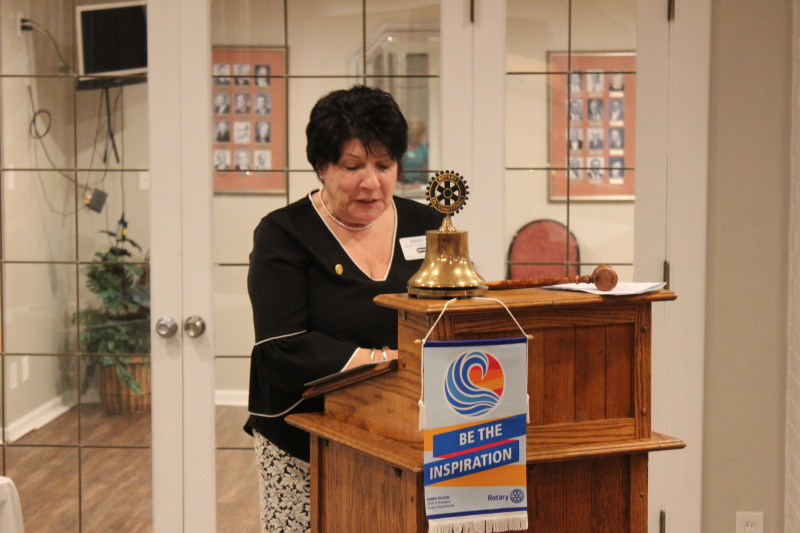 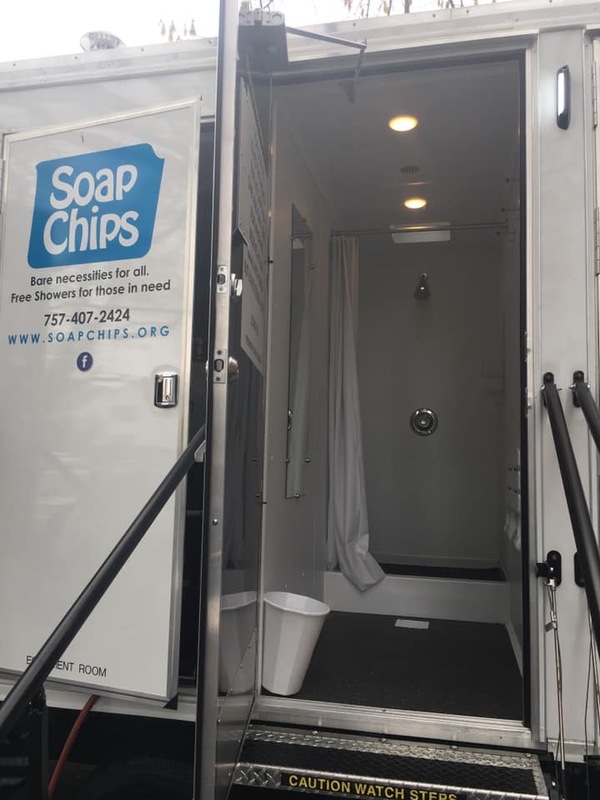 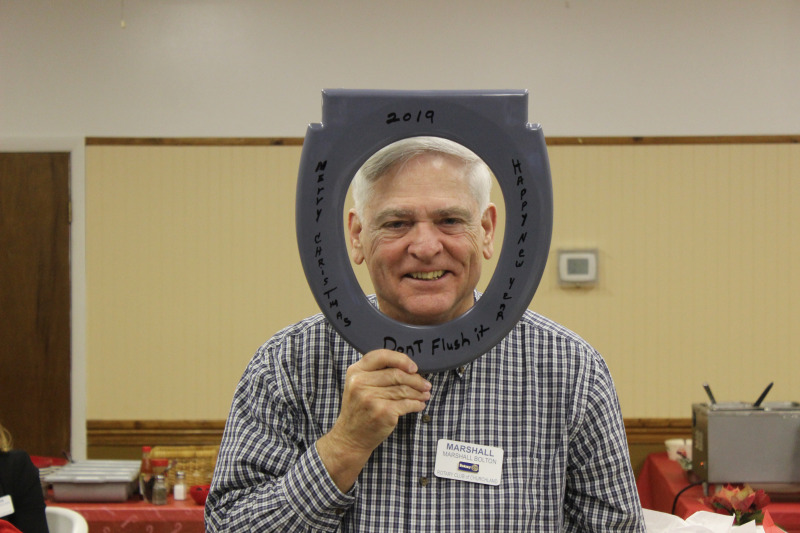 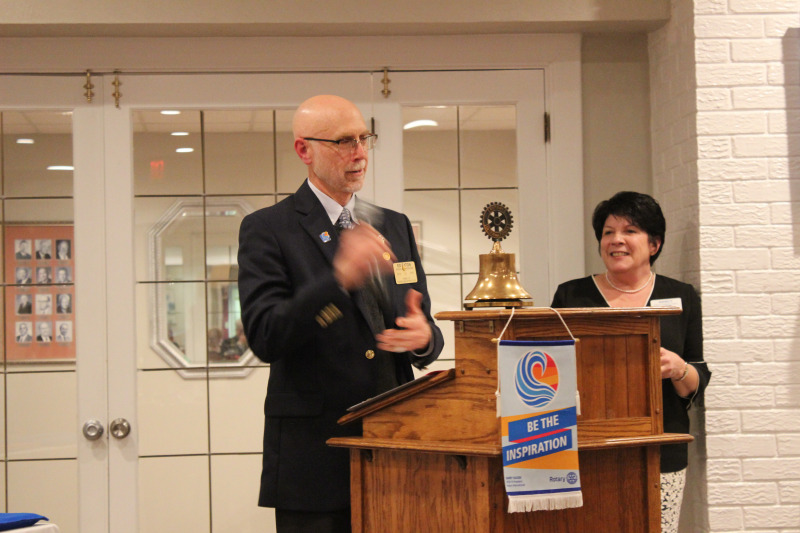 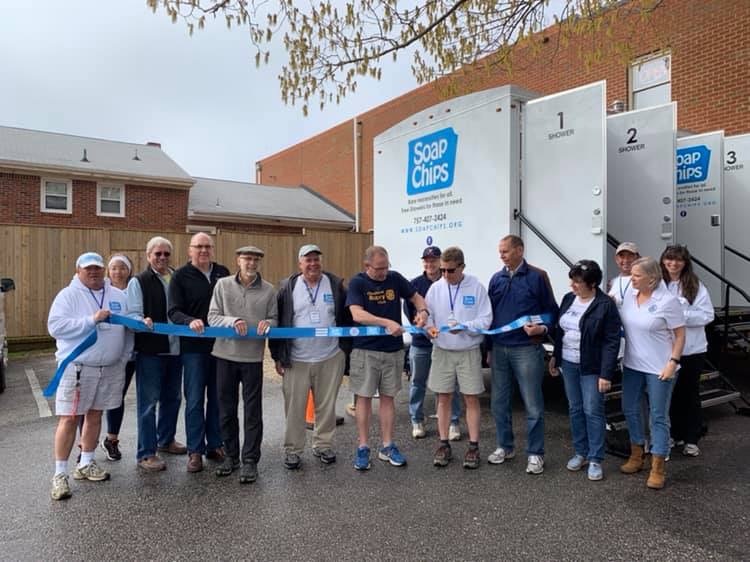 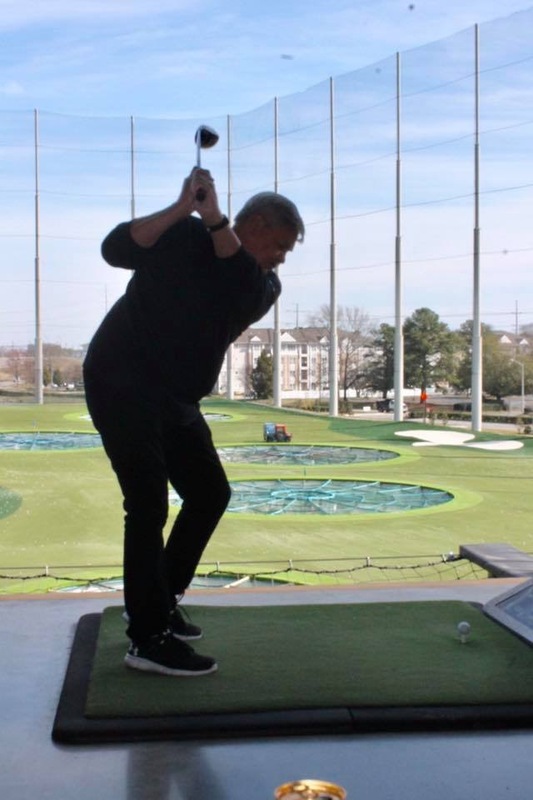 New portable shower for Soap Chips was dedicated on Saturday, April 6, 2019 at PIN Ministries in Virginia Beach. 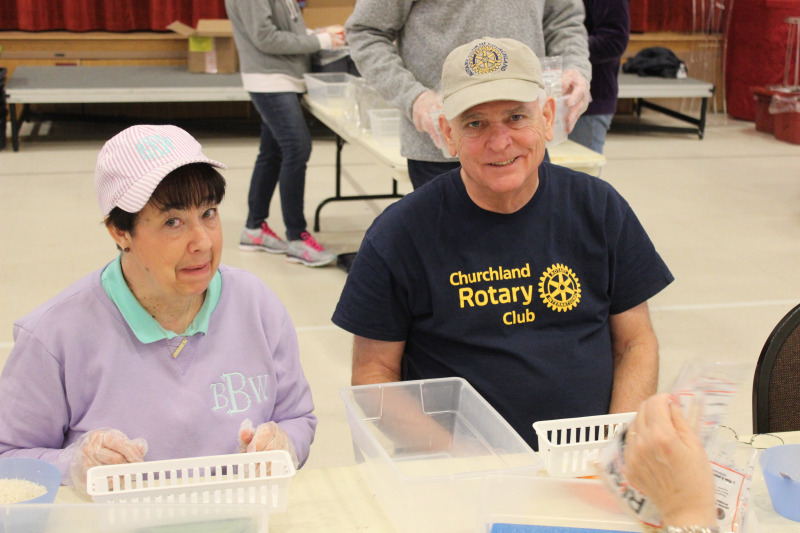 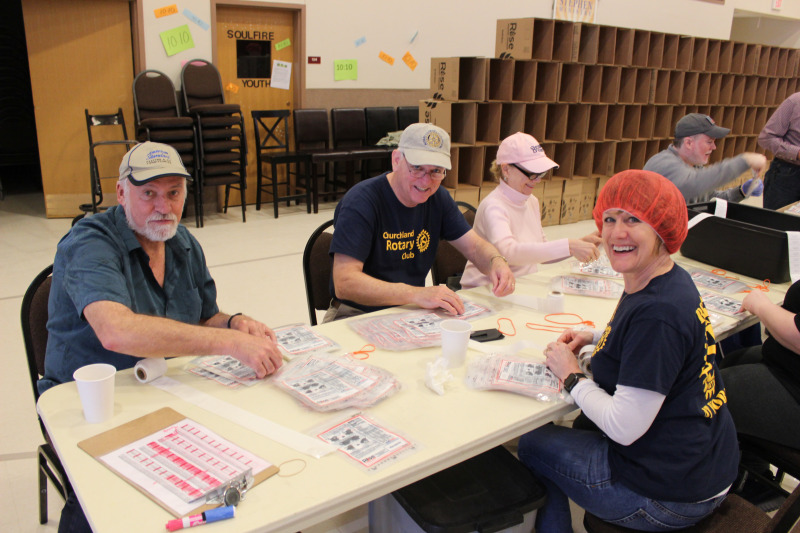 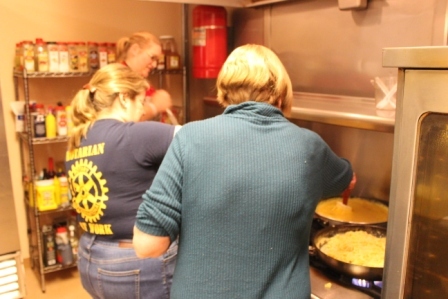 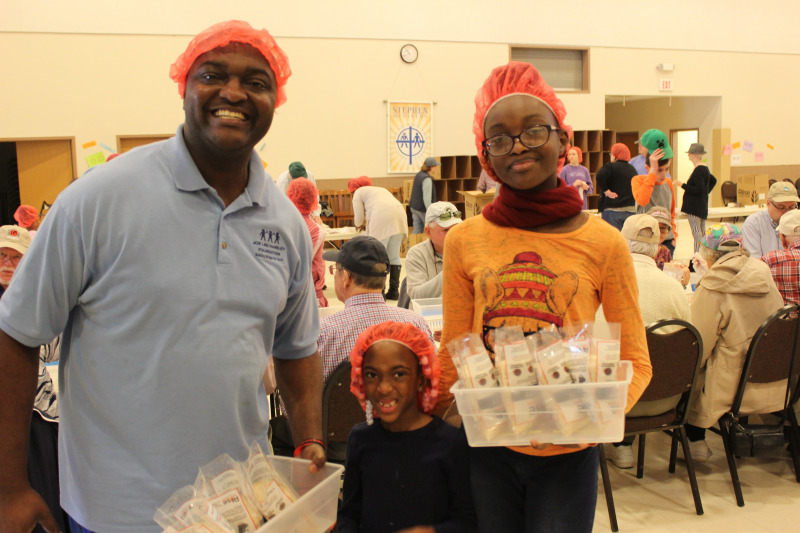 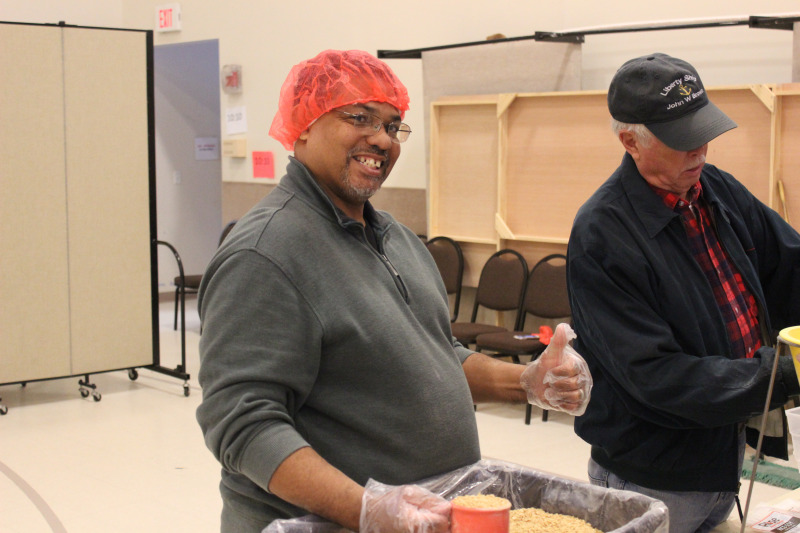 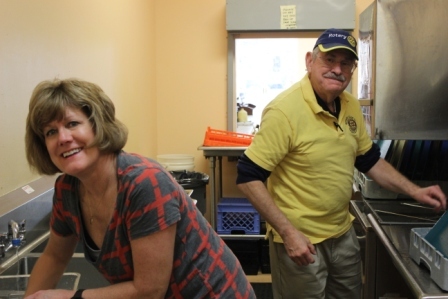 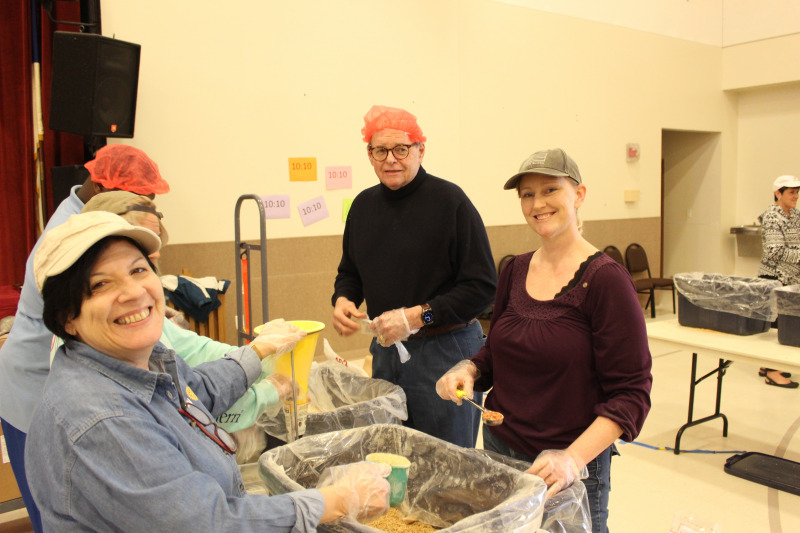 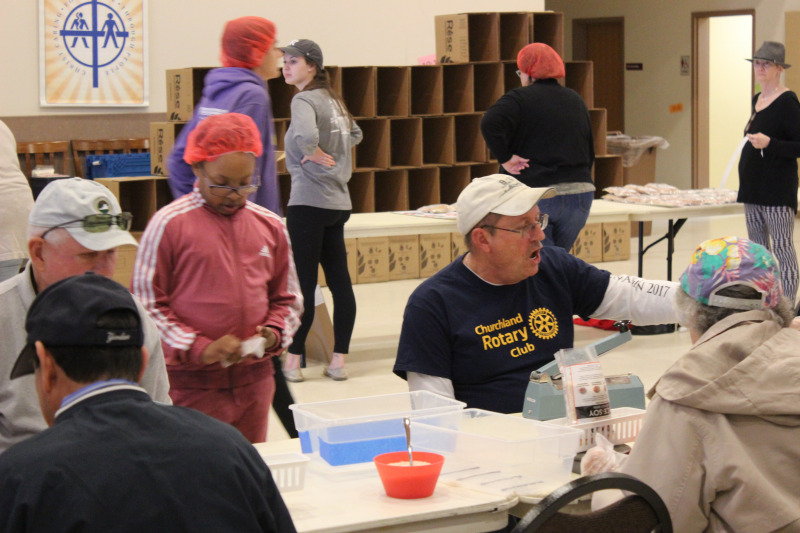 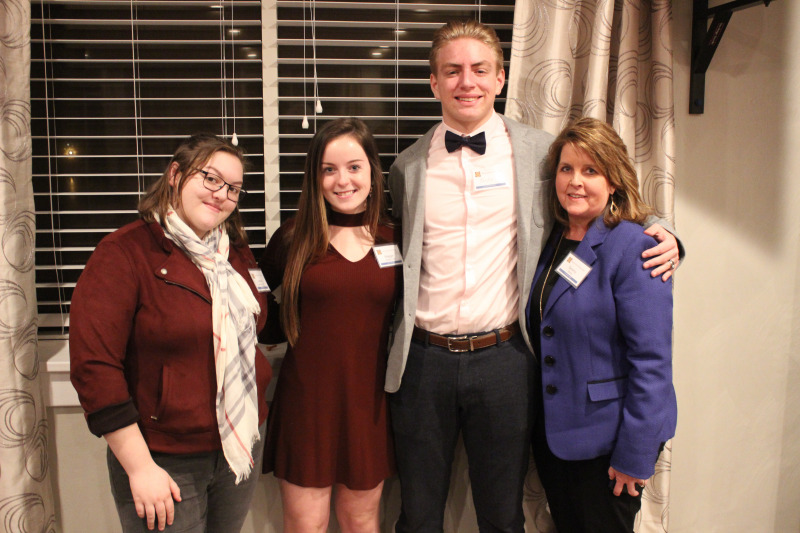 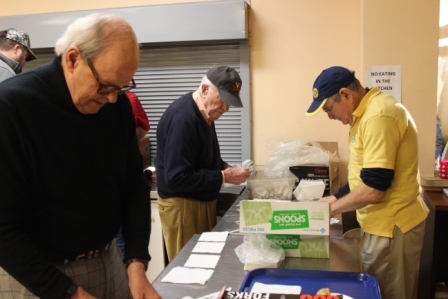 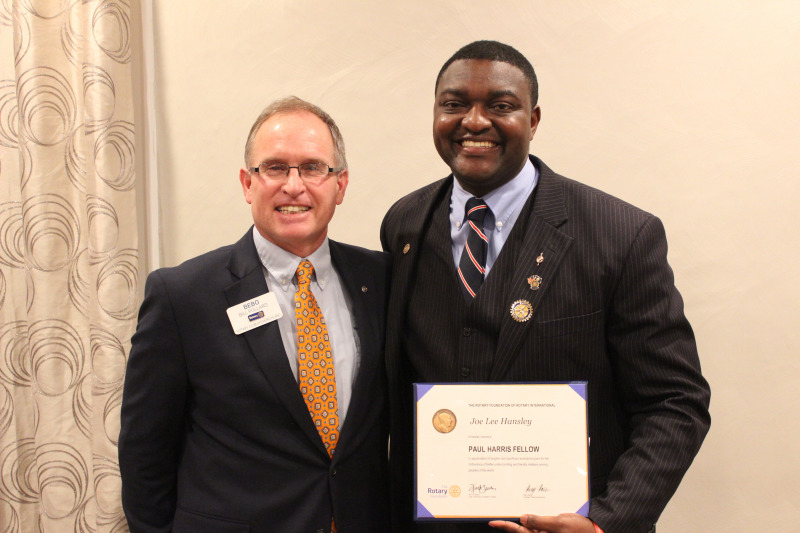 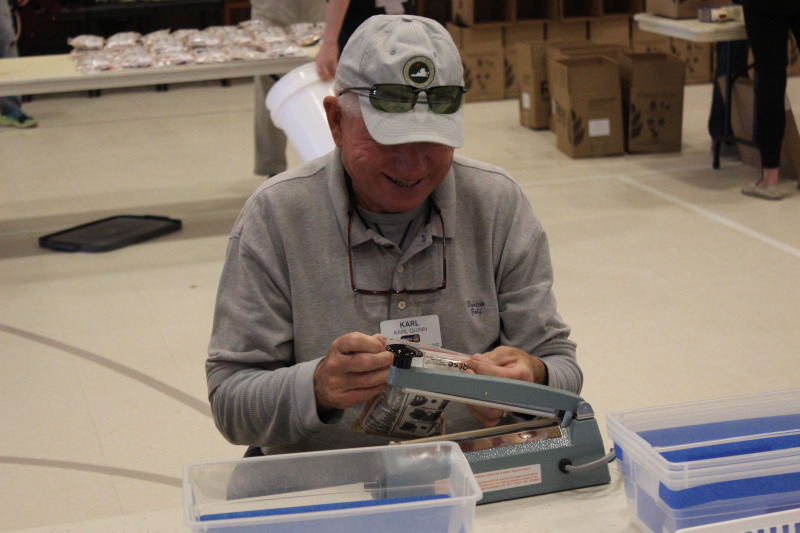 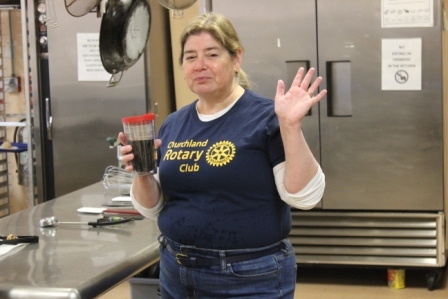 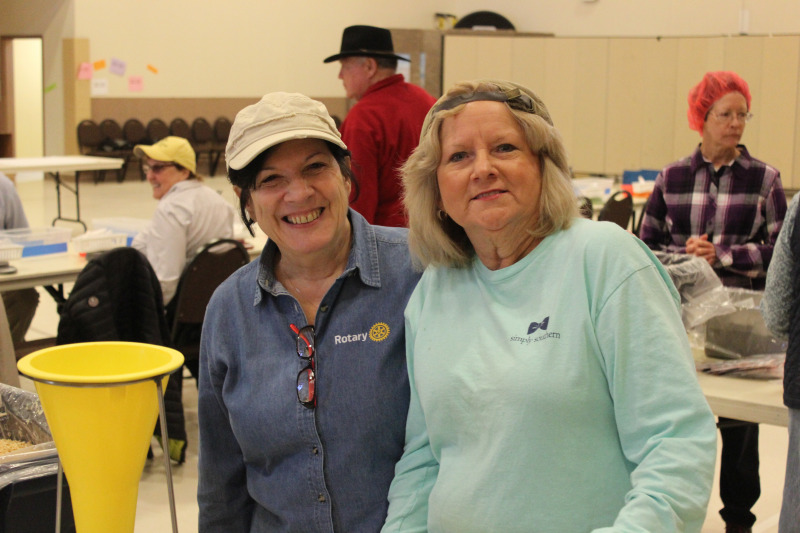 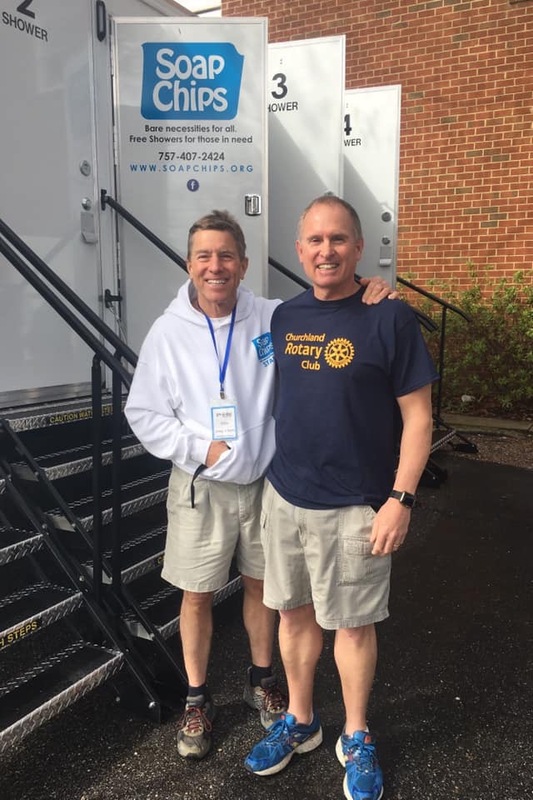 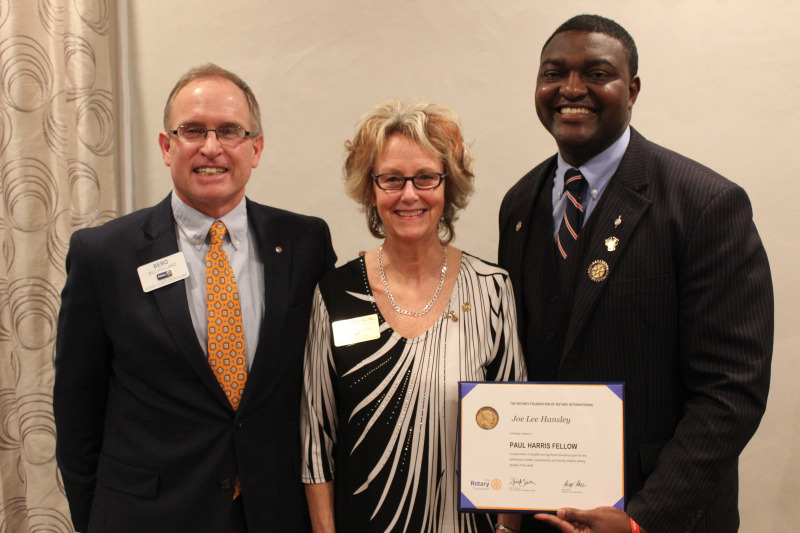 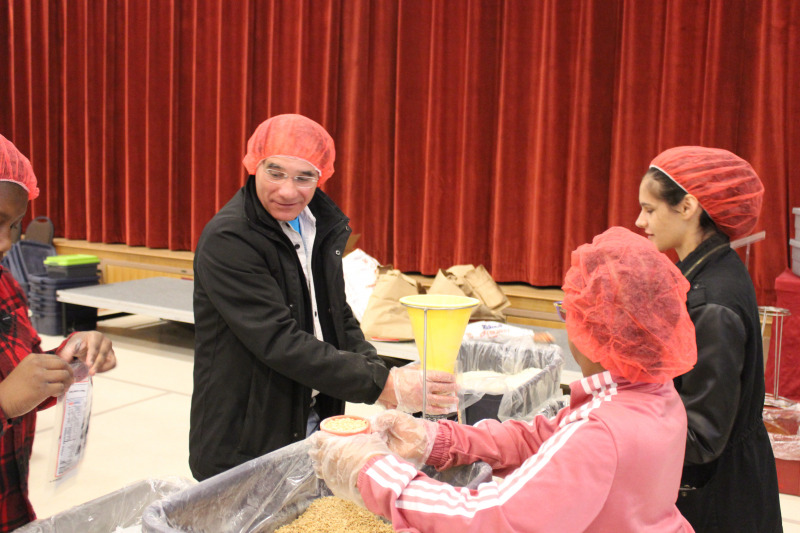 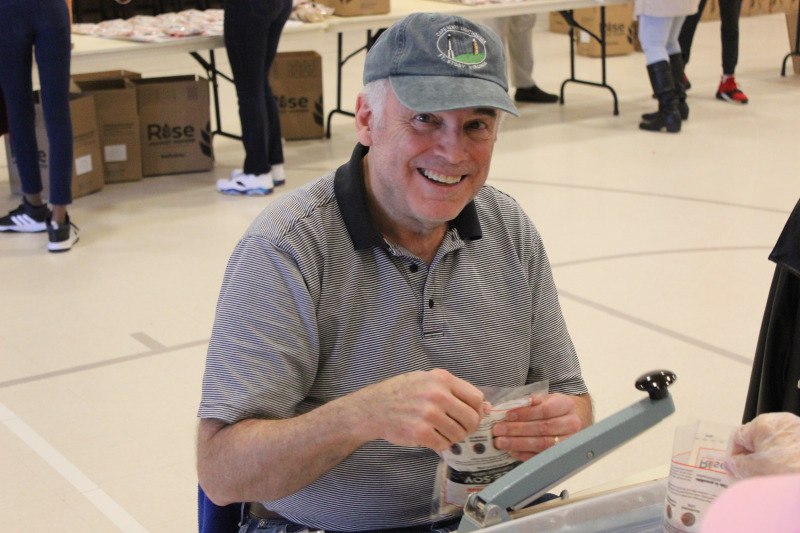 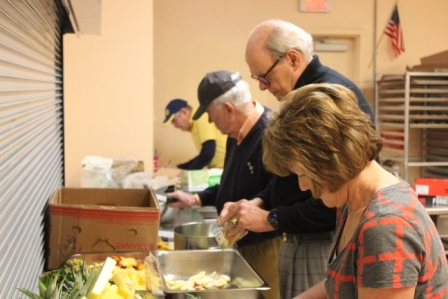 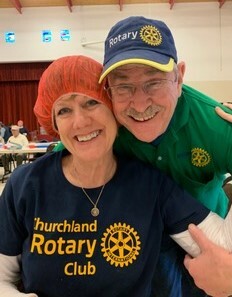 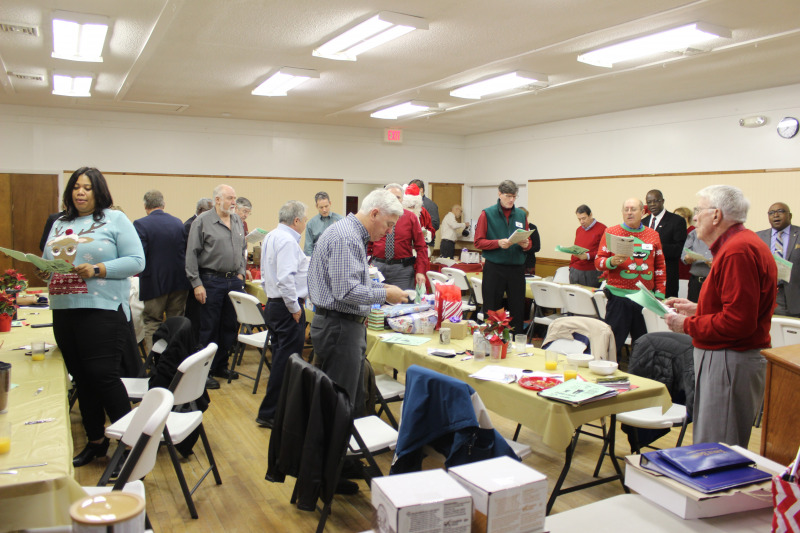 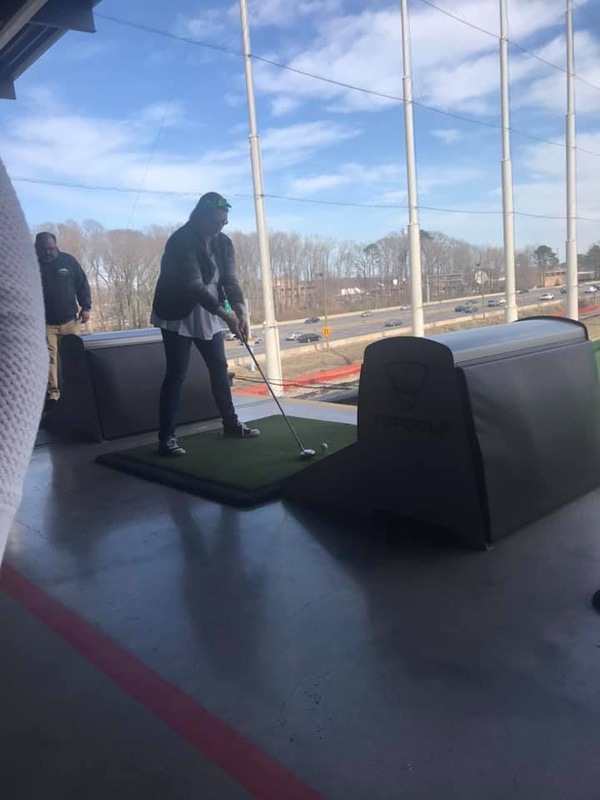 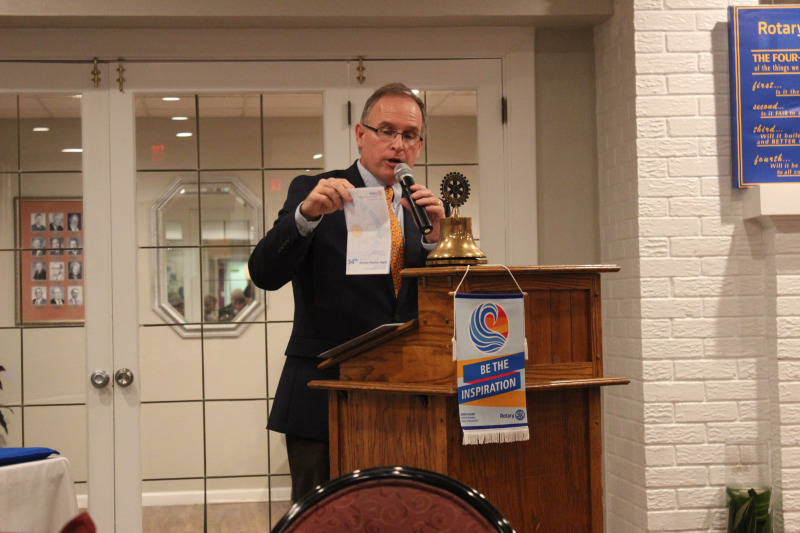 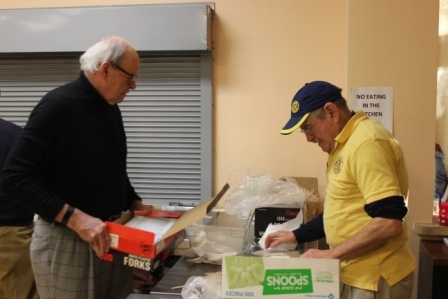 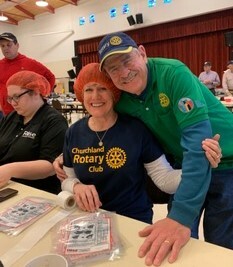 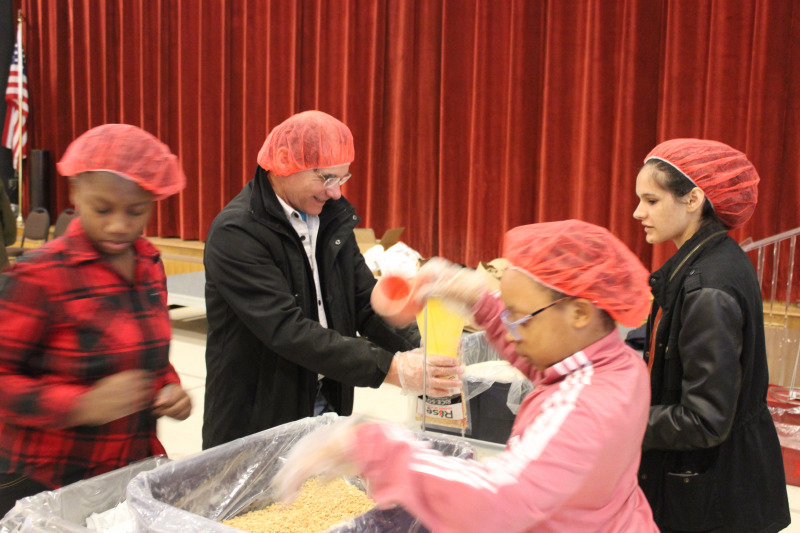 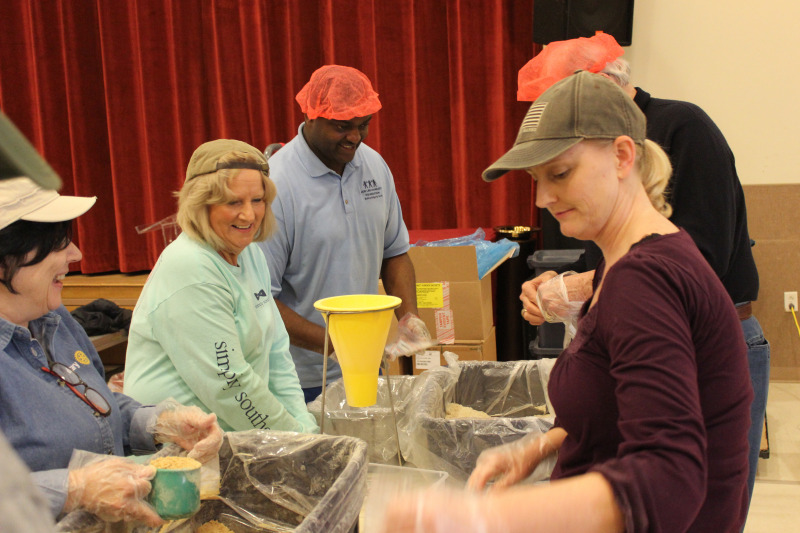 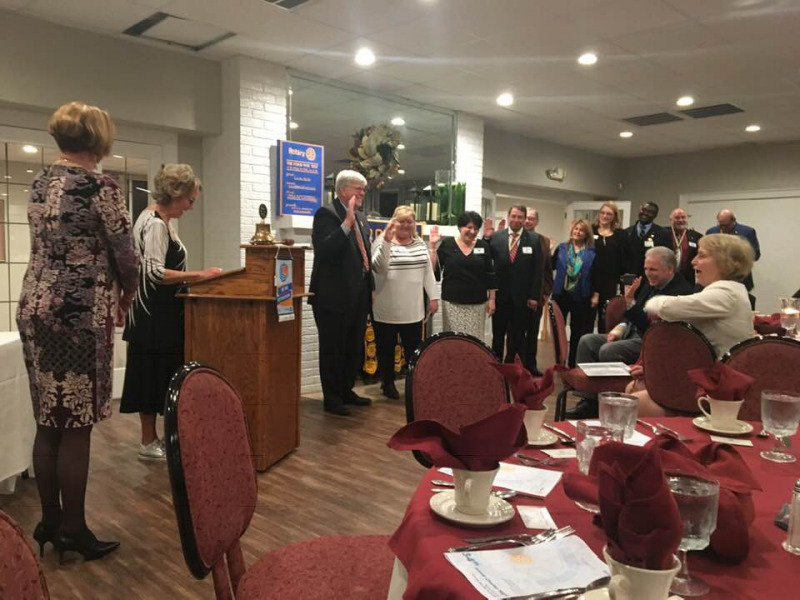 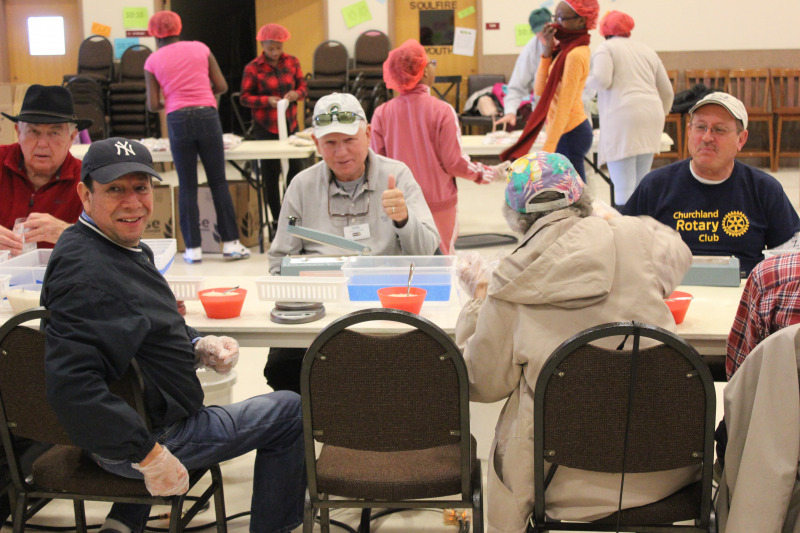 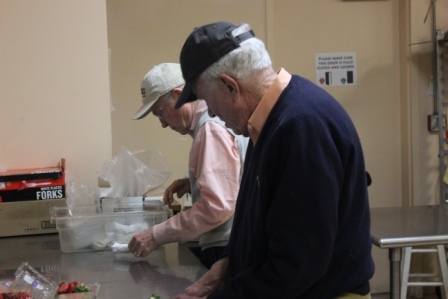 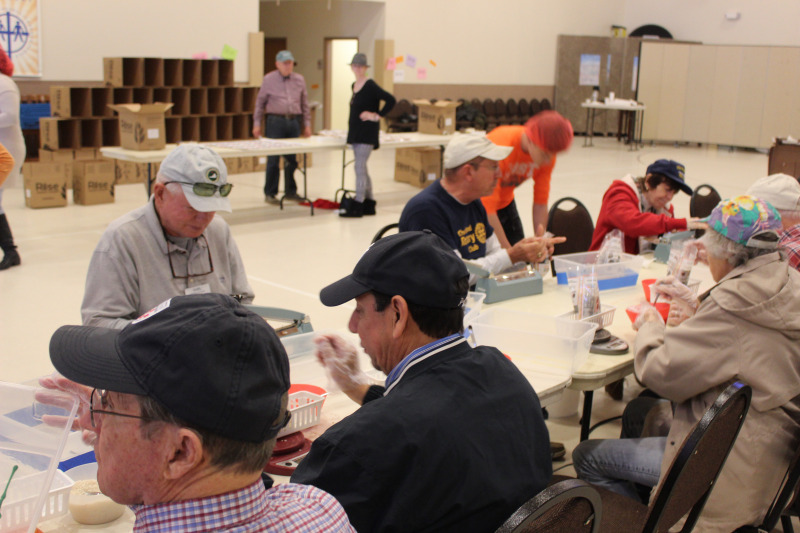 Churchland Rotary participated in the 11th Annual Meal Packaging Event with RISE AGAINST HUNGER alongside Portsmouth and North Suffolk Rotary Clubs, Churchland Baptist Church and Ebenezer UMC members. 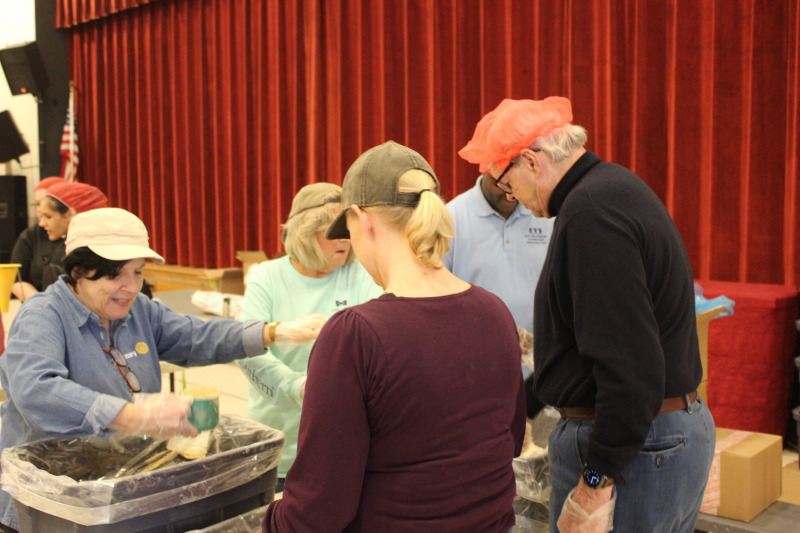 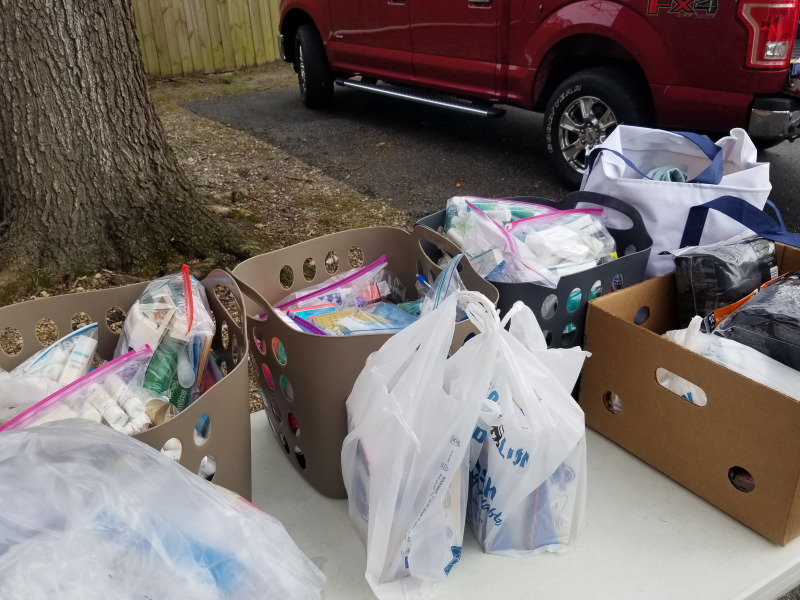 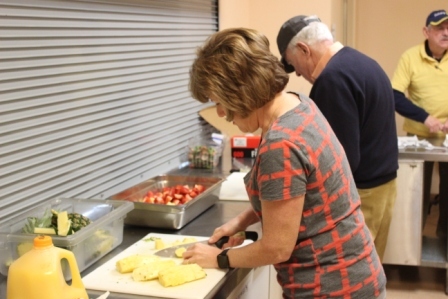 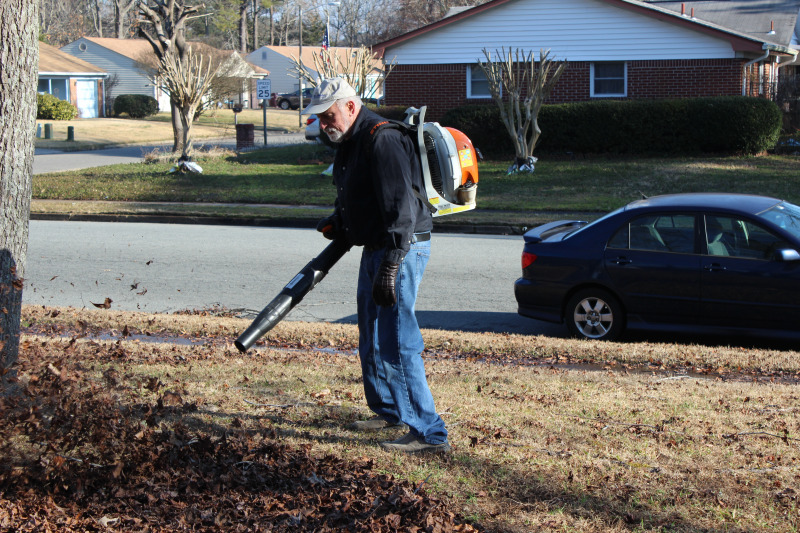 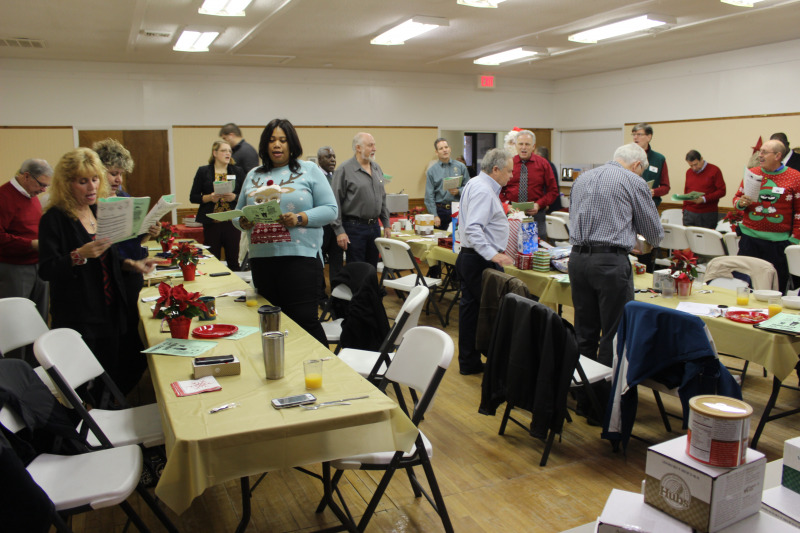 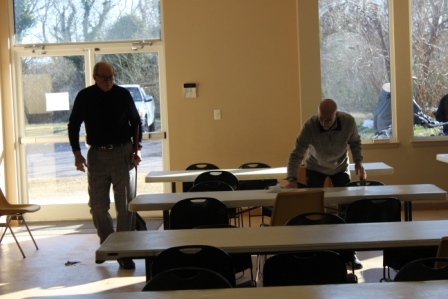 The two packaging shifts began at 9 a.m.and 11a.m and a set up crew that began at 7:30a.m..Ebenezer United Methodist Church hosted the event. 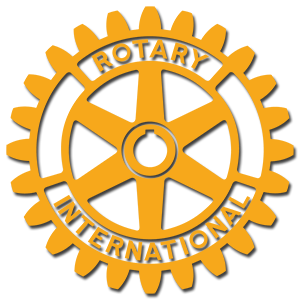 $9.000. 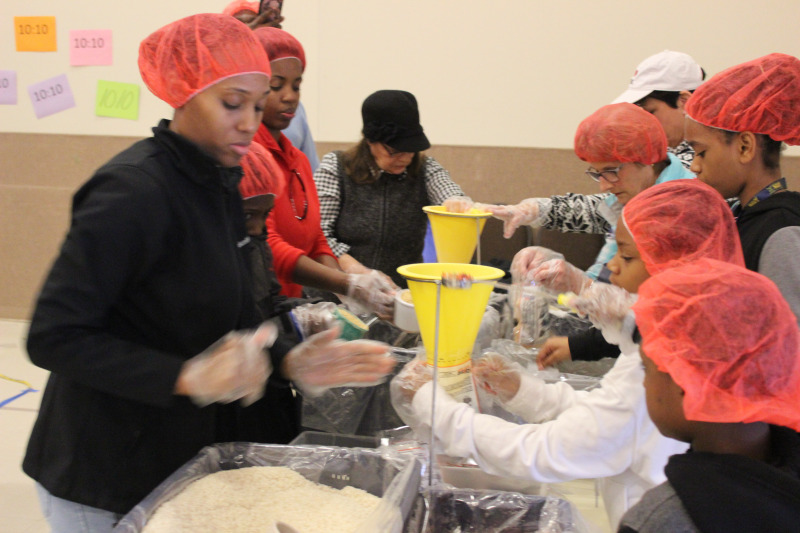 was raised by the participants enableing them to package some 32,000 meals. 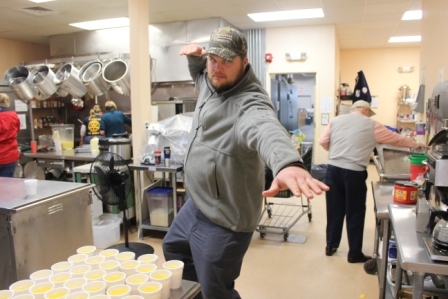 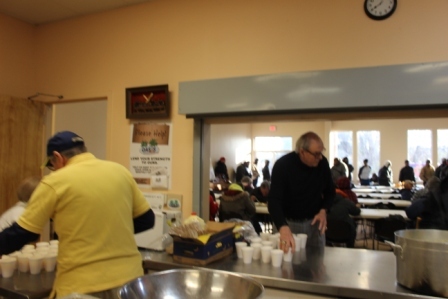 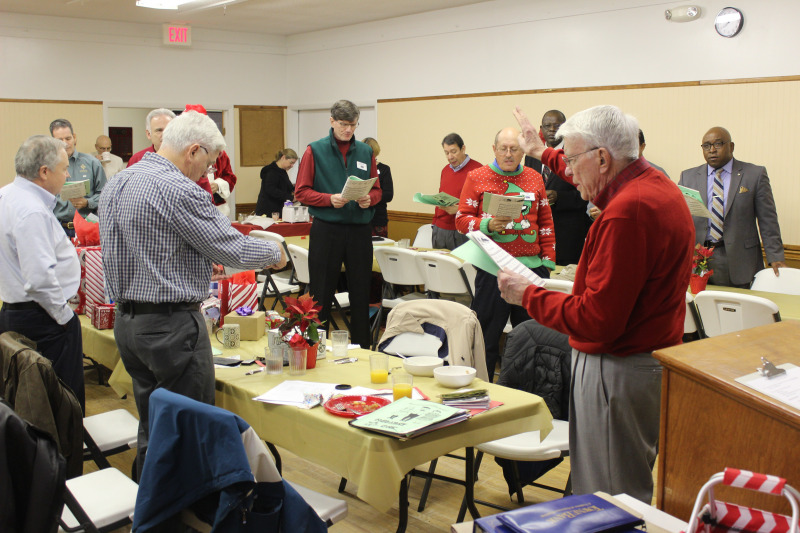 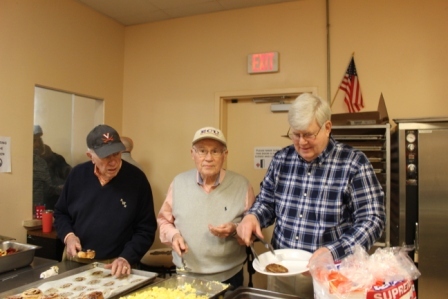 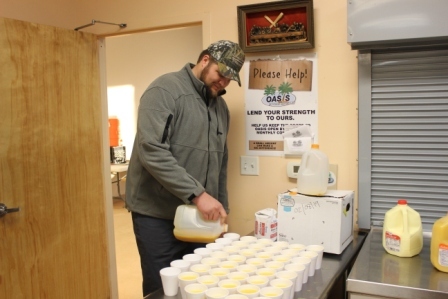 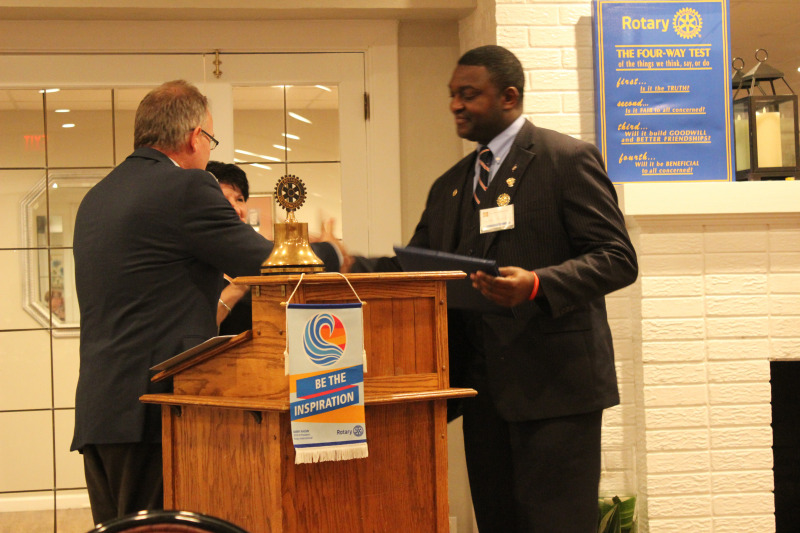 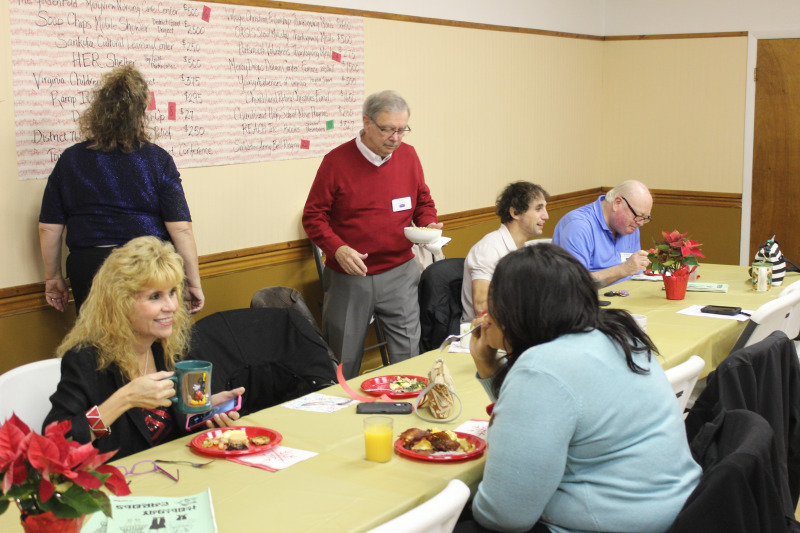 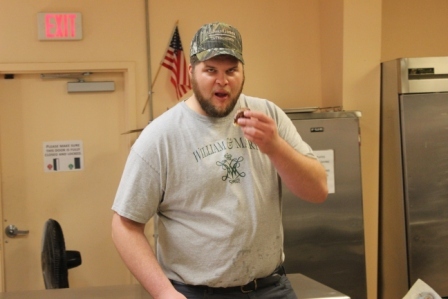 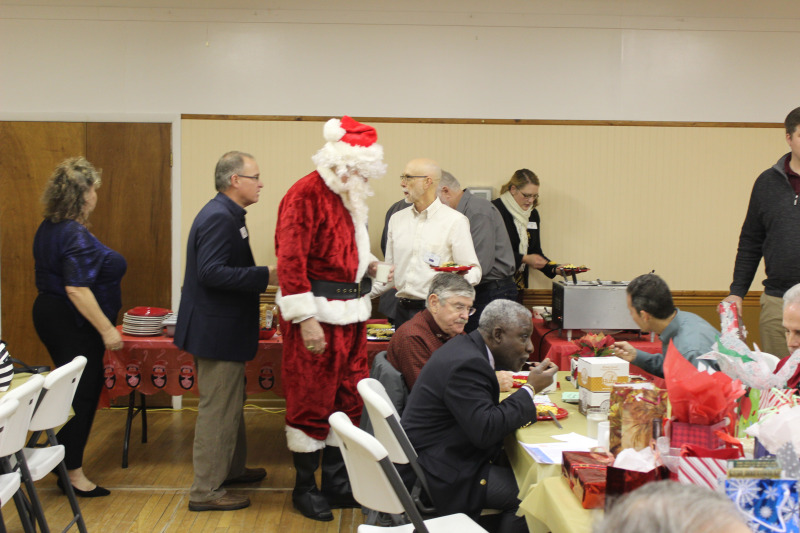 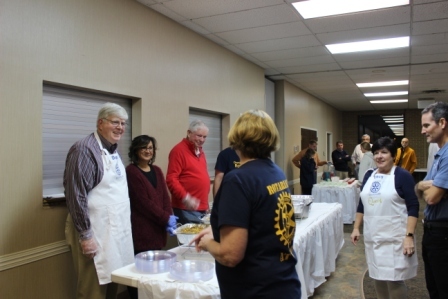 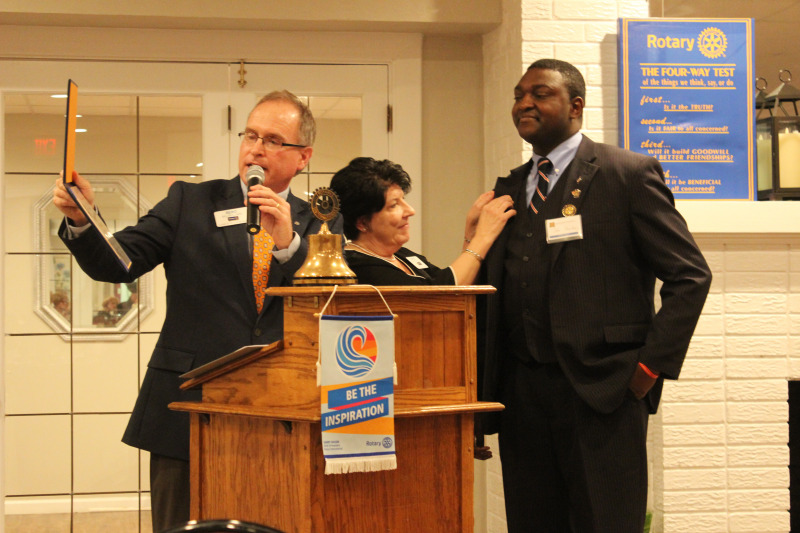 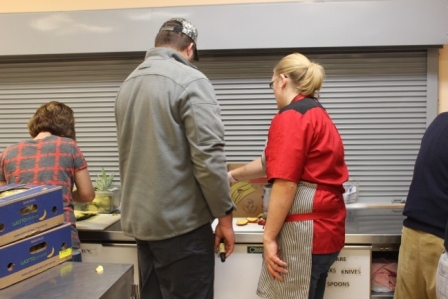 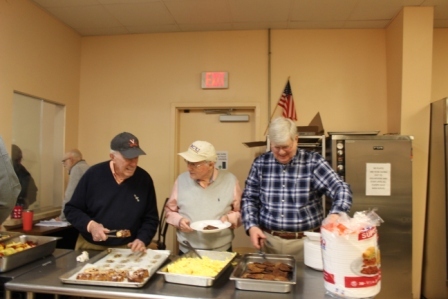 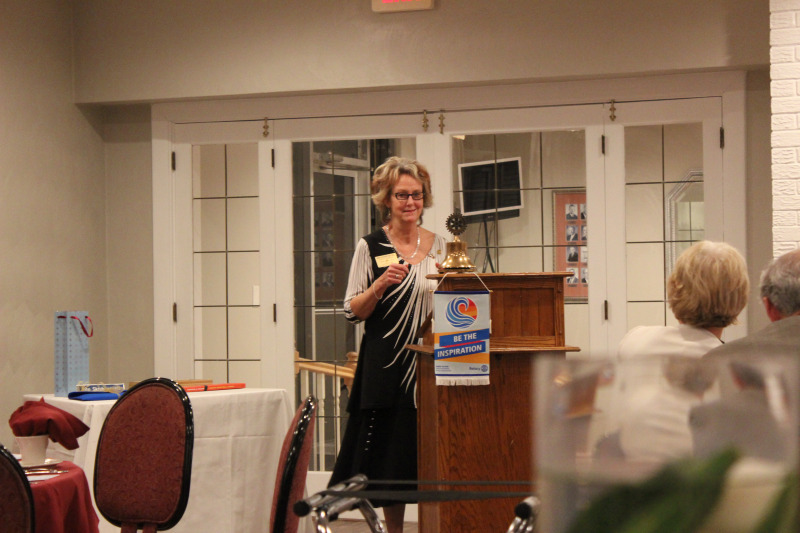 Breakfast was prepared and served by Rotarians to 92 guests. 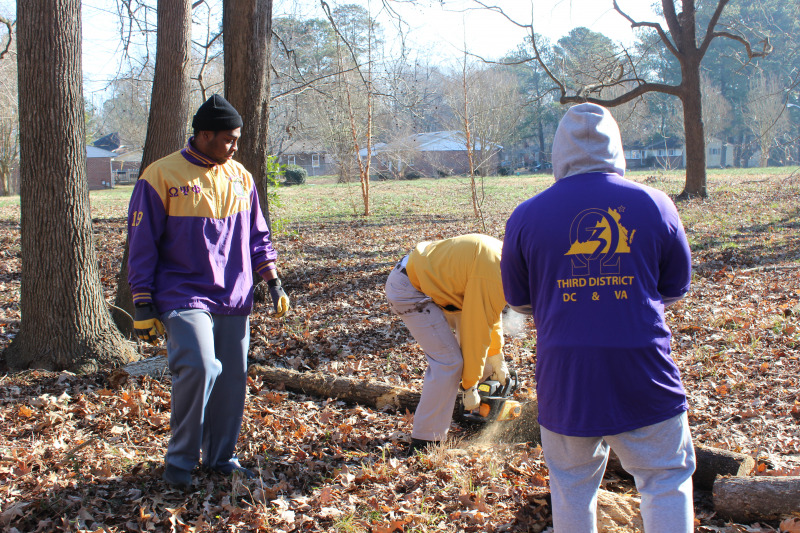 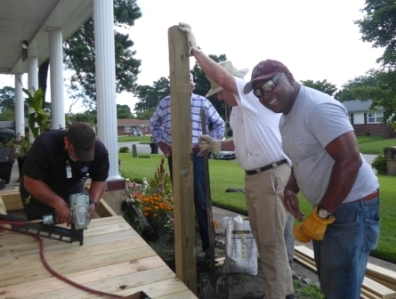 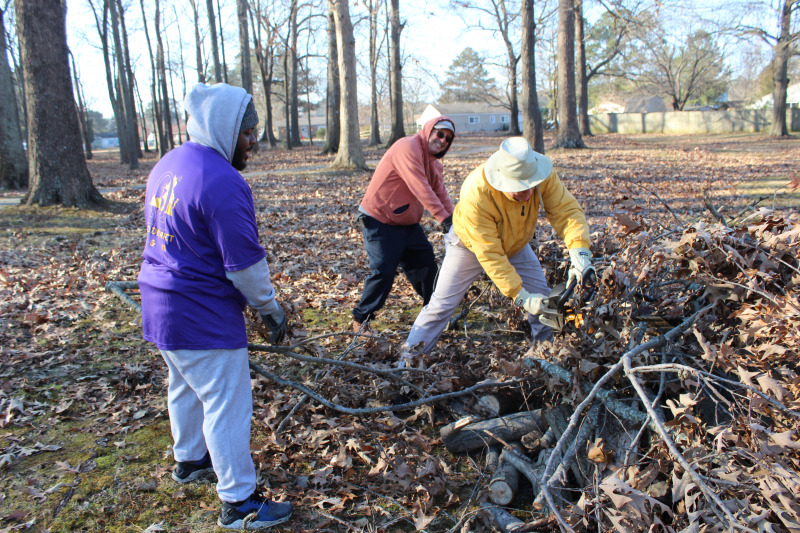 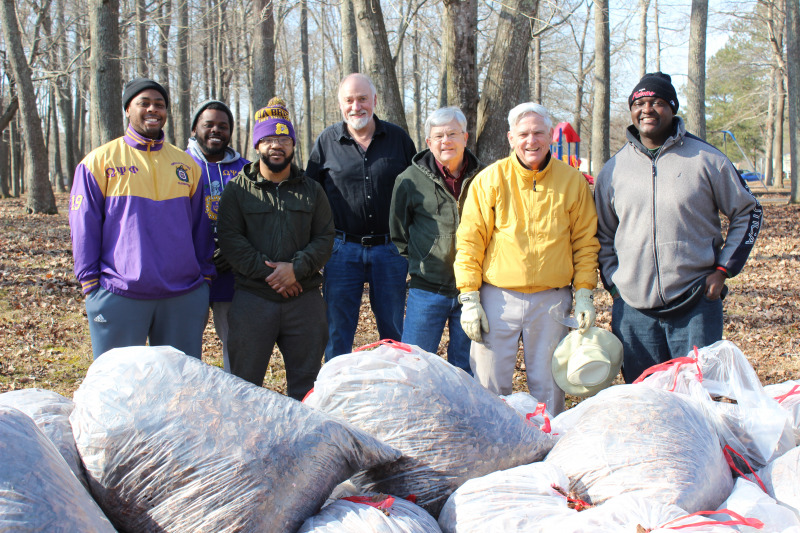 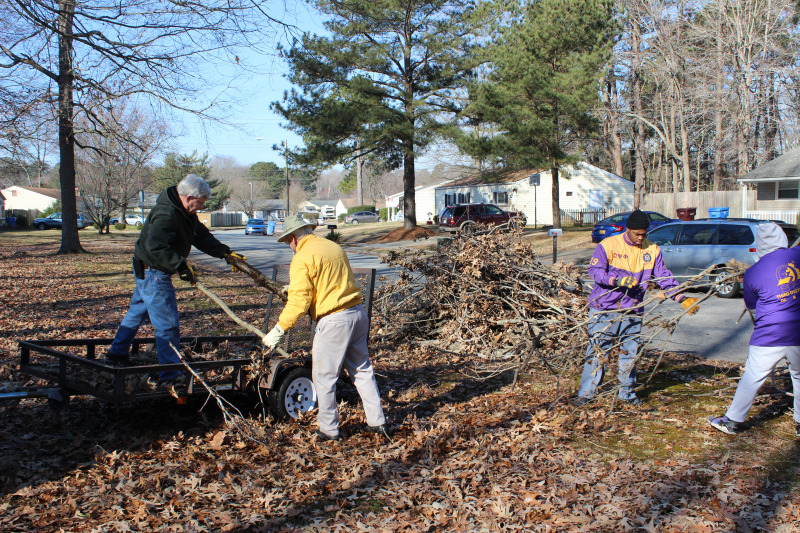 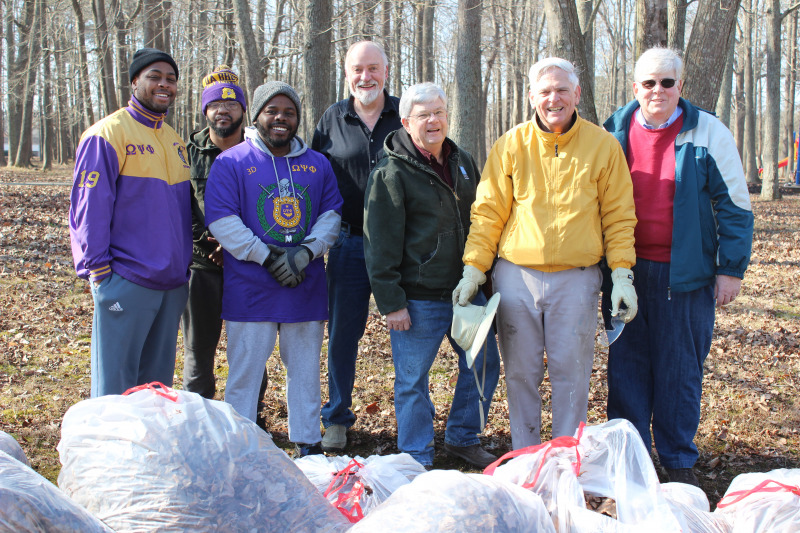 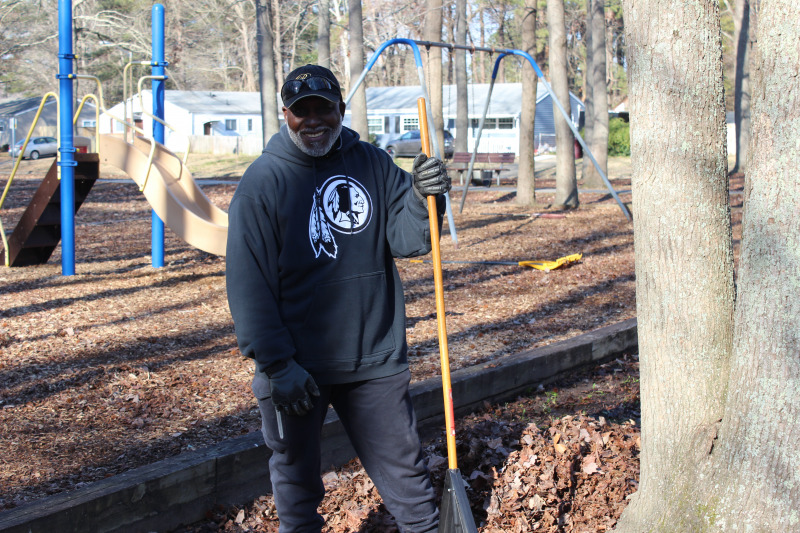 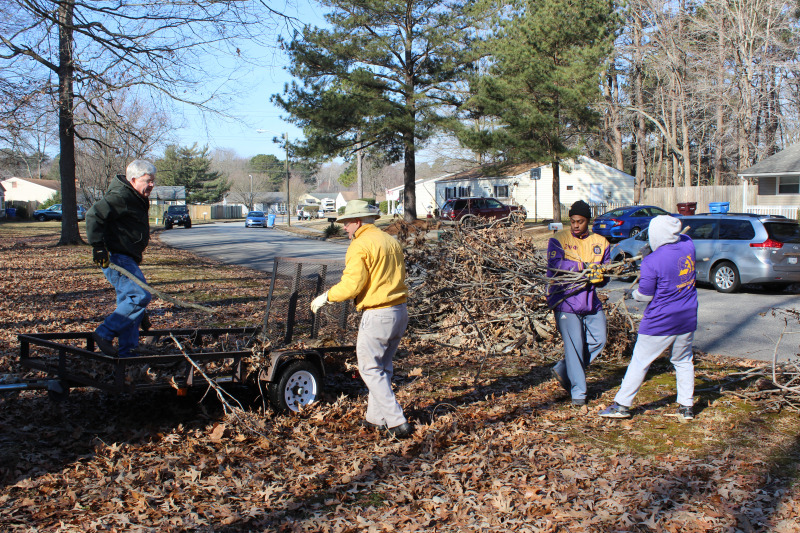 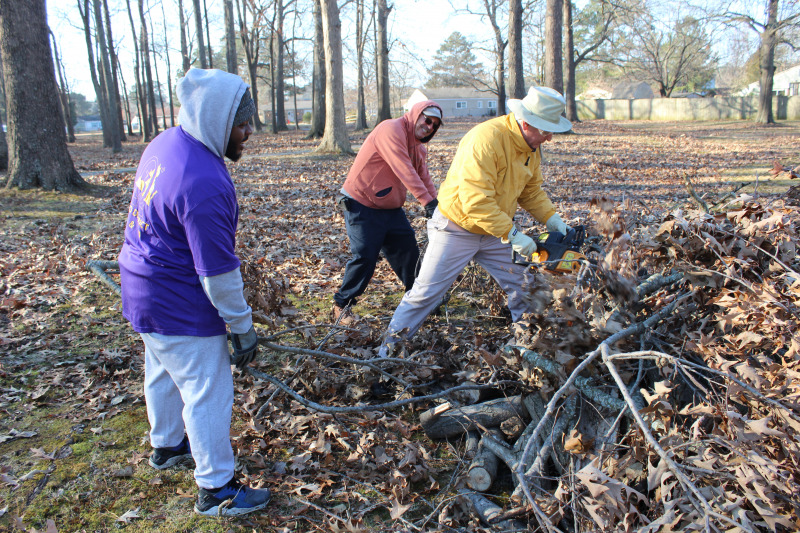 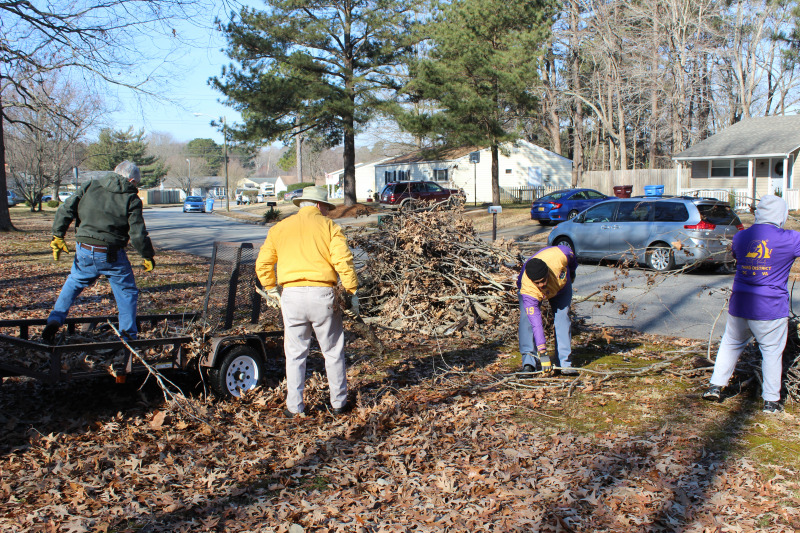 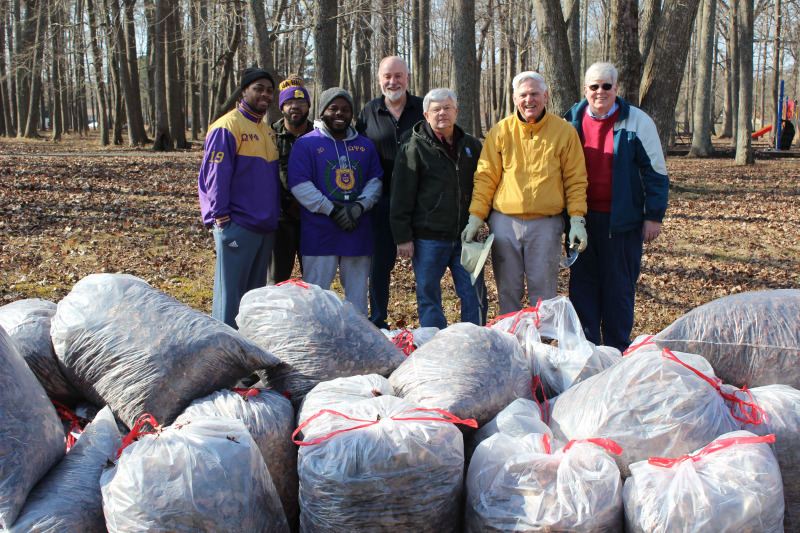 Churchland Rotarians and volunteers from Omega Psi Phi Fraternity teamed up to clean up Dunedin Park. 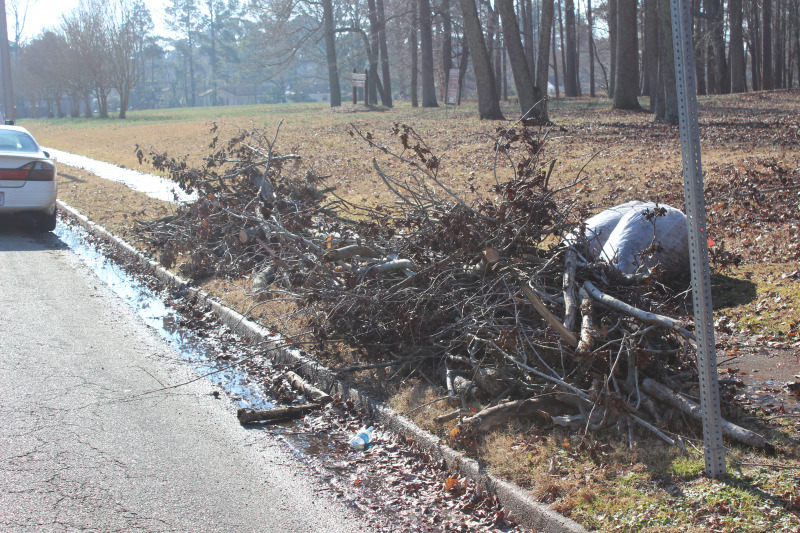 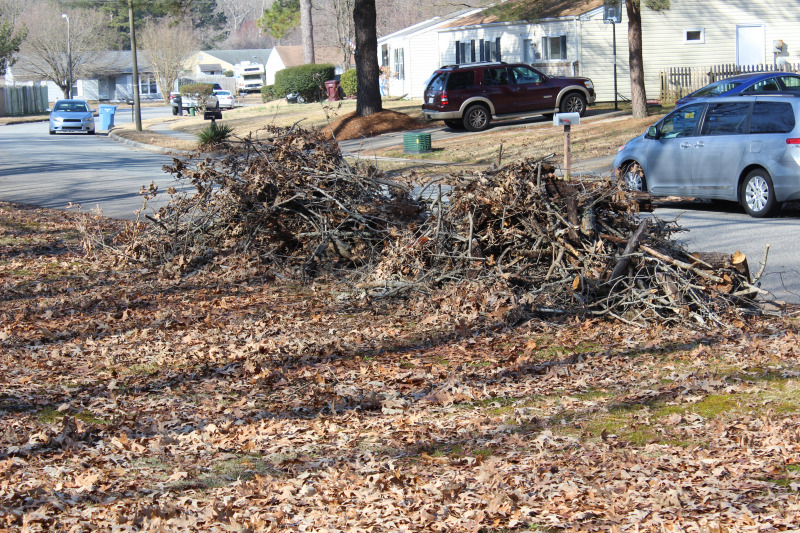 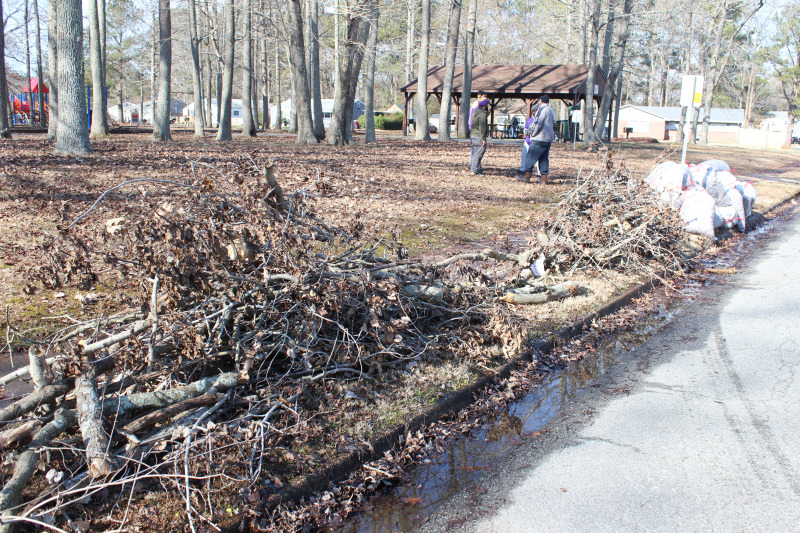 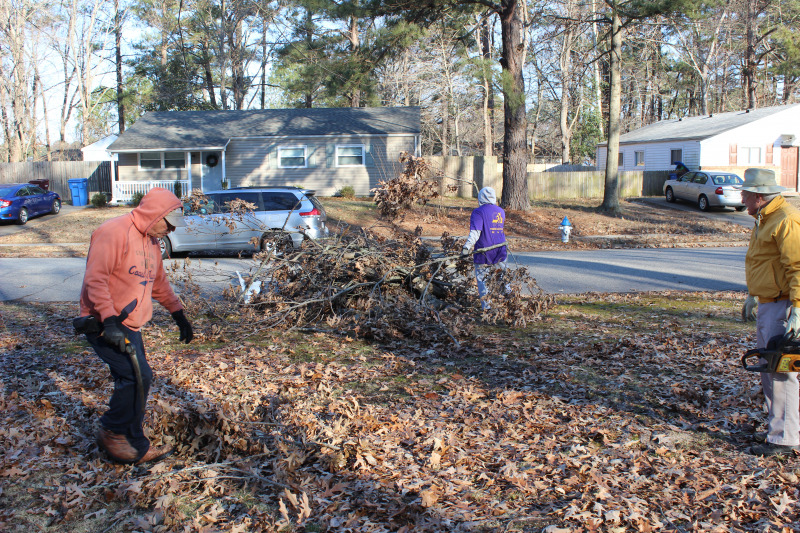 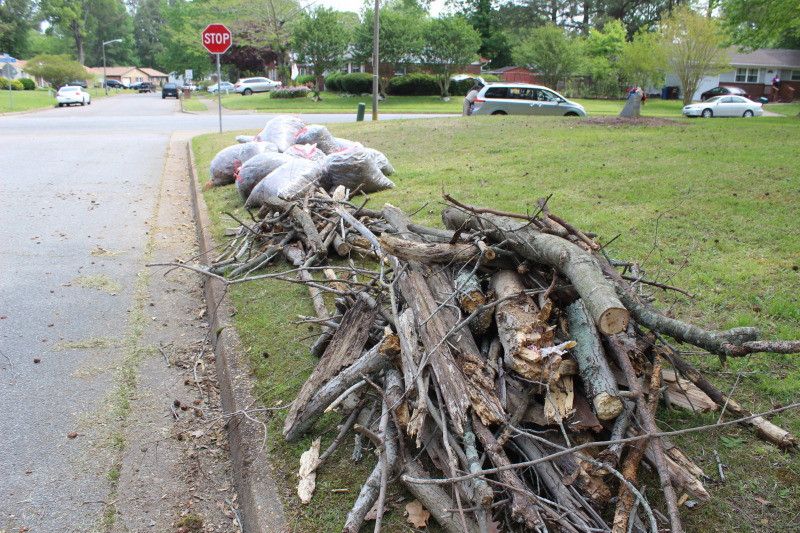 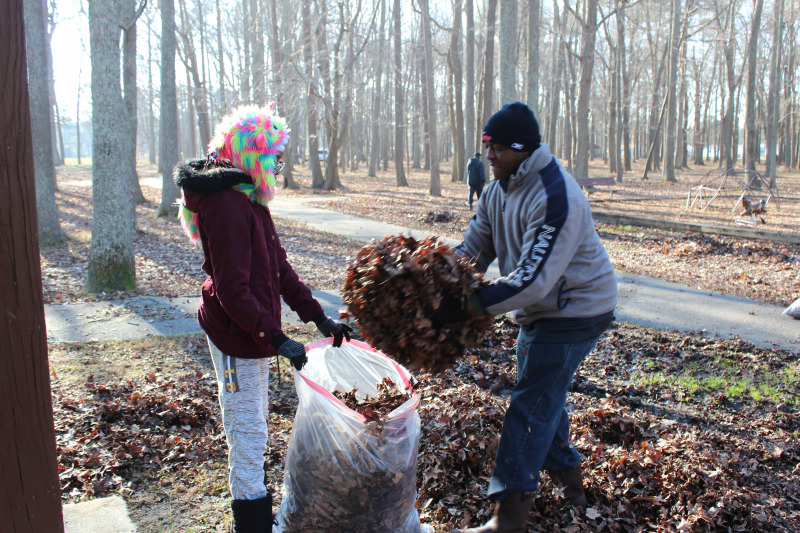 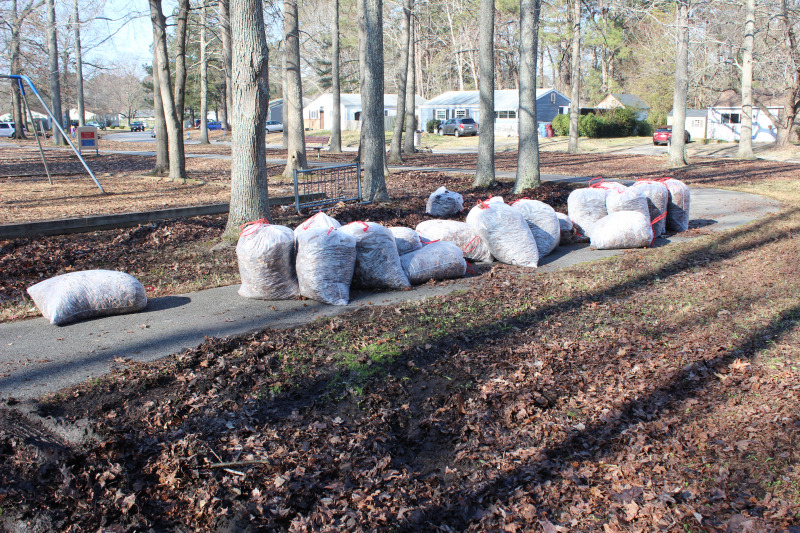 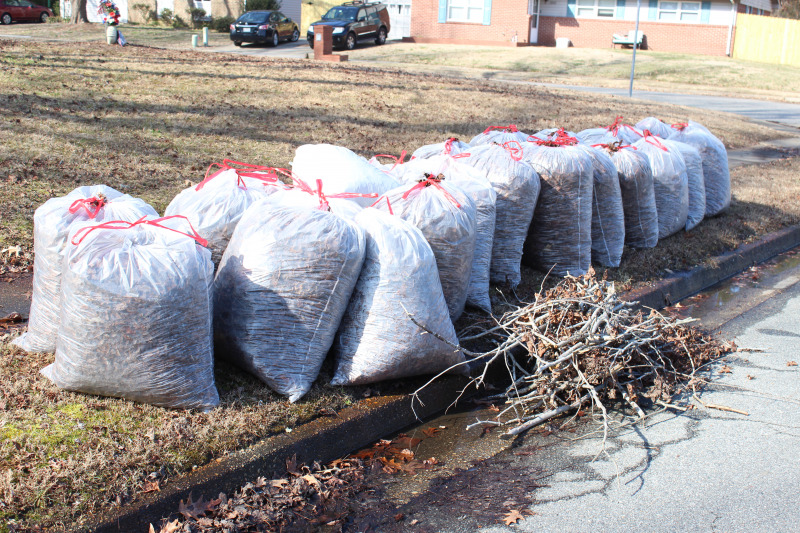 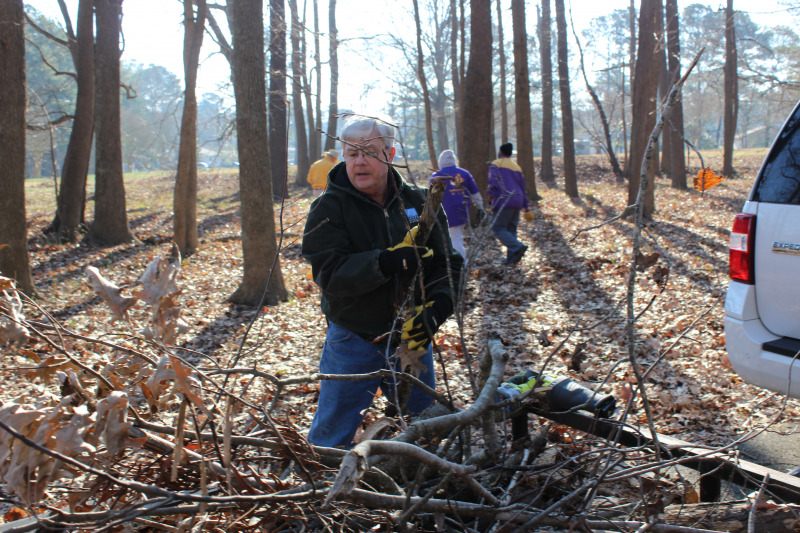 Approximately 2,000 pounds of limbs and fallen trees were removed along with 70 39 gallon trash bags of leaves and trash. 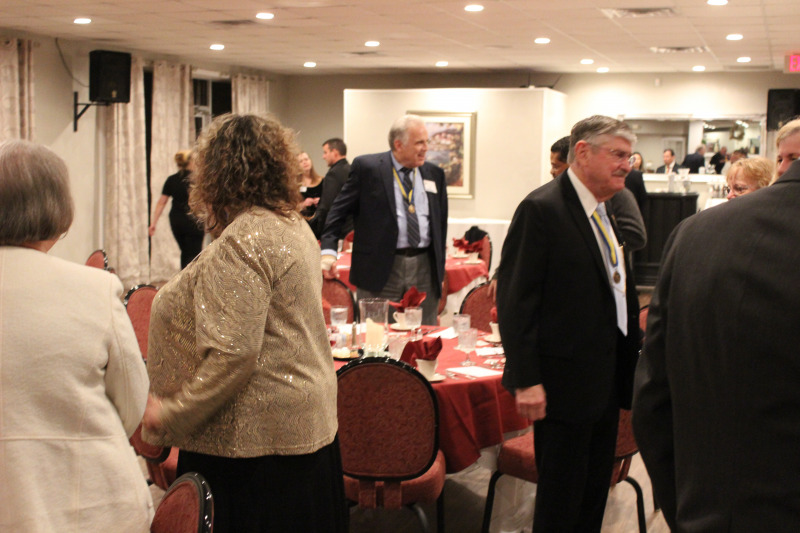 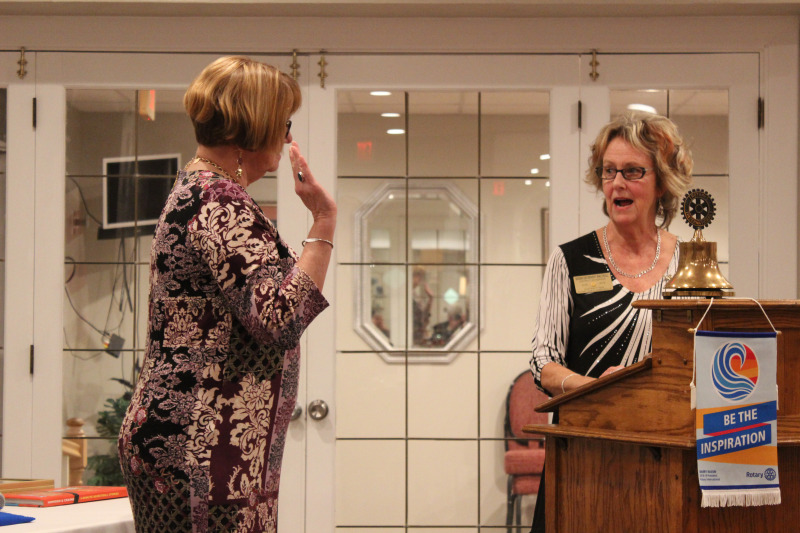 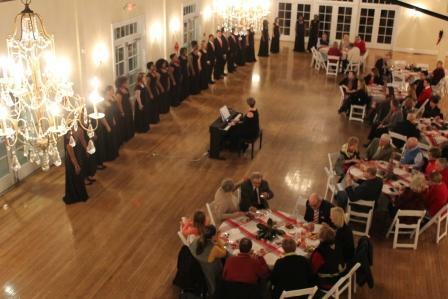 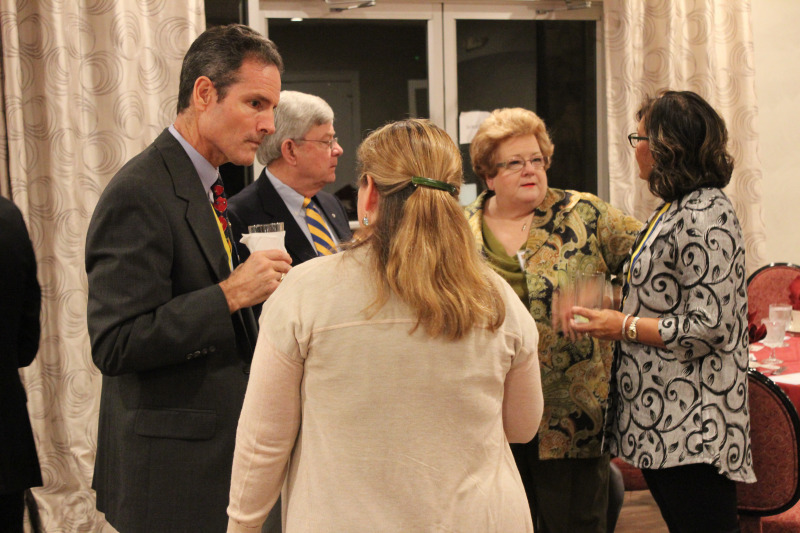 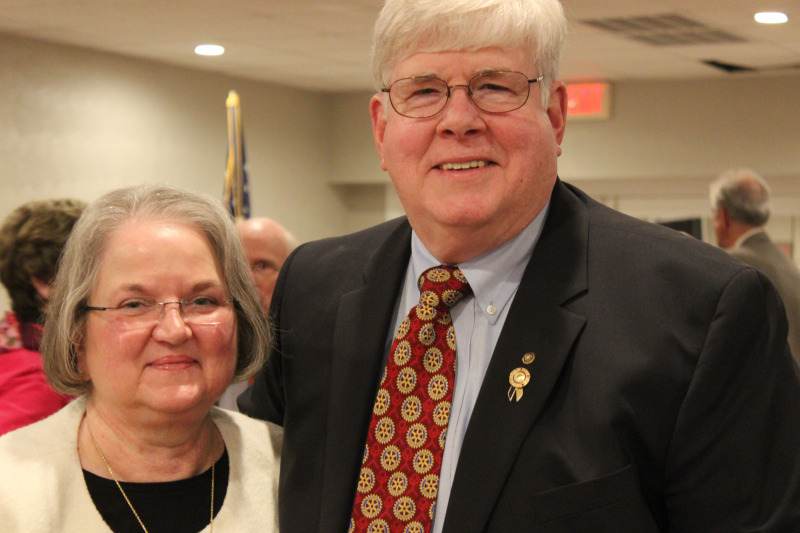 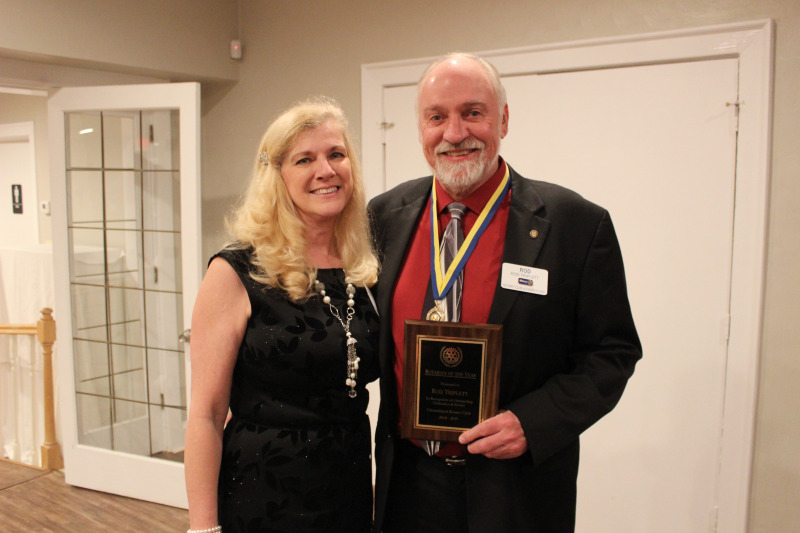 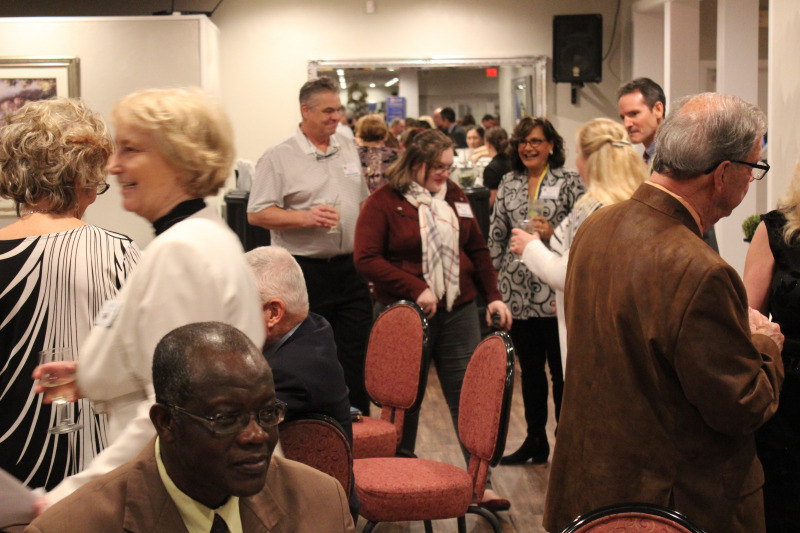 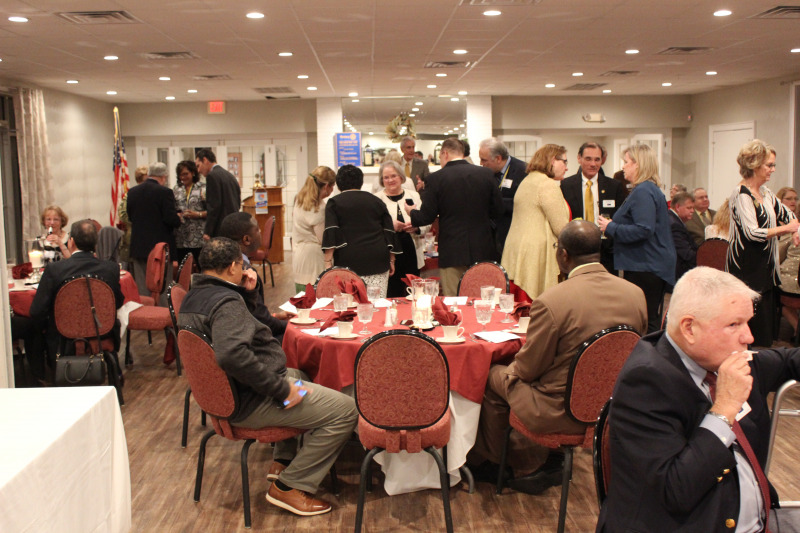 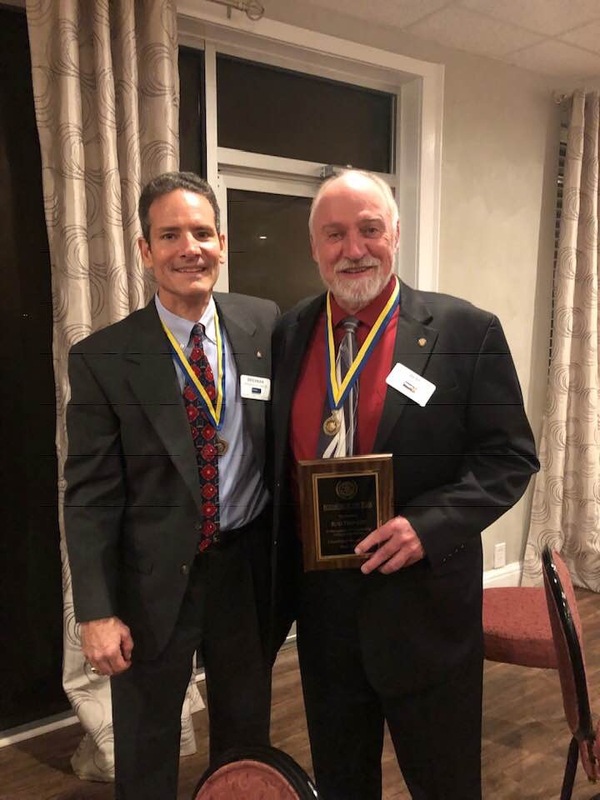 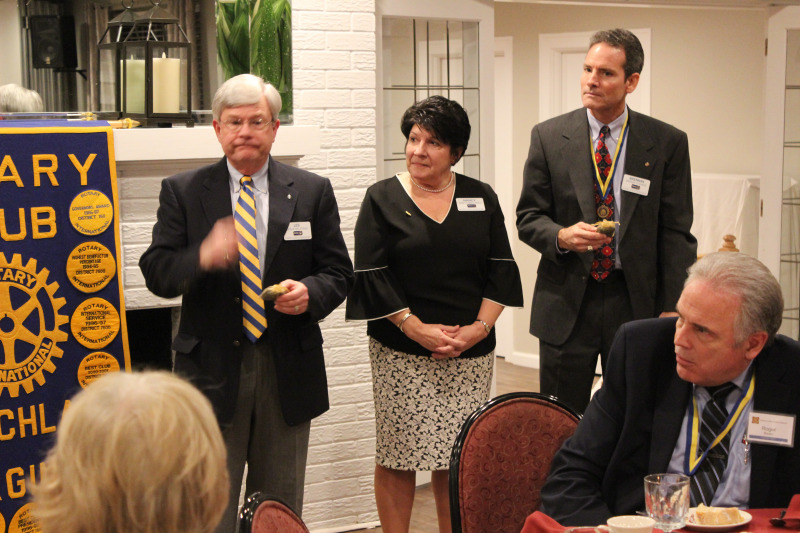 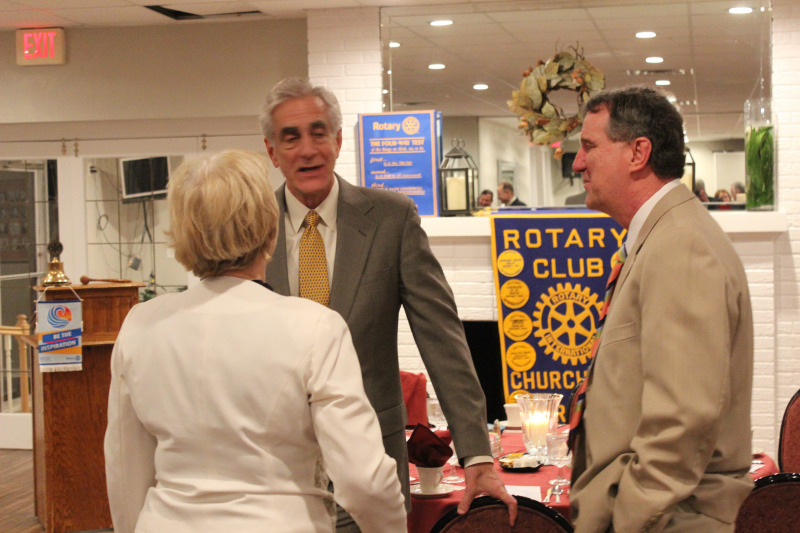 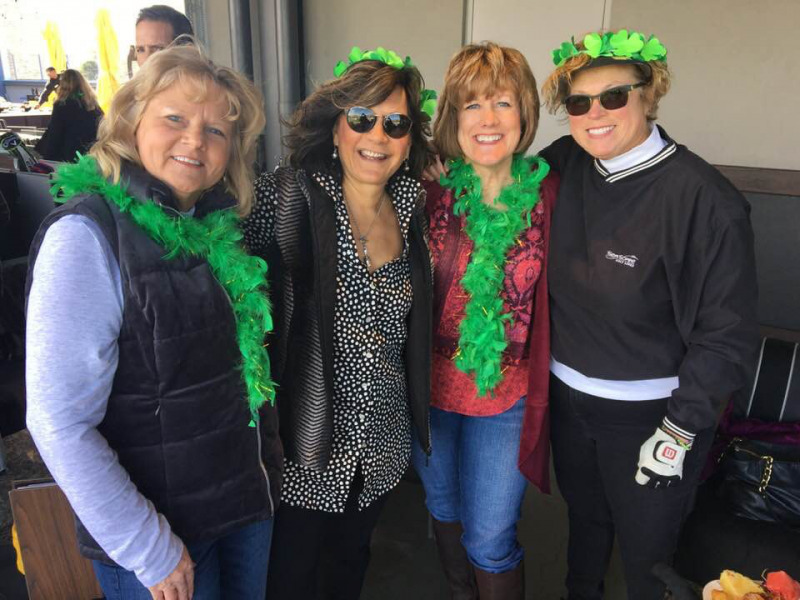 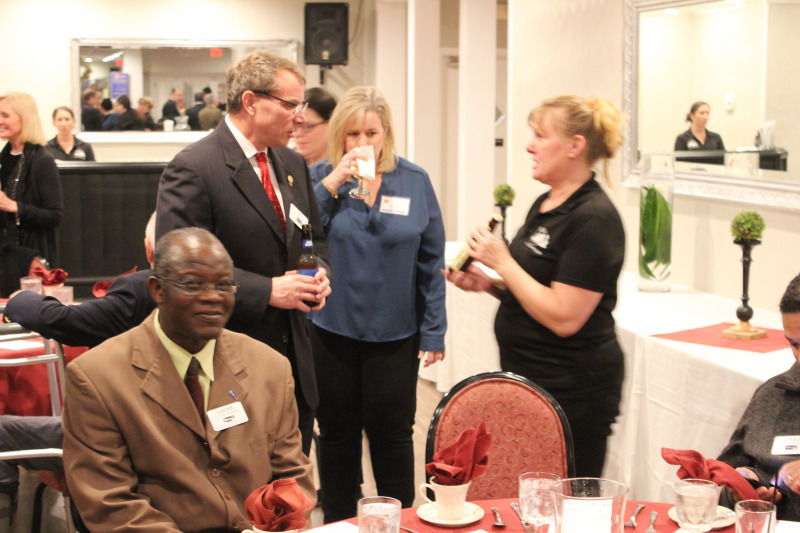 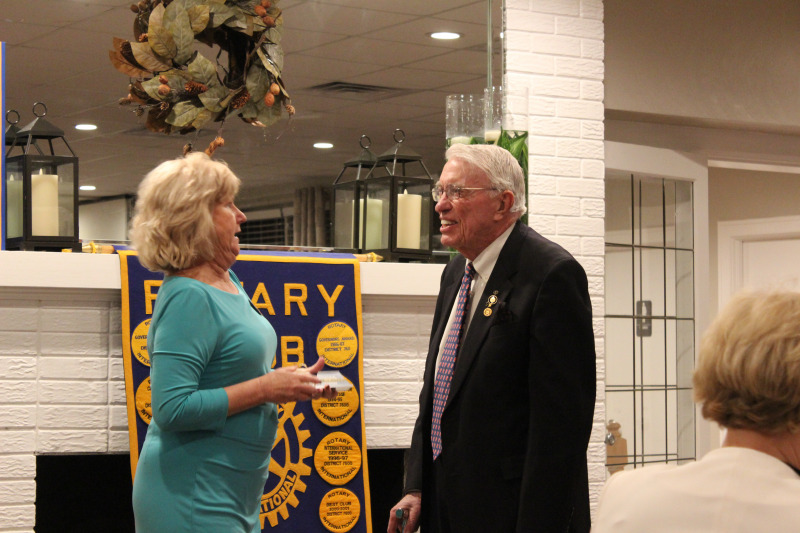 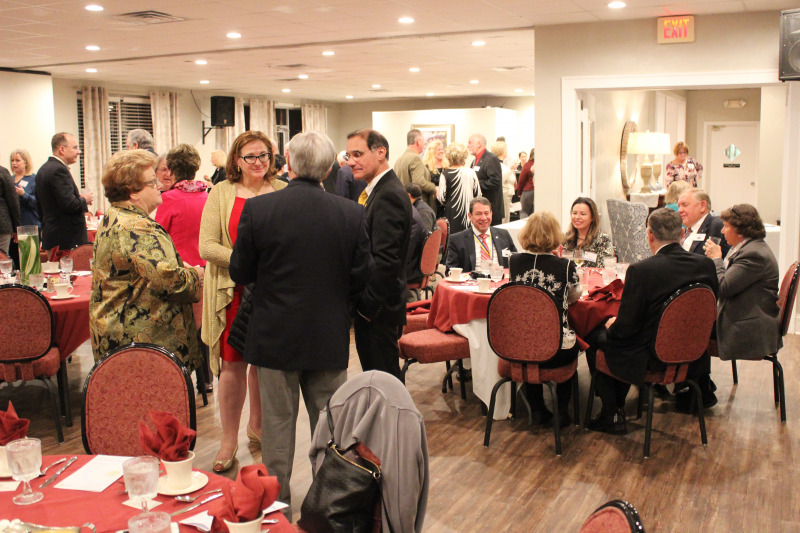 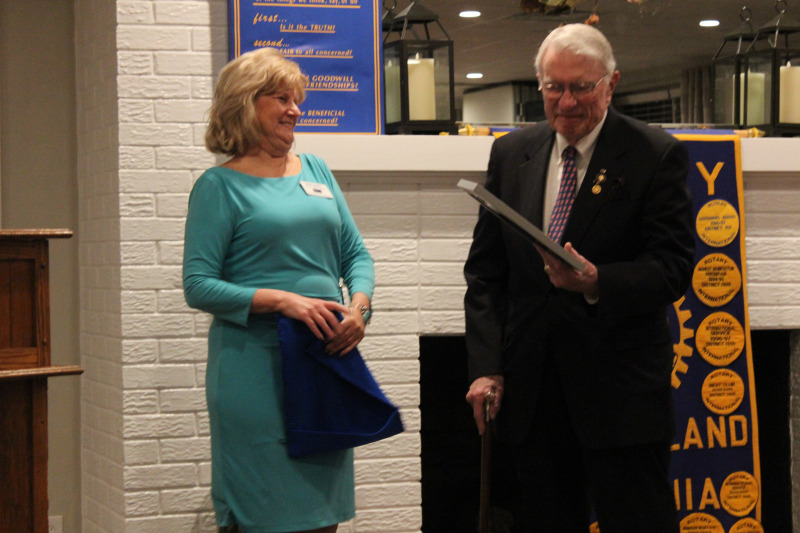 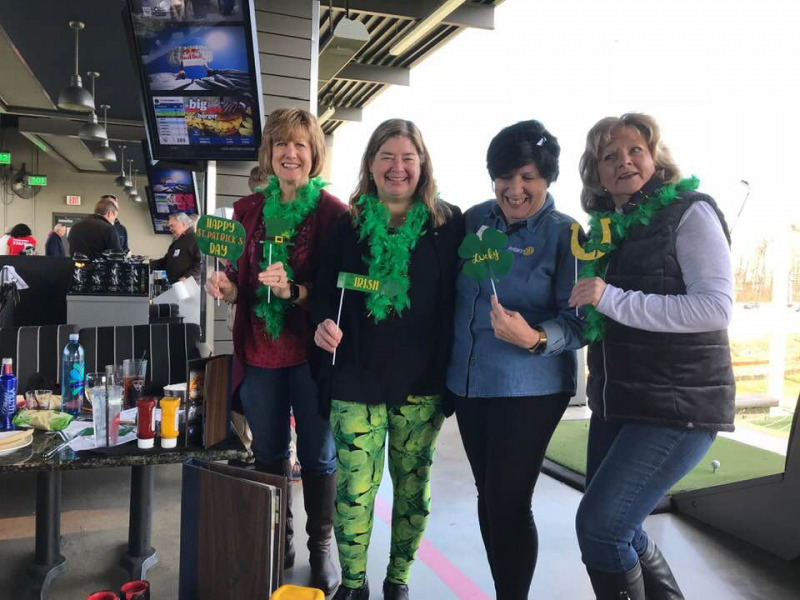 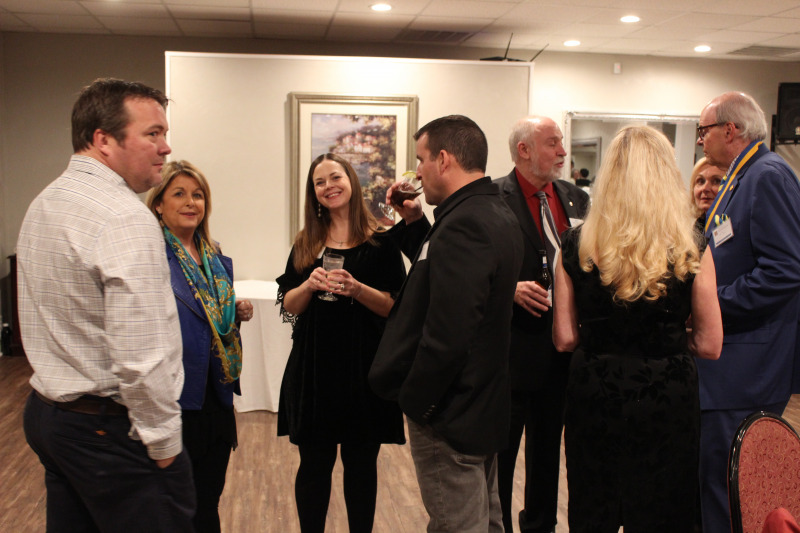 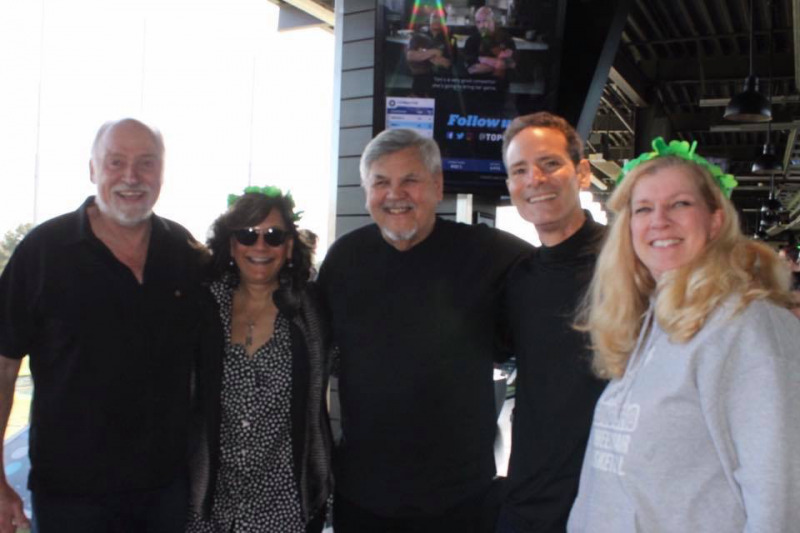 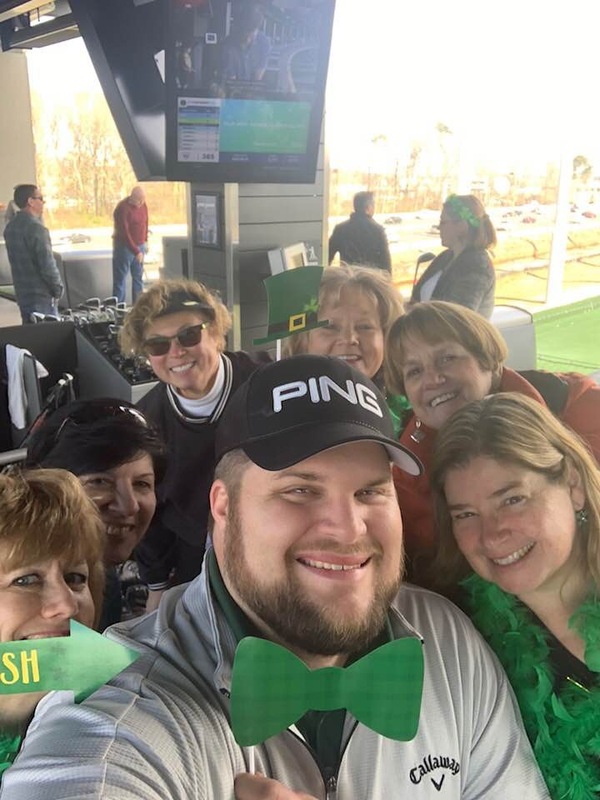 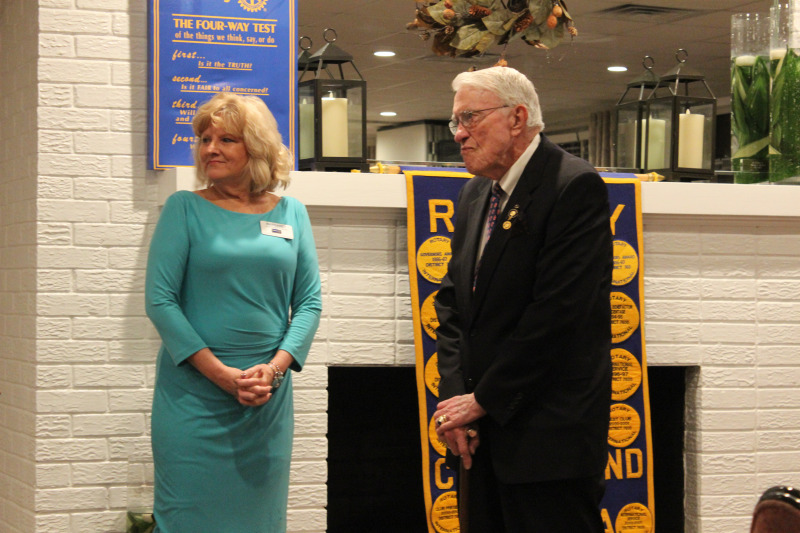 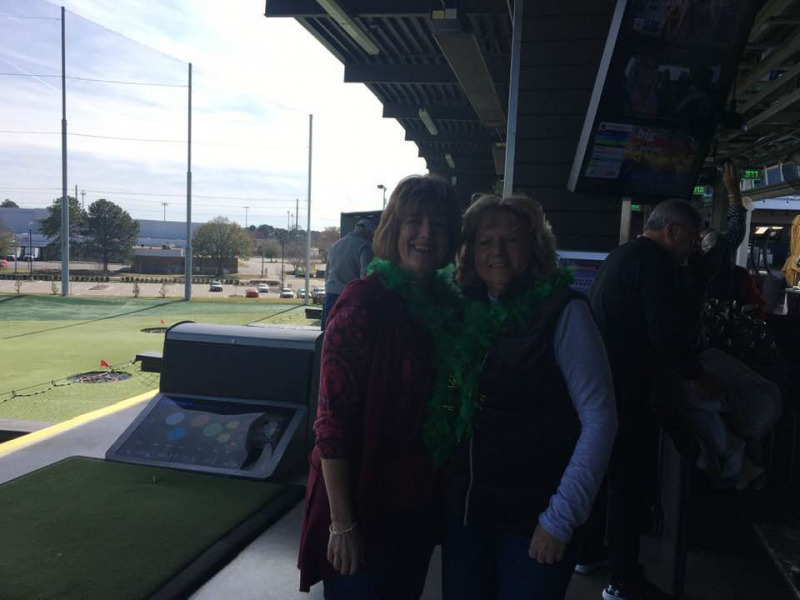 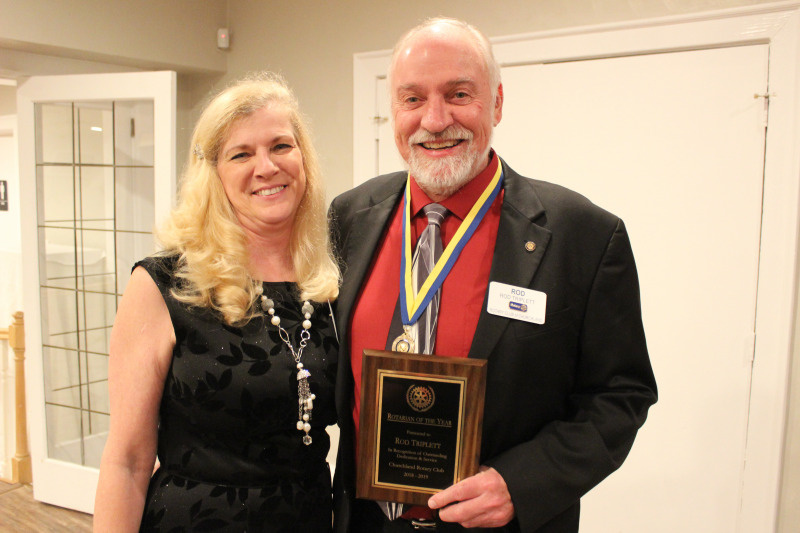 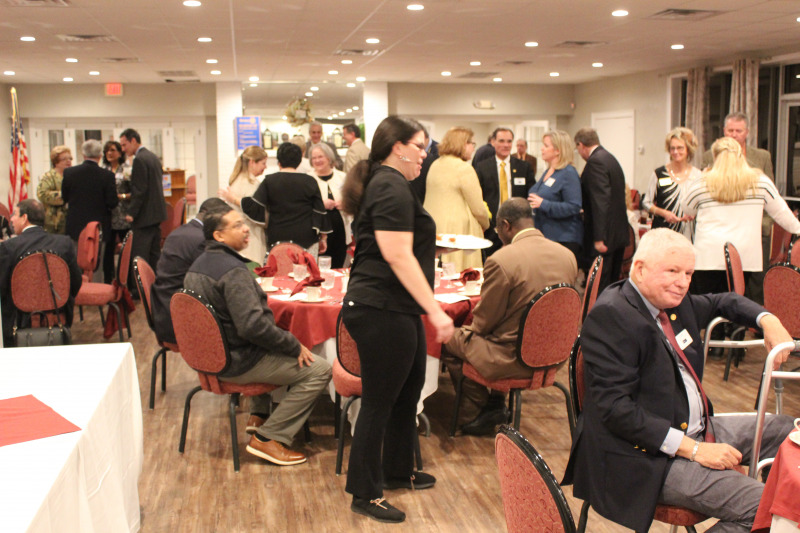 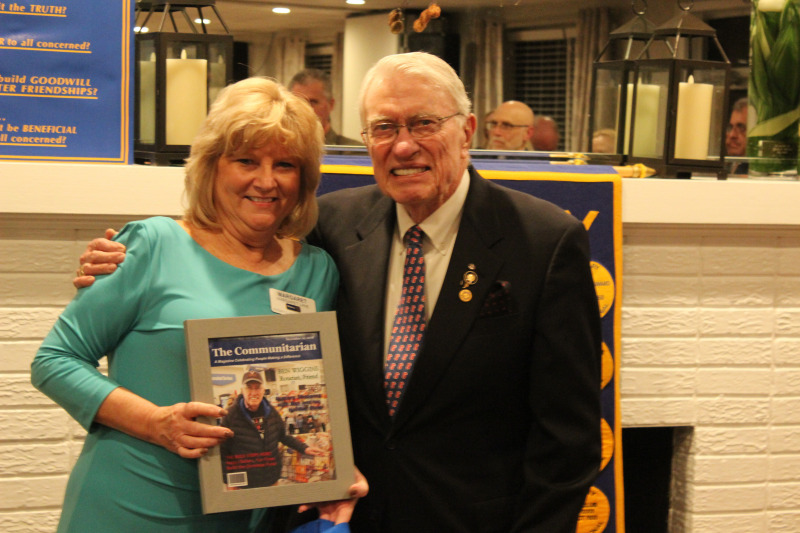 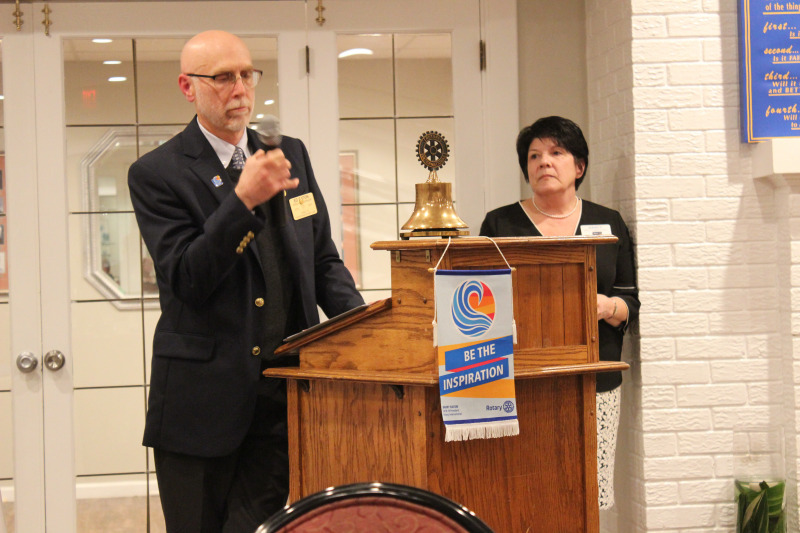 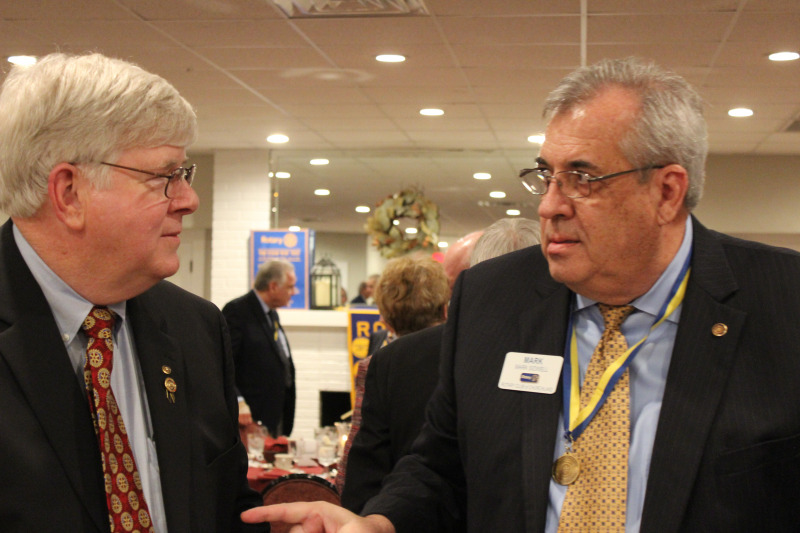 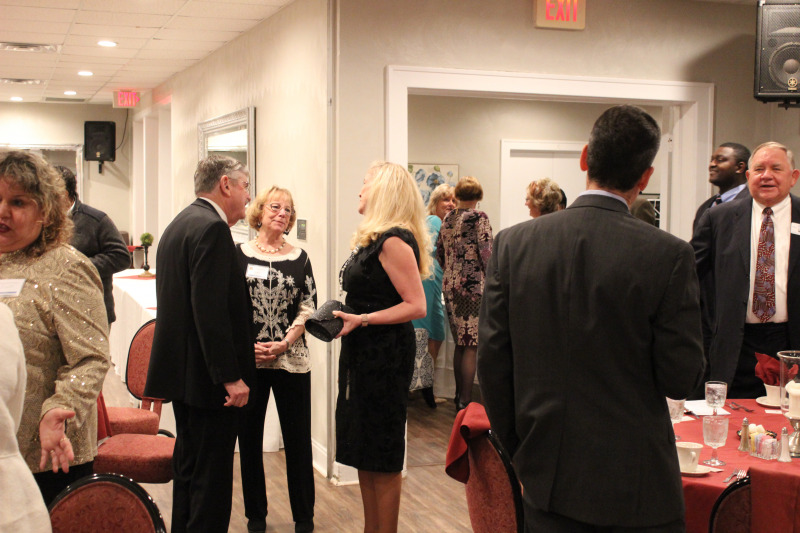 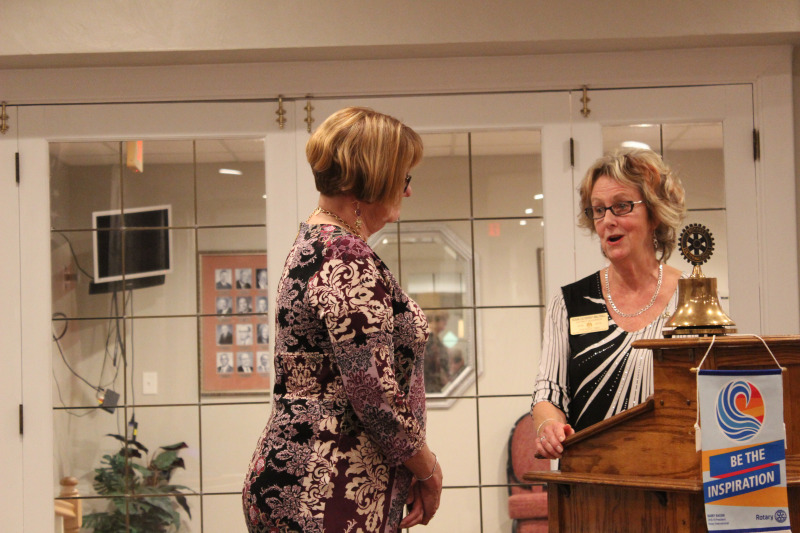 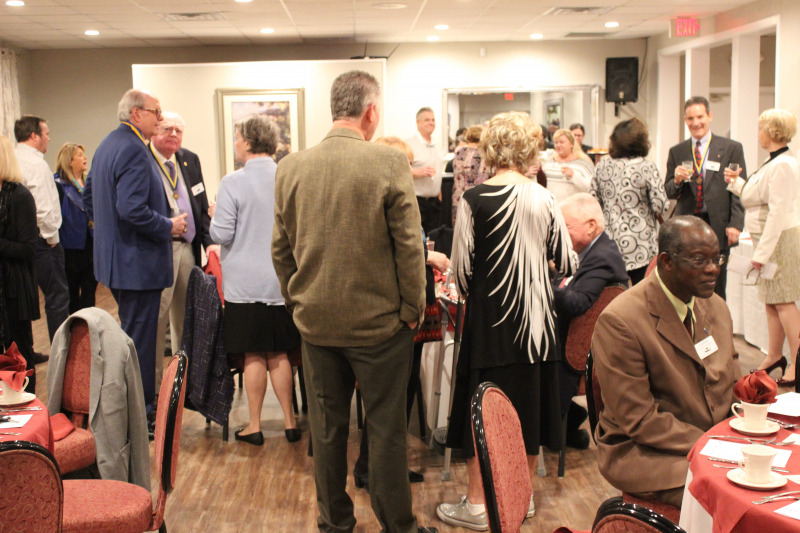 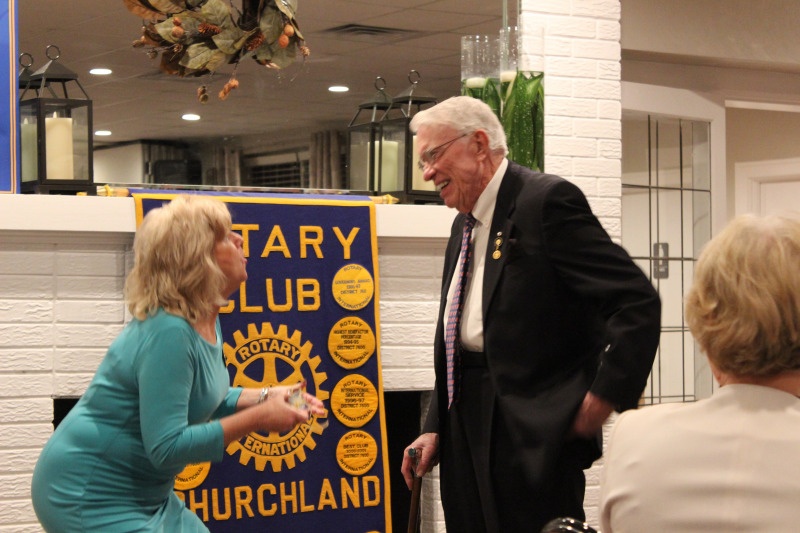 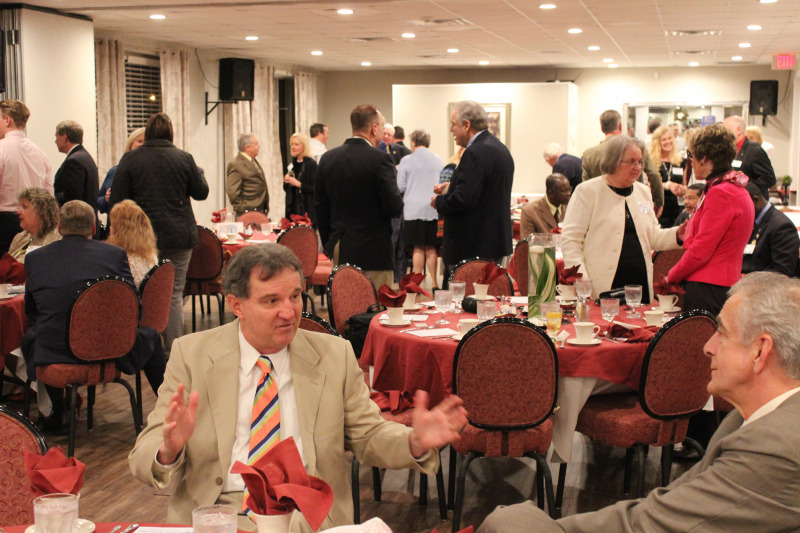 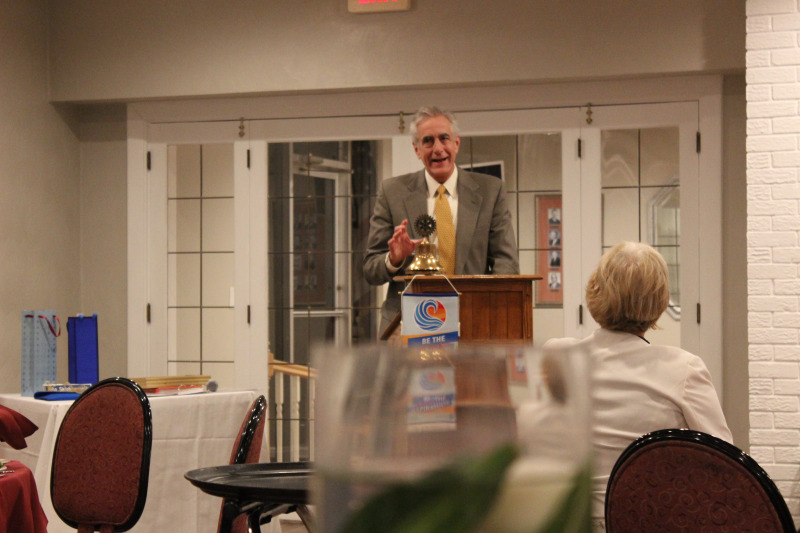 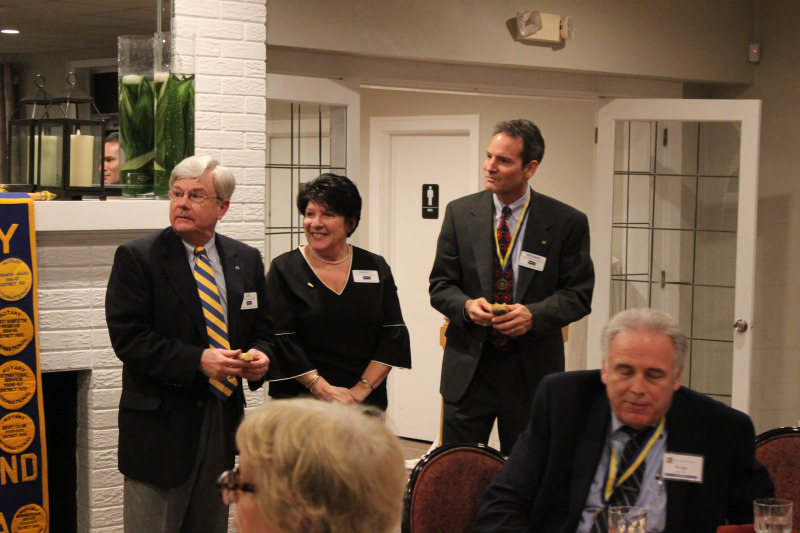 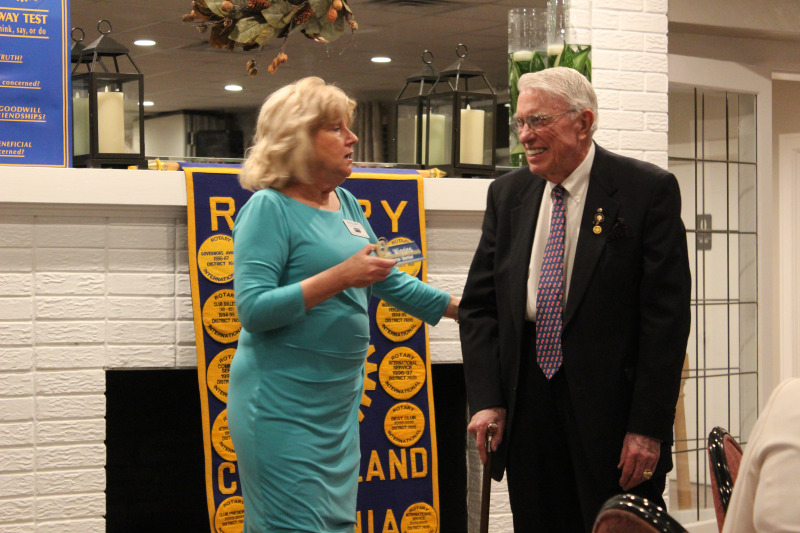 Club members gathered at Elizabeth Manor Golf & Country Club to celebrate it's 34th birthday. 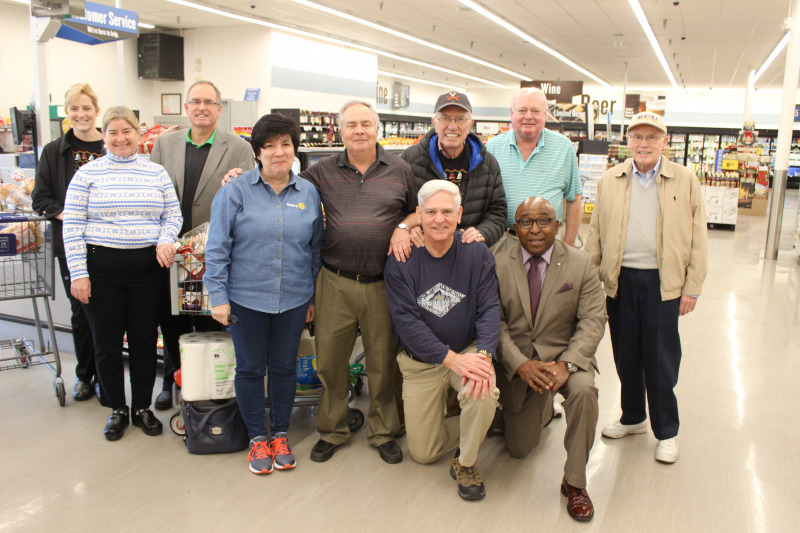 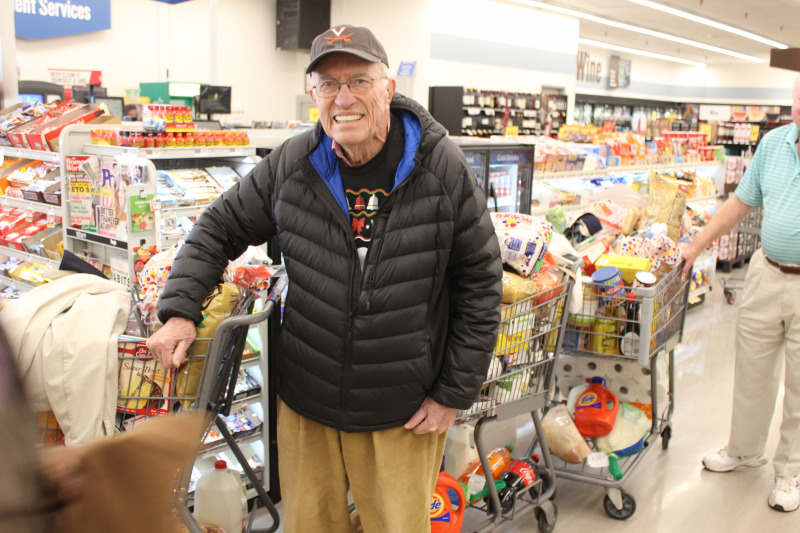 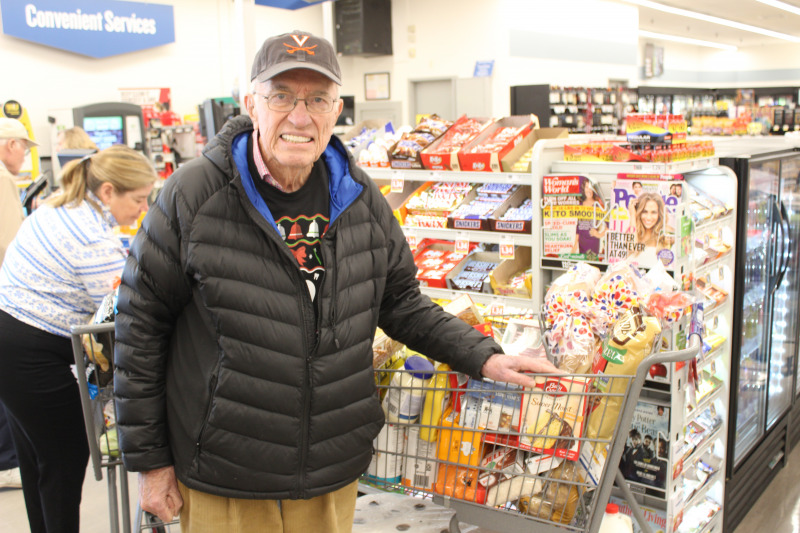 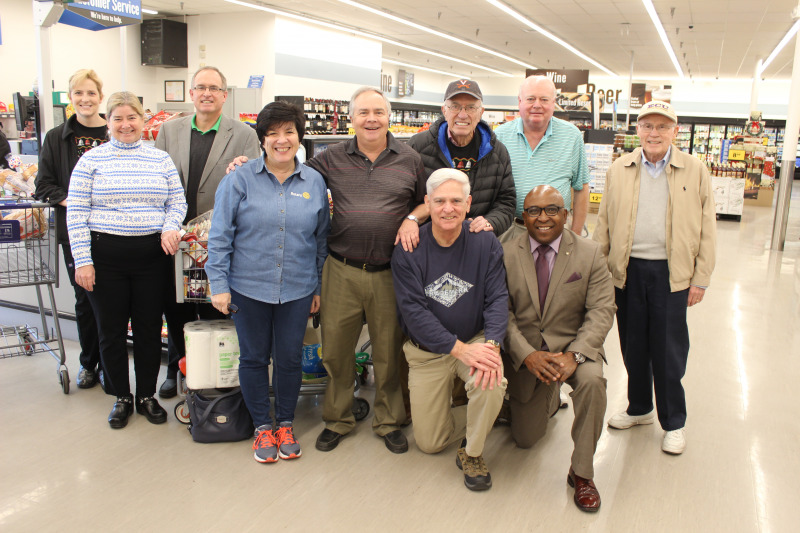 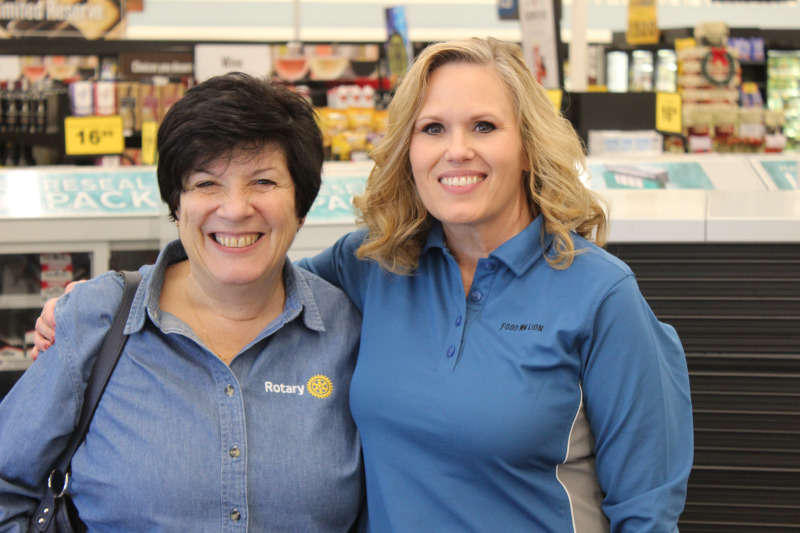 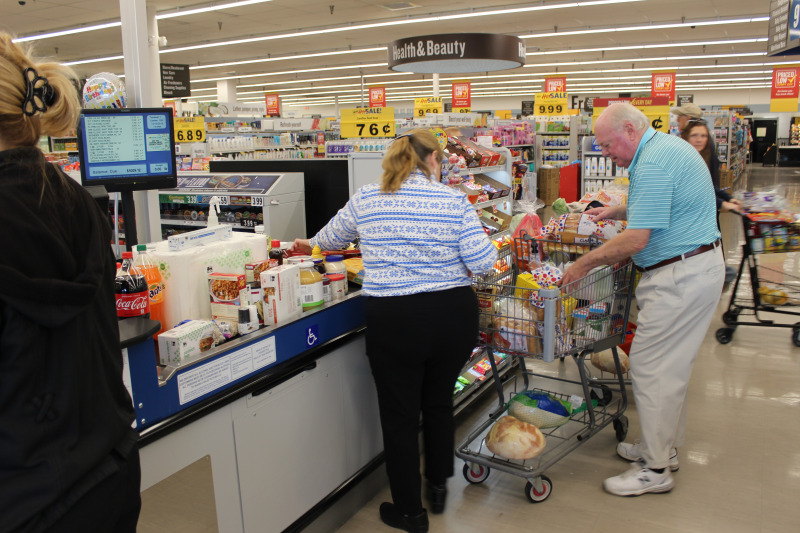 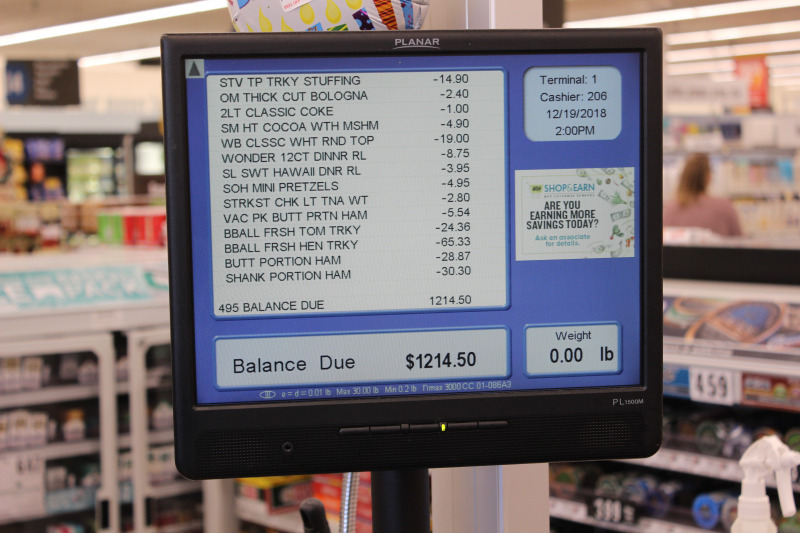 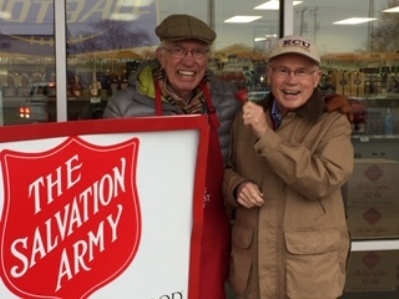 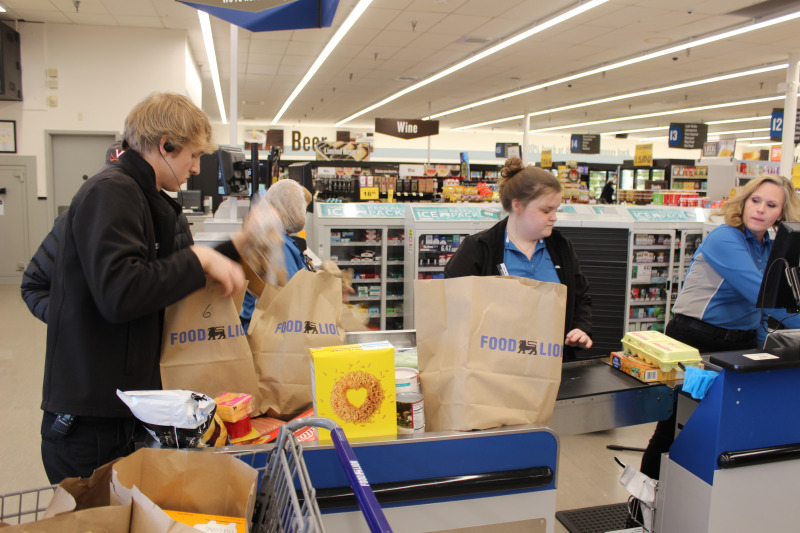 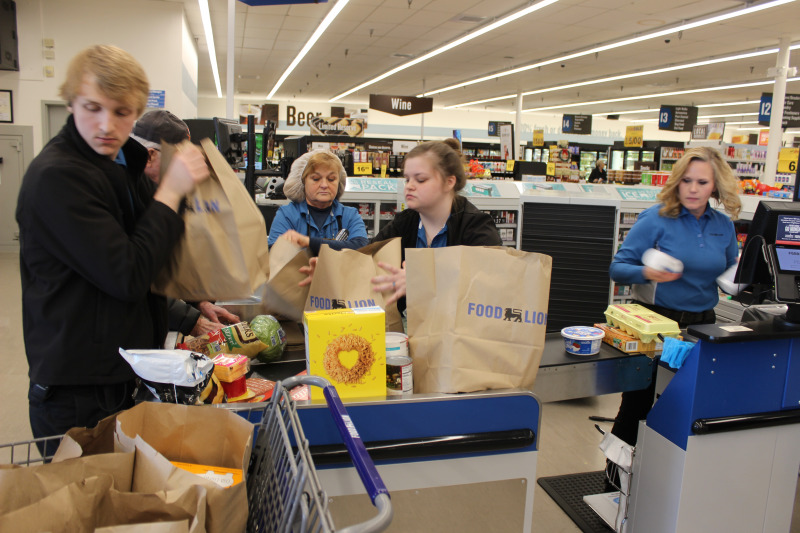 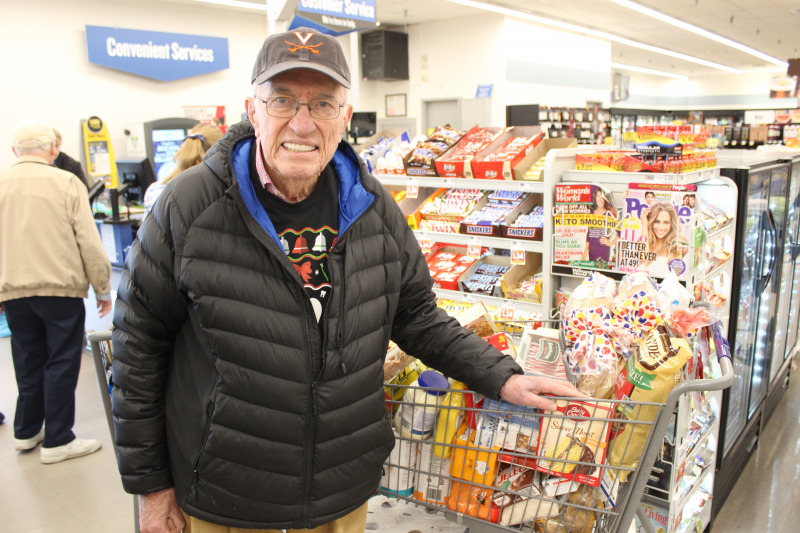 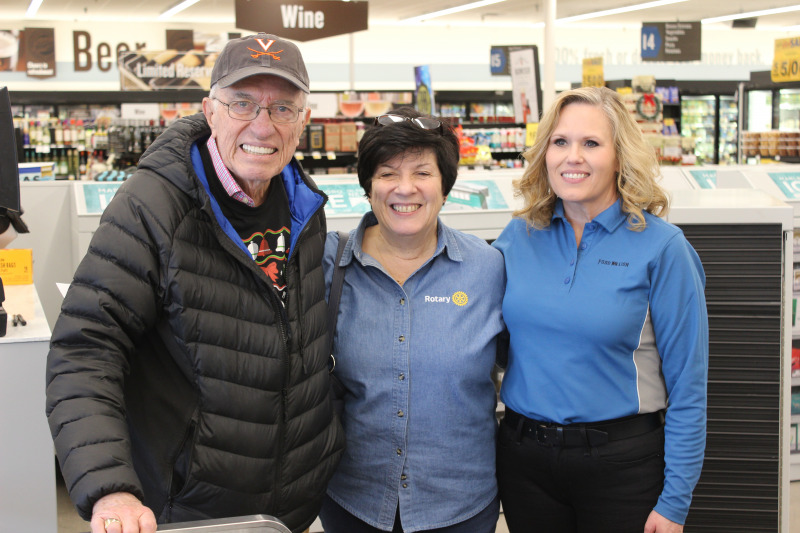 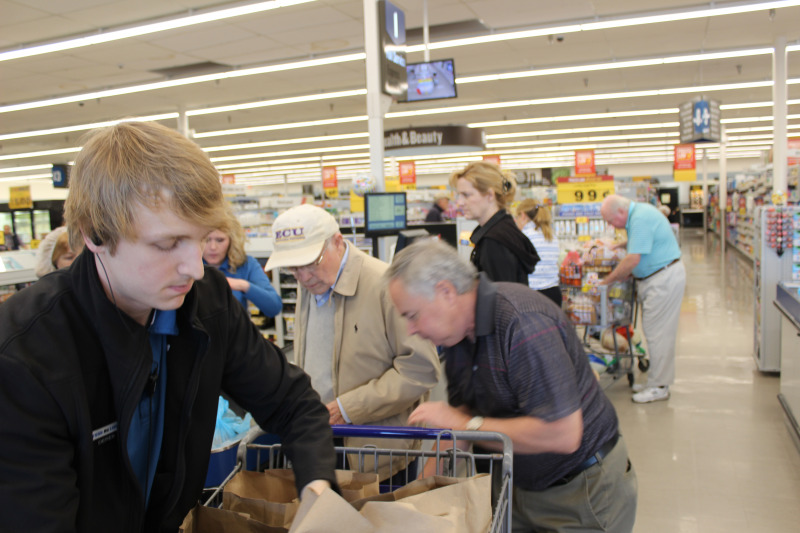 Members gathered at Food Lion in Bennet's Creek to purchase groceries for families the club was helping during the Christmas season. 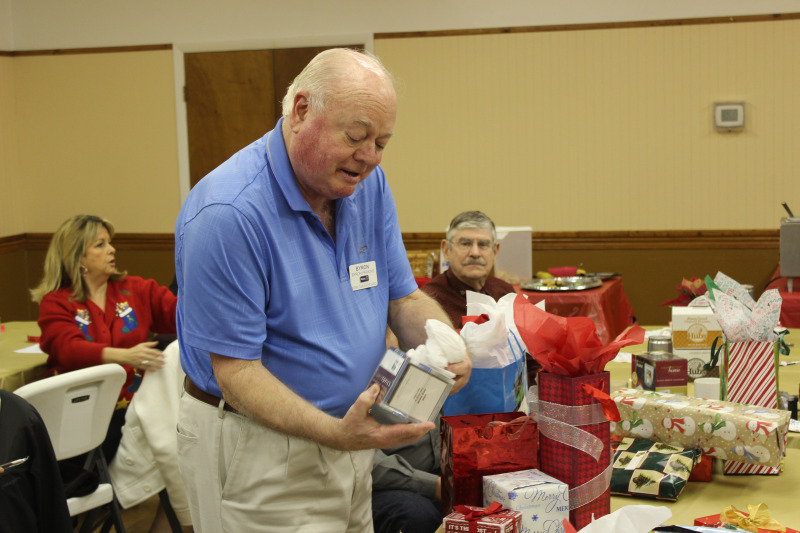 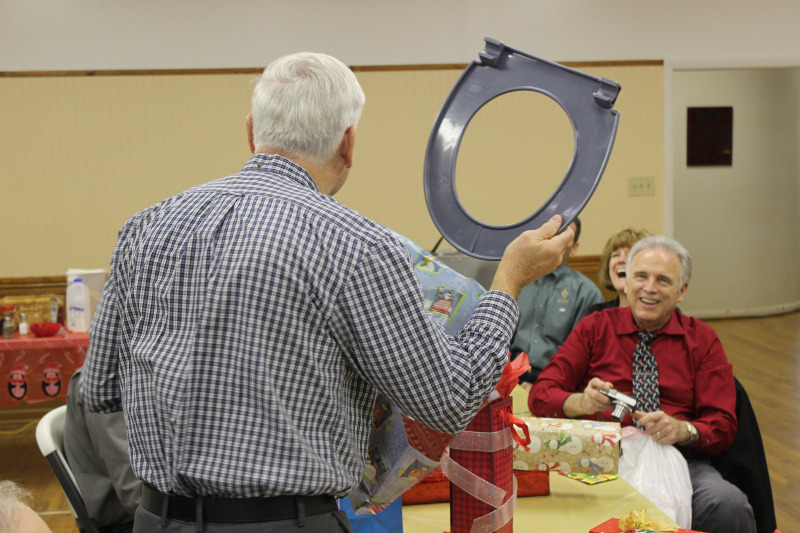 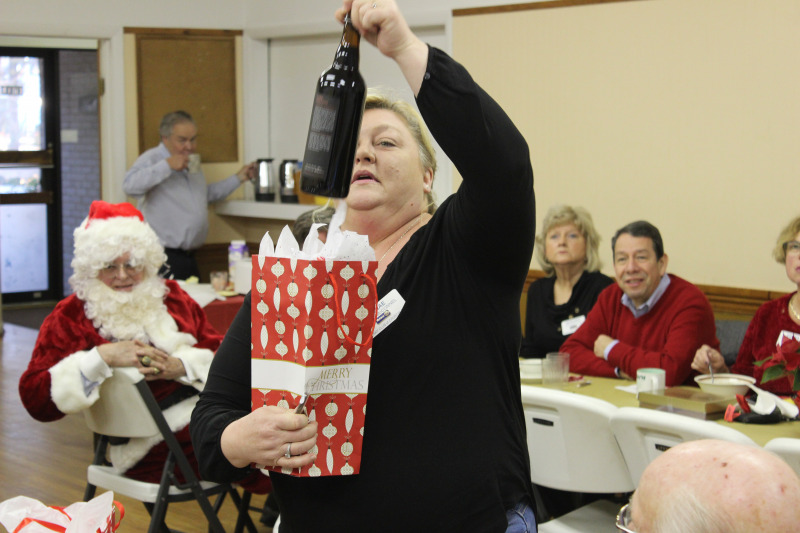 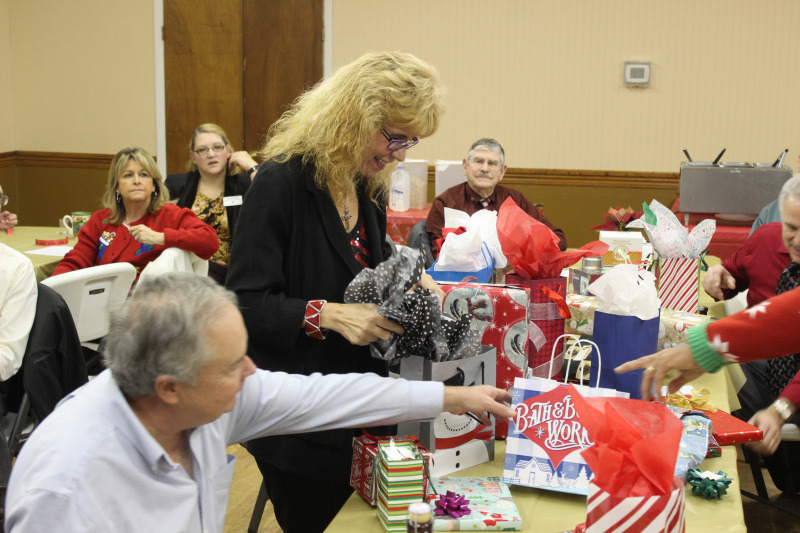 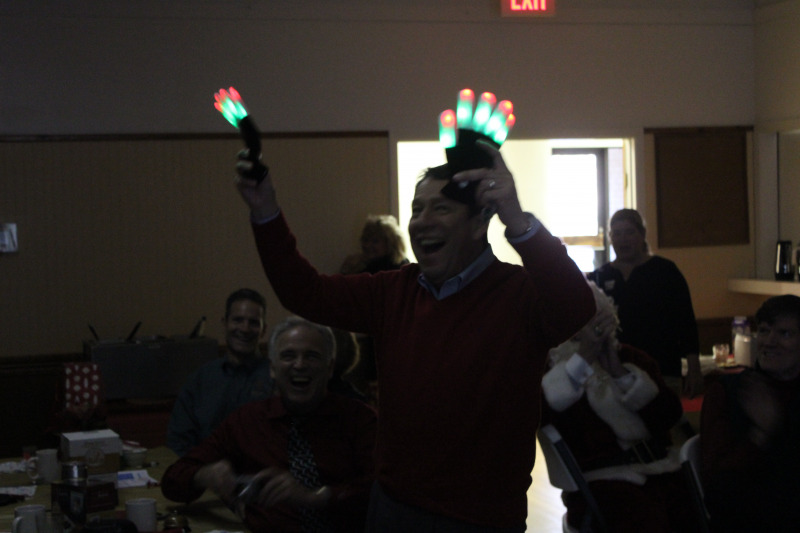 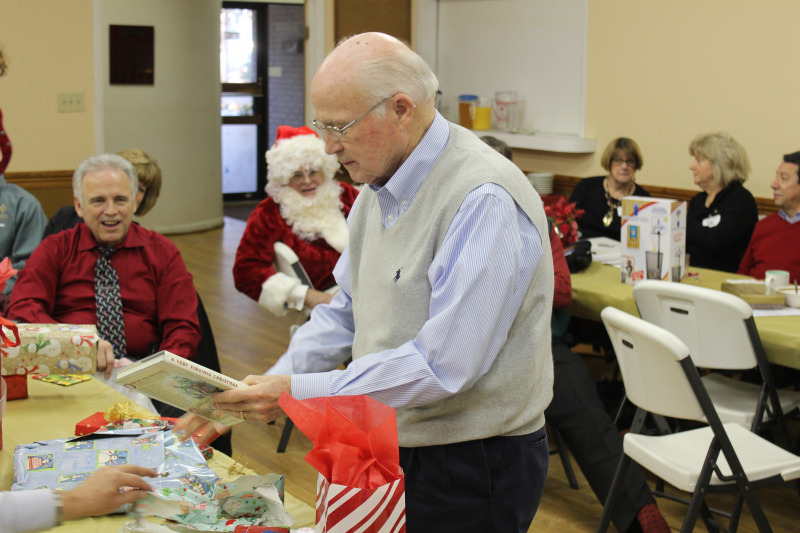 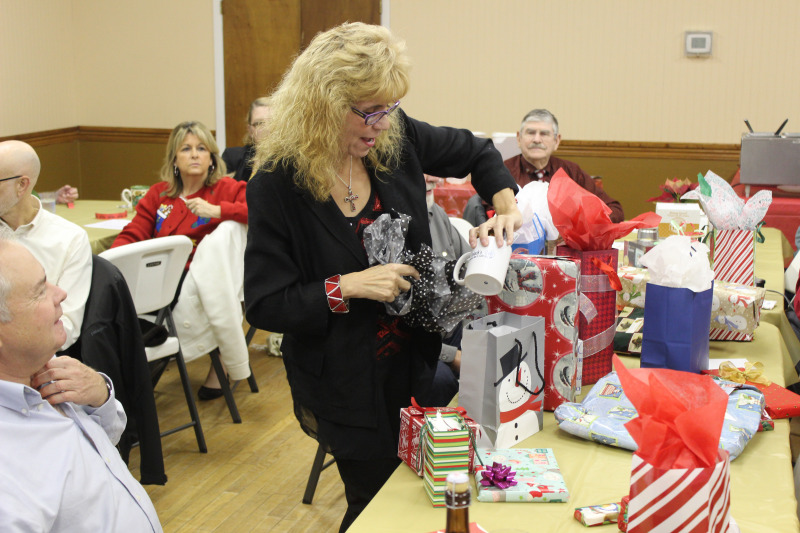 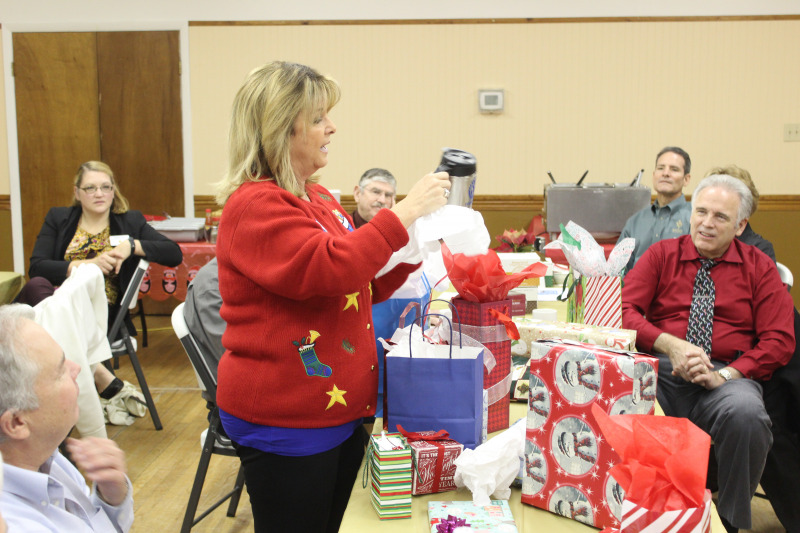 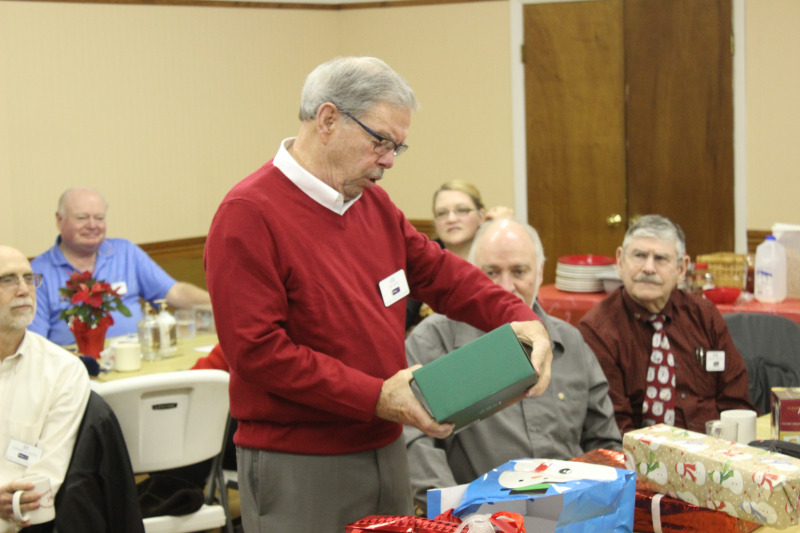 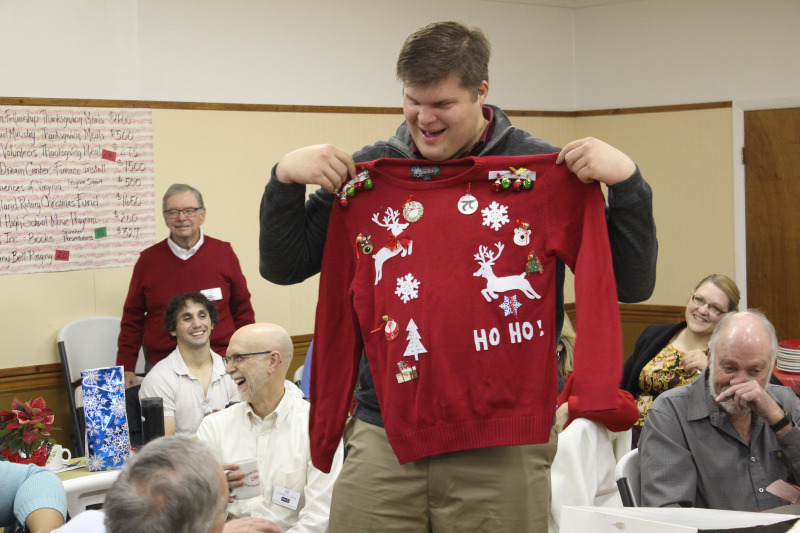 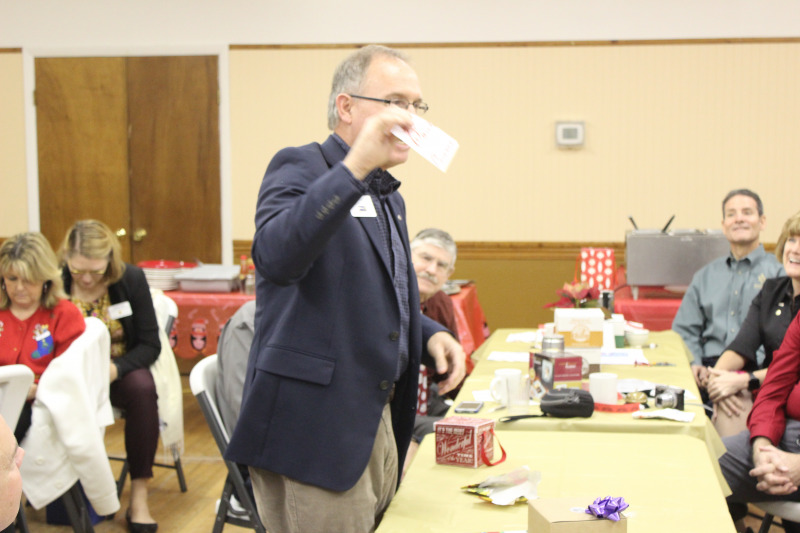 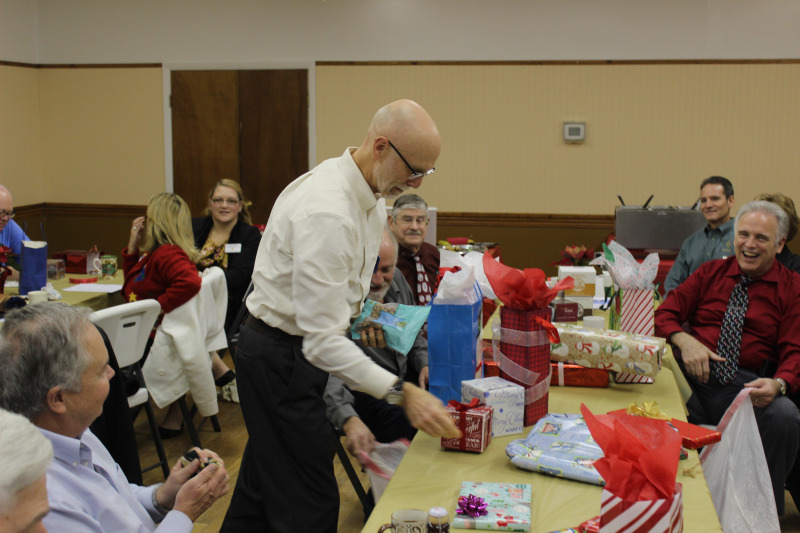 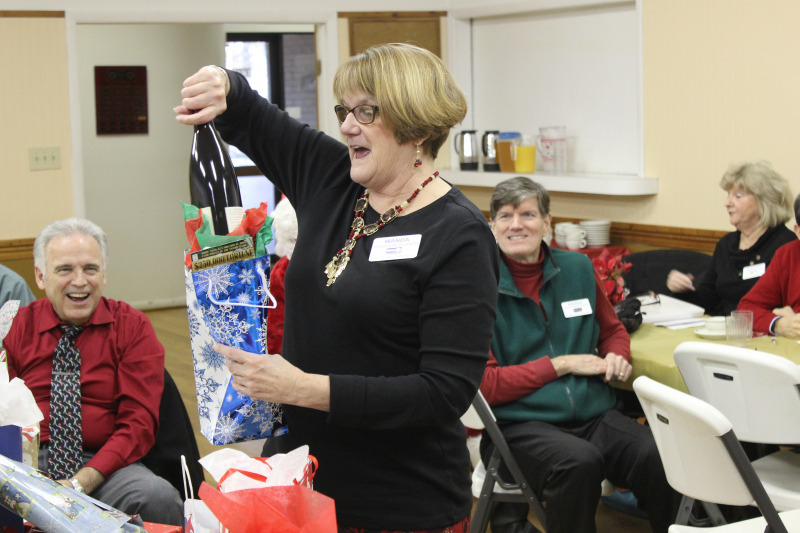 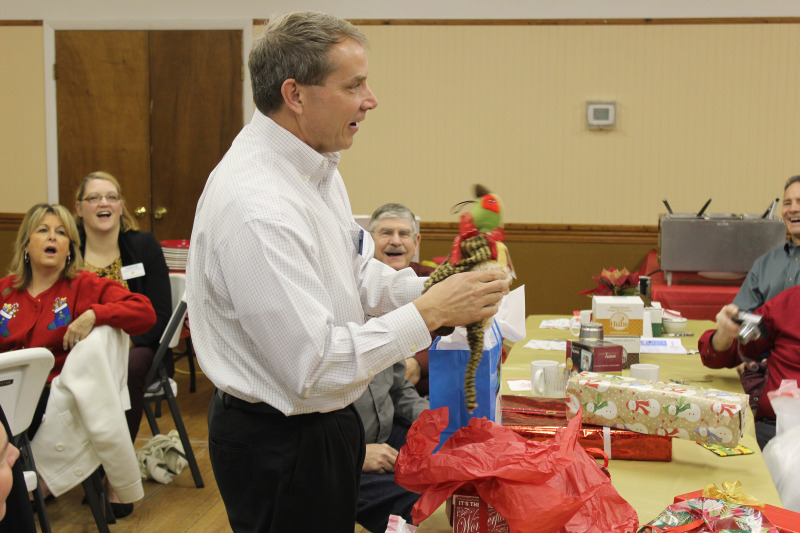 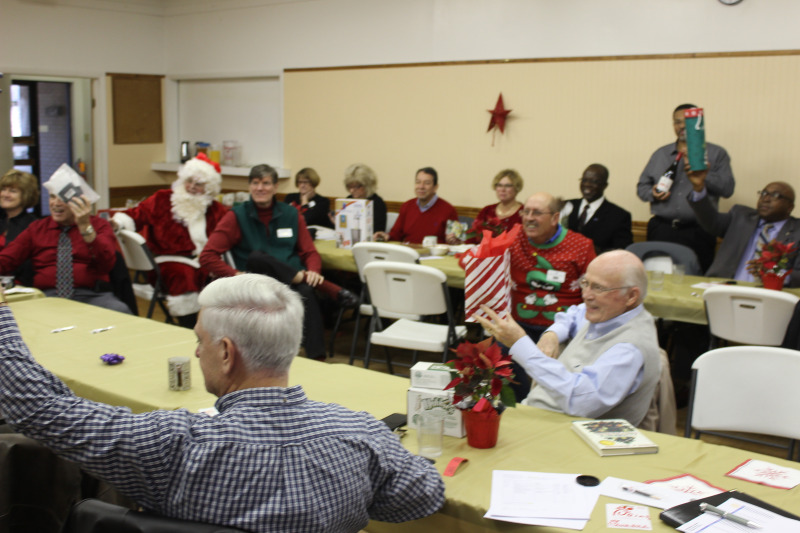 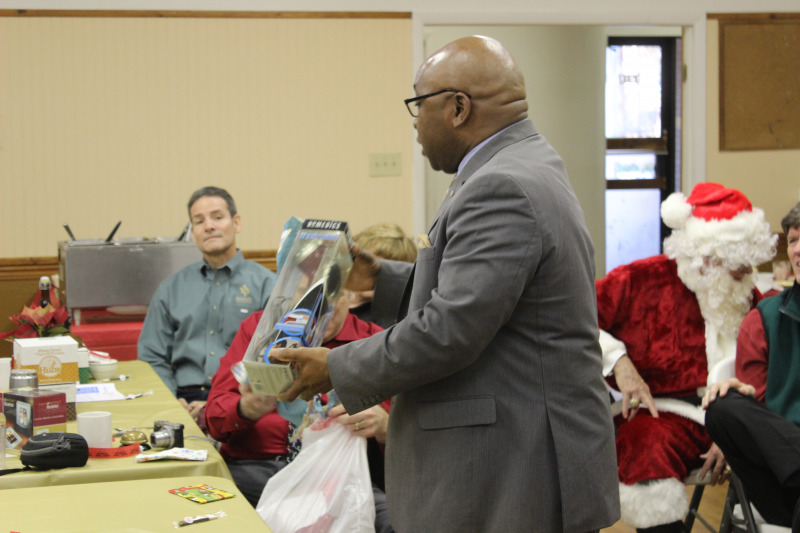 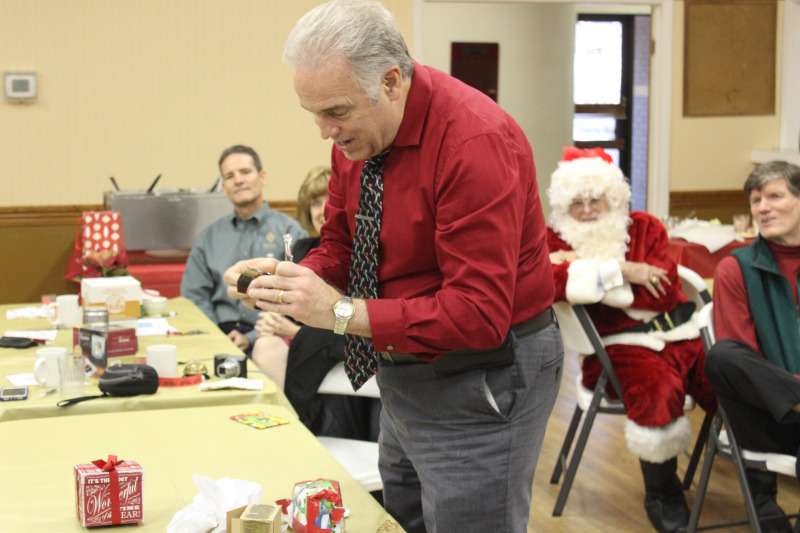 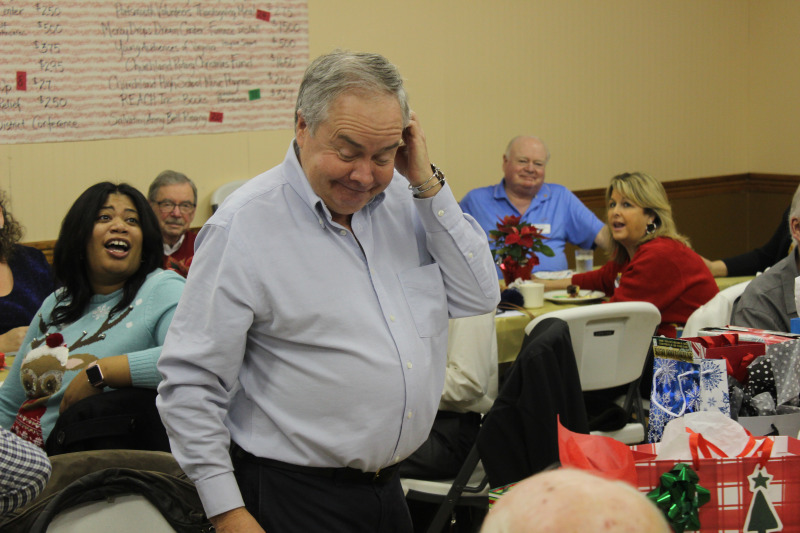 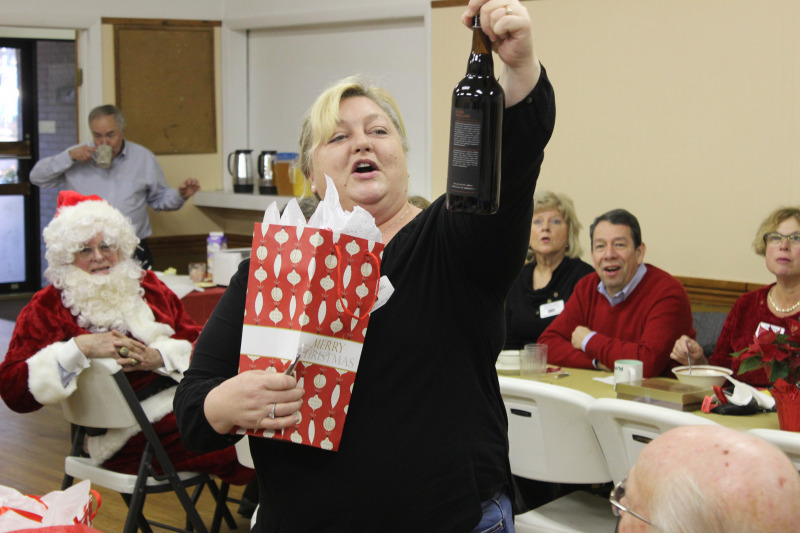 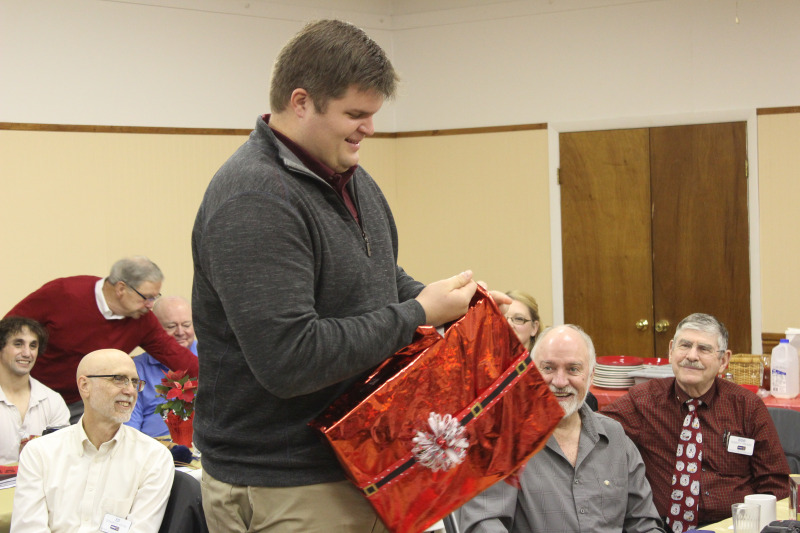 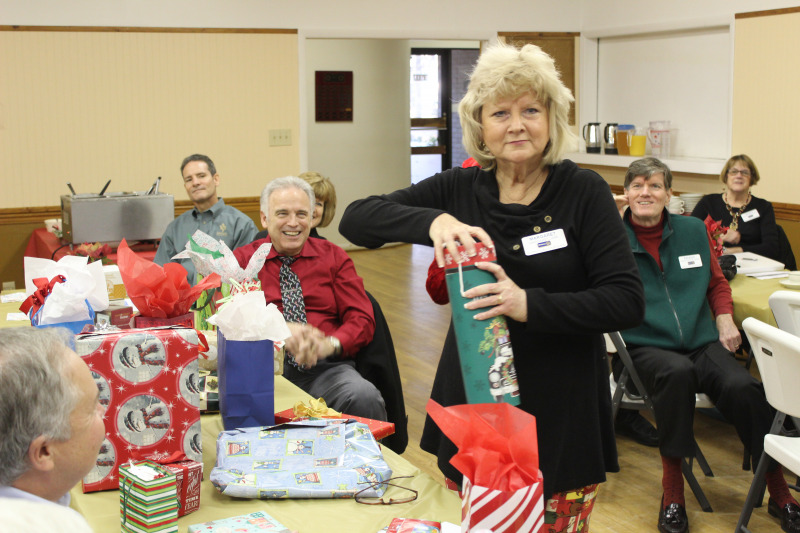 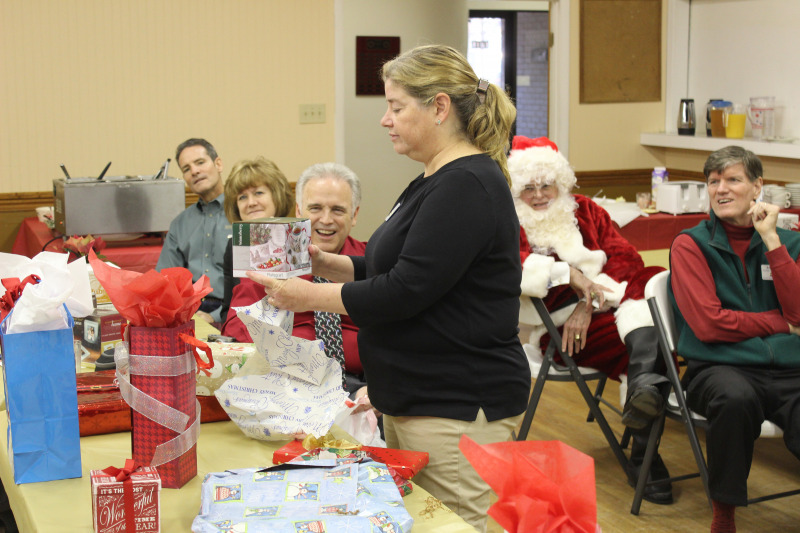 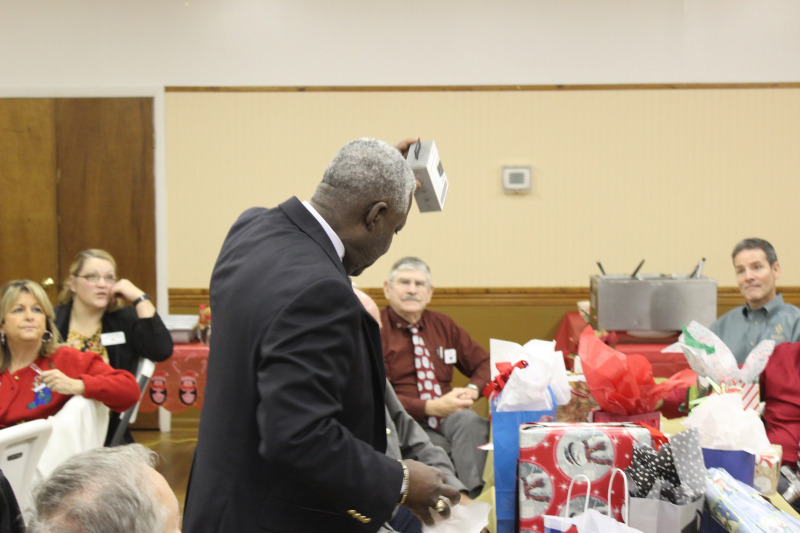 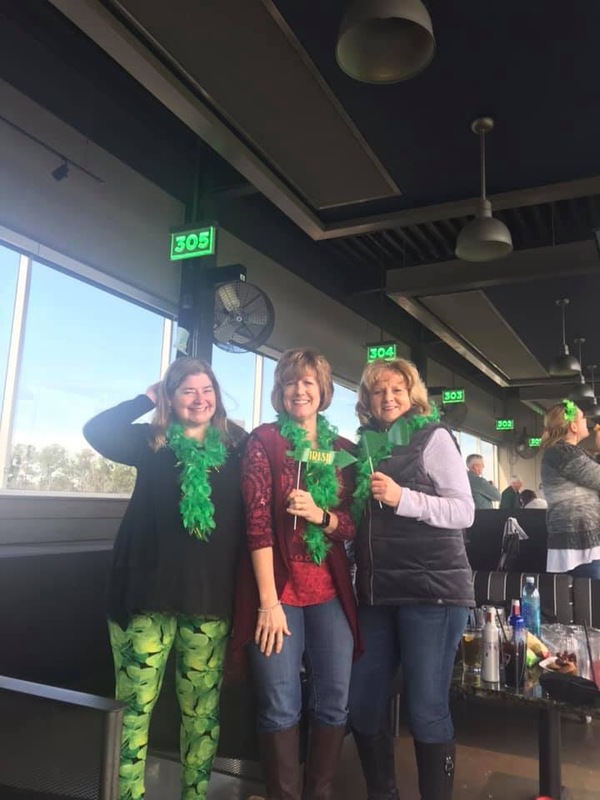 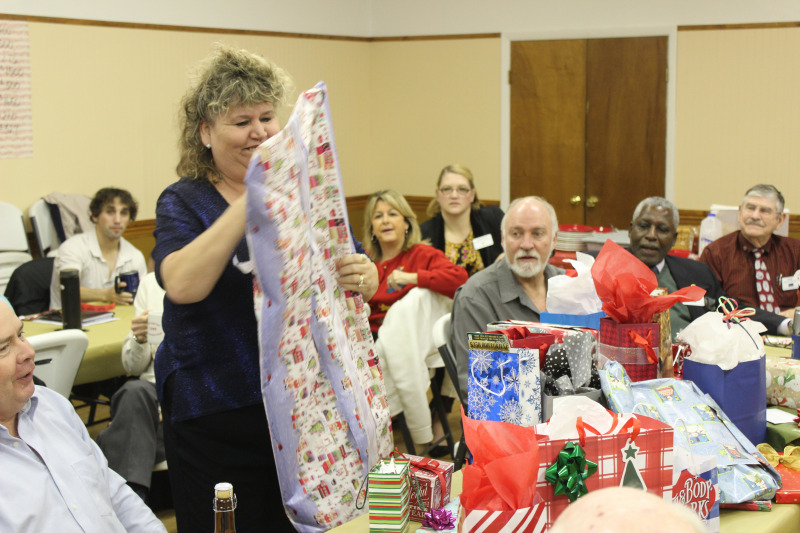 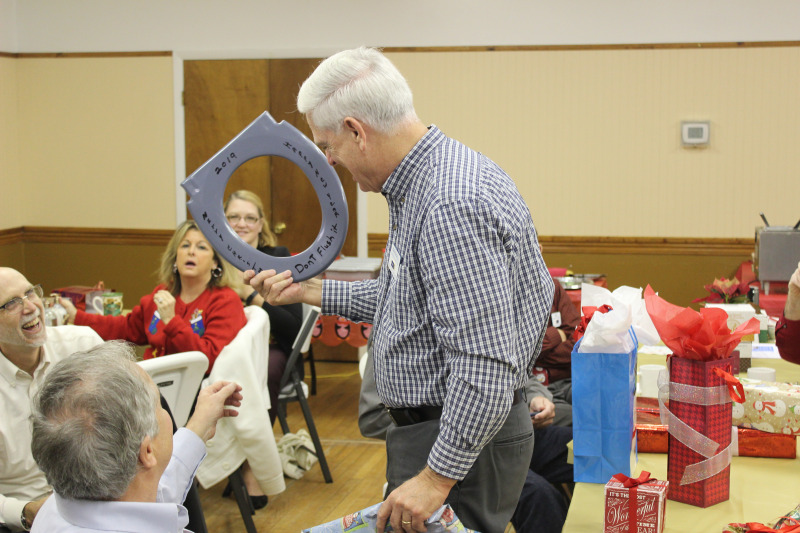 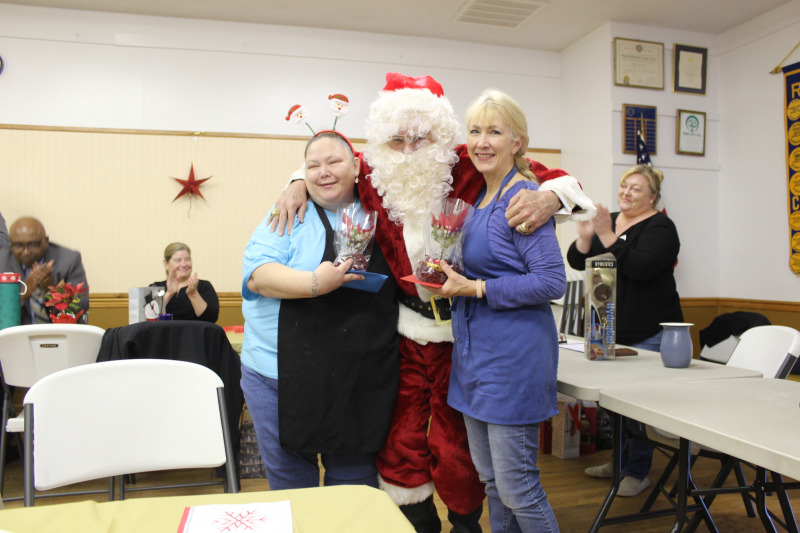 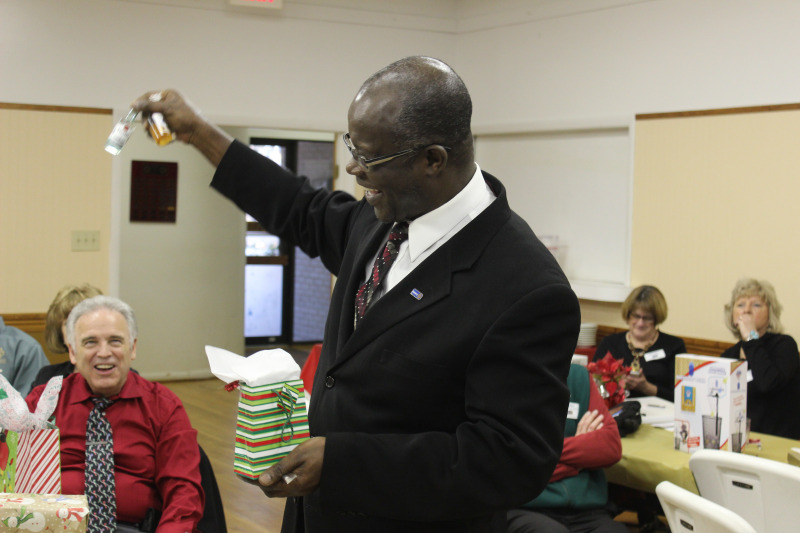 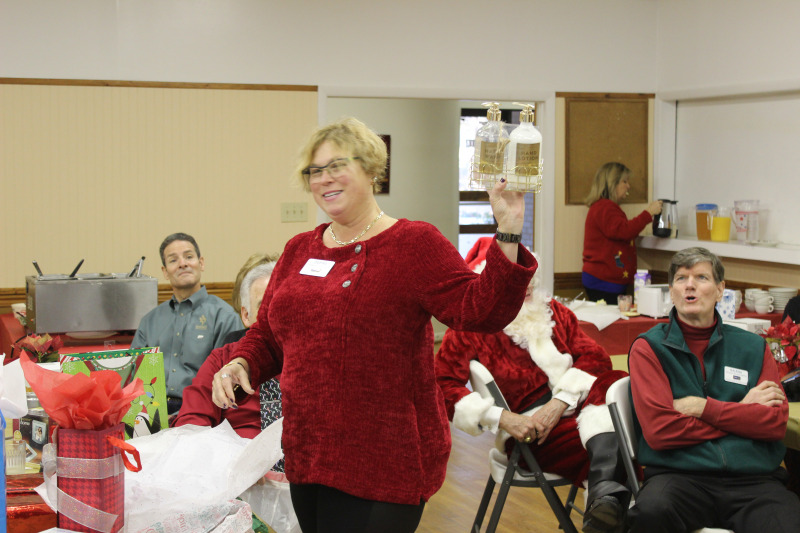 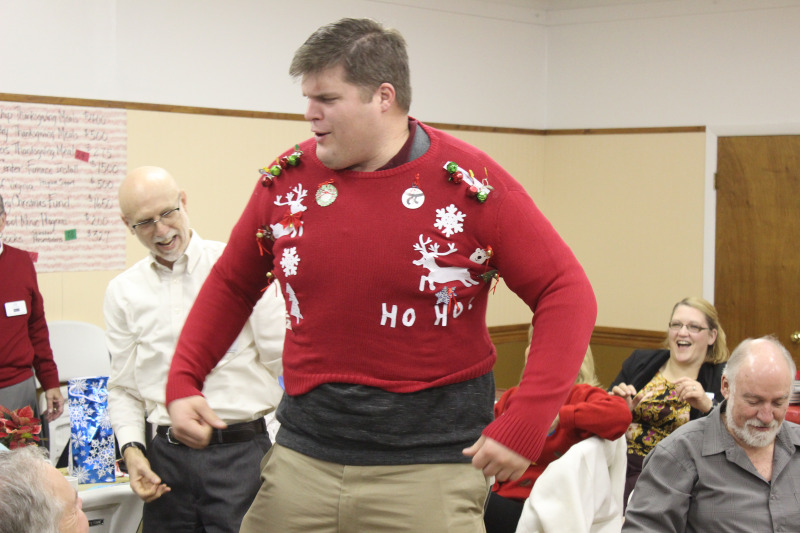 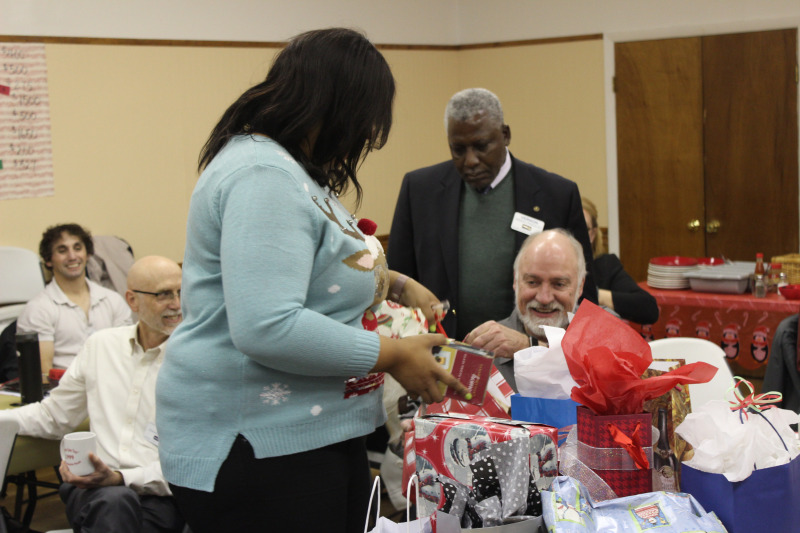 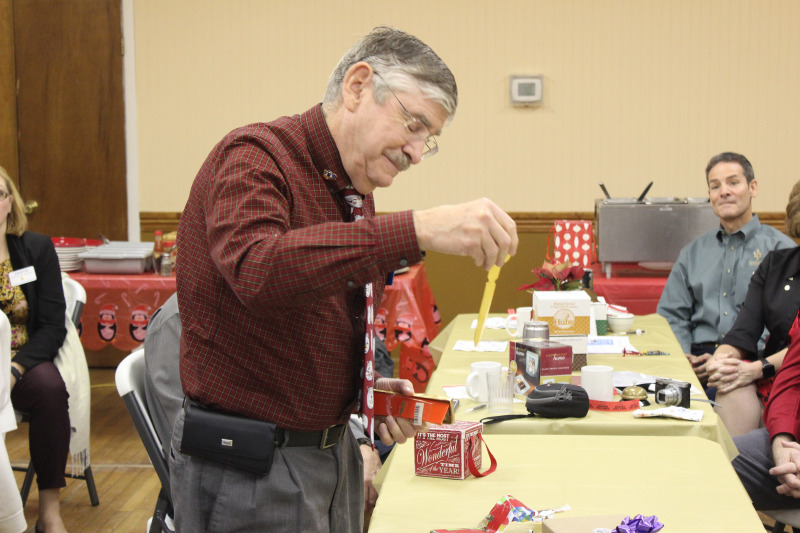 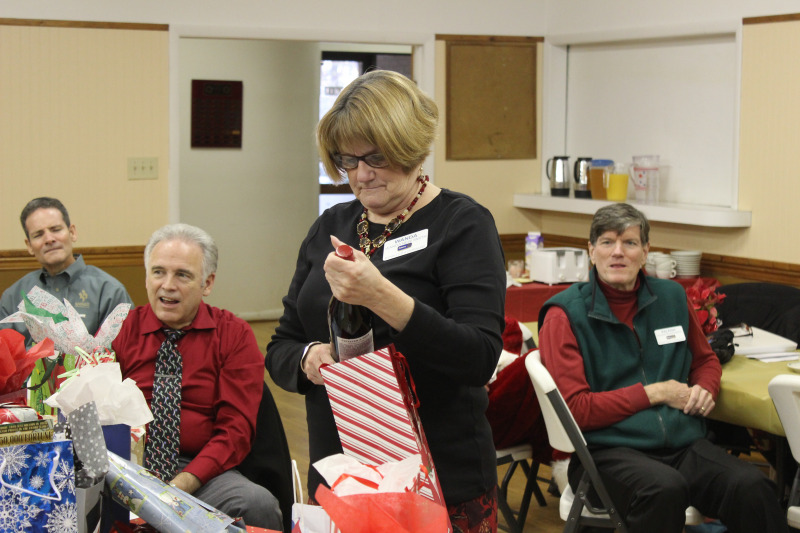 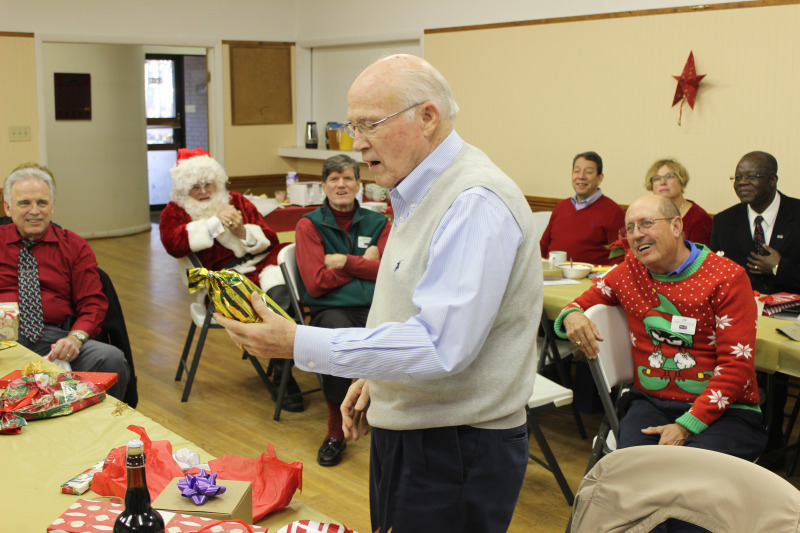 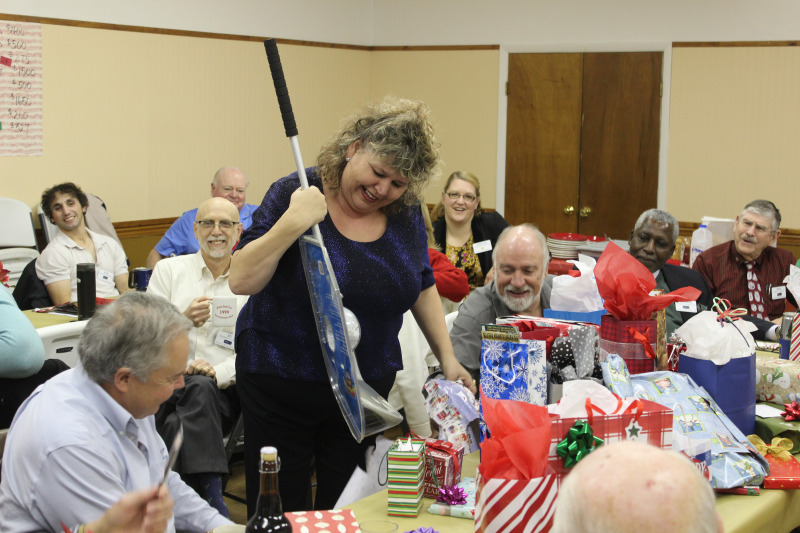 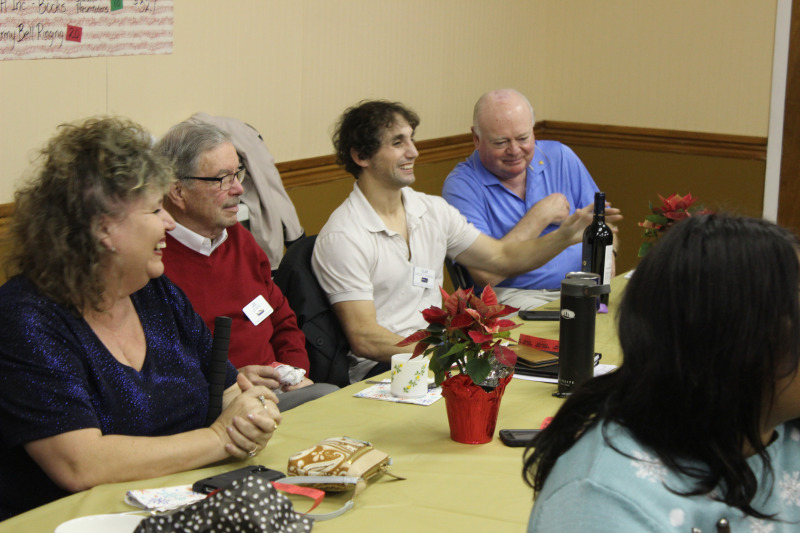 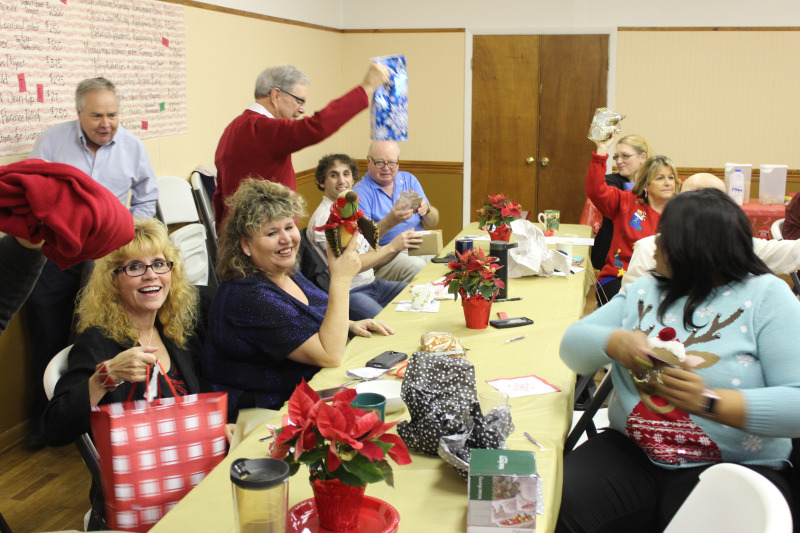 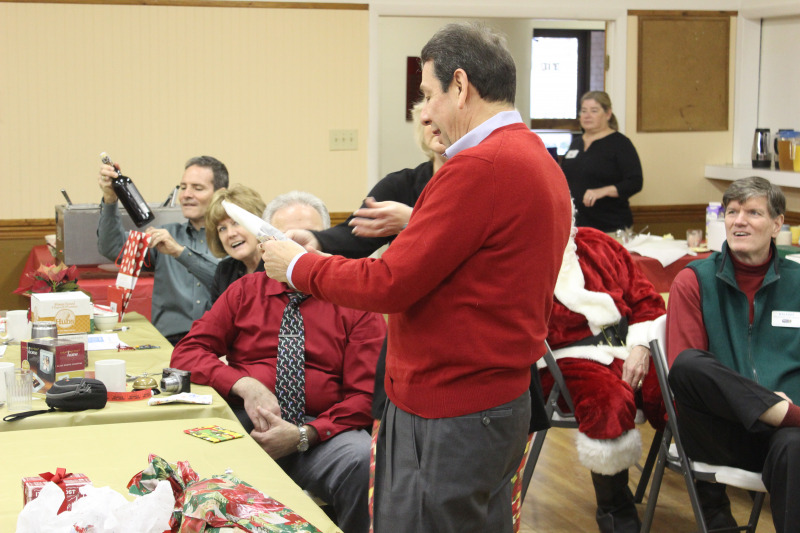 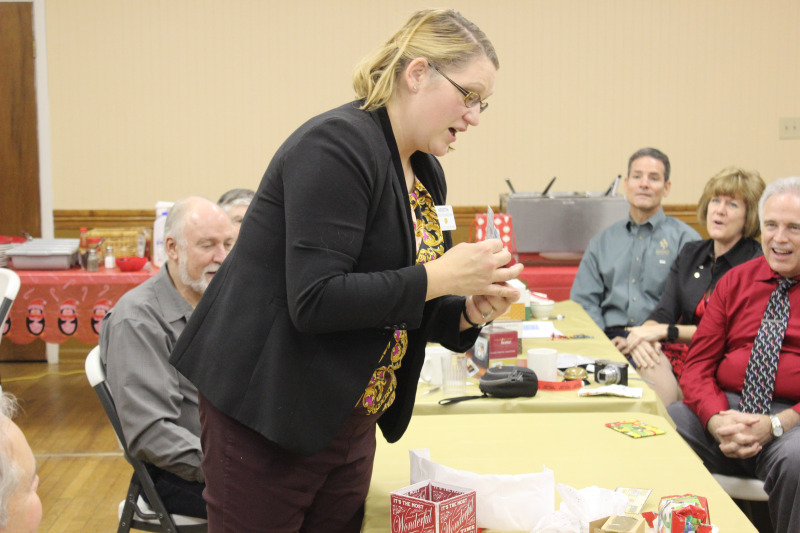 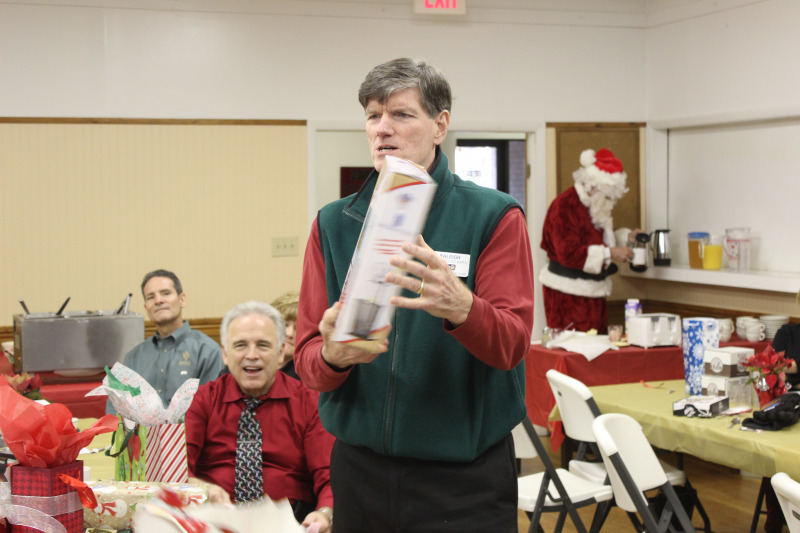 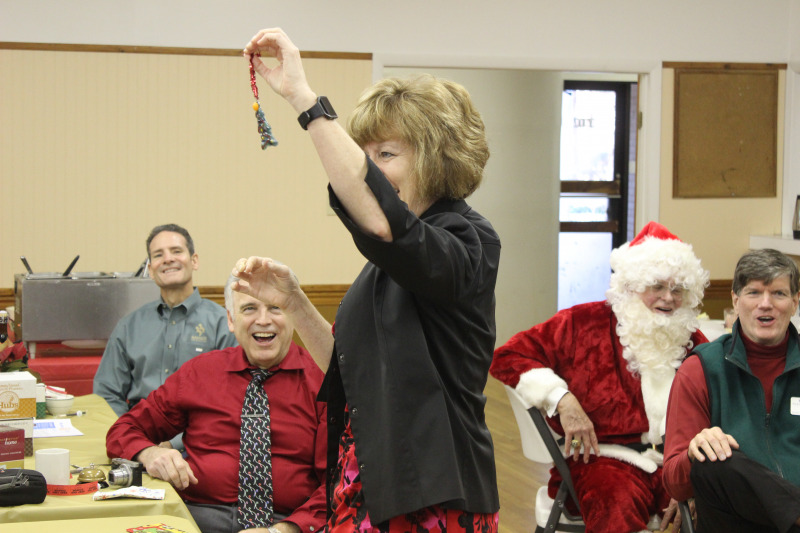 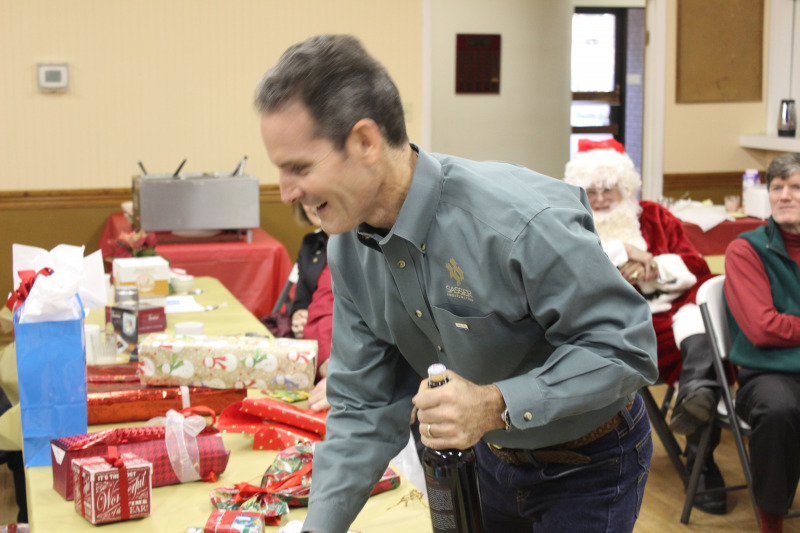 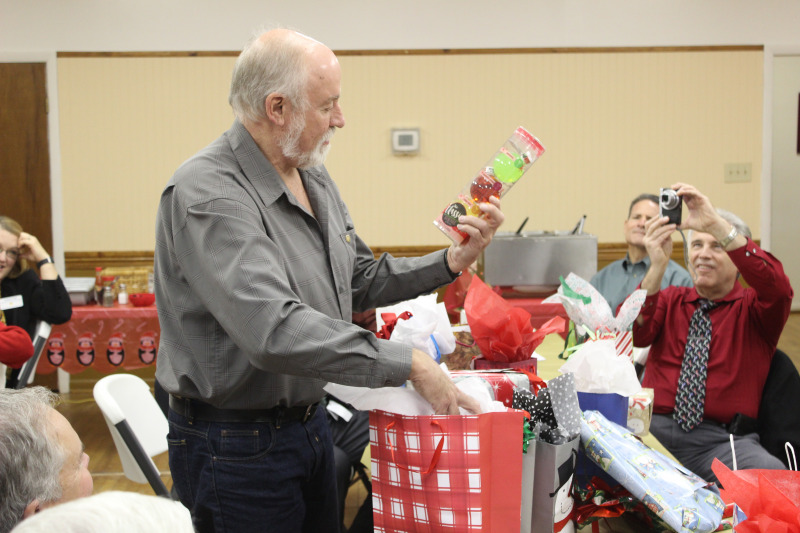 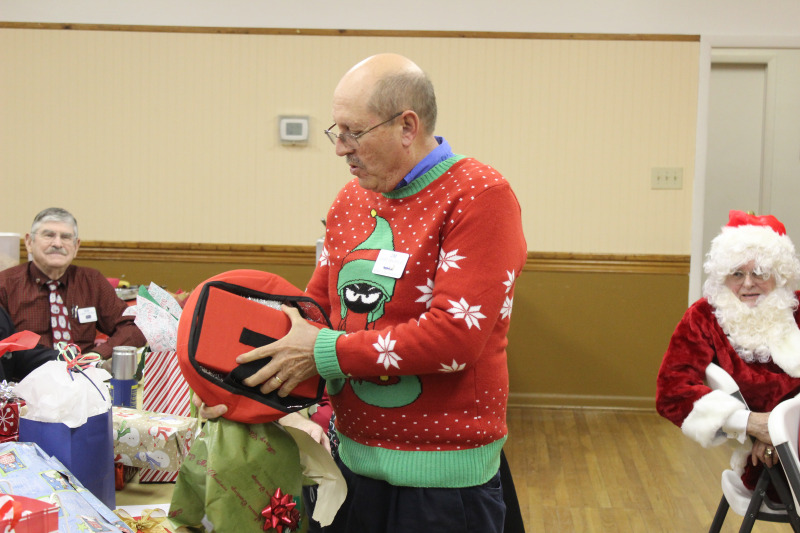 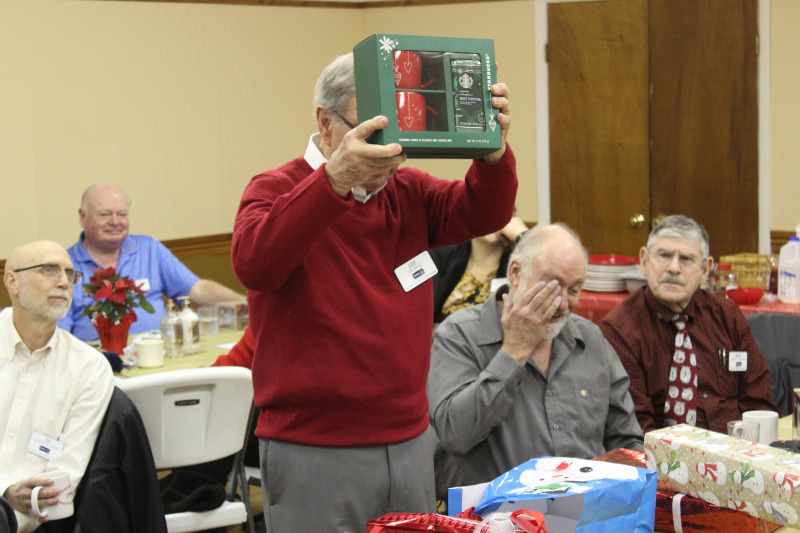 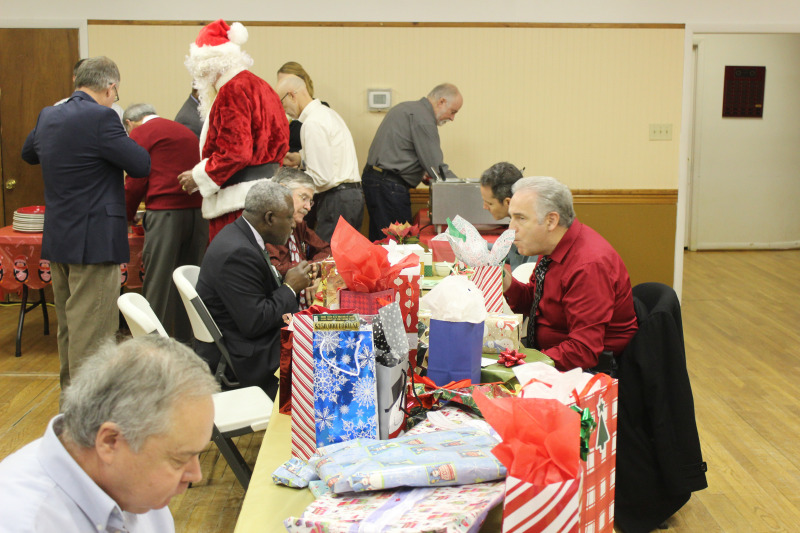 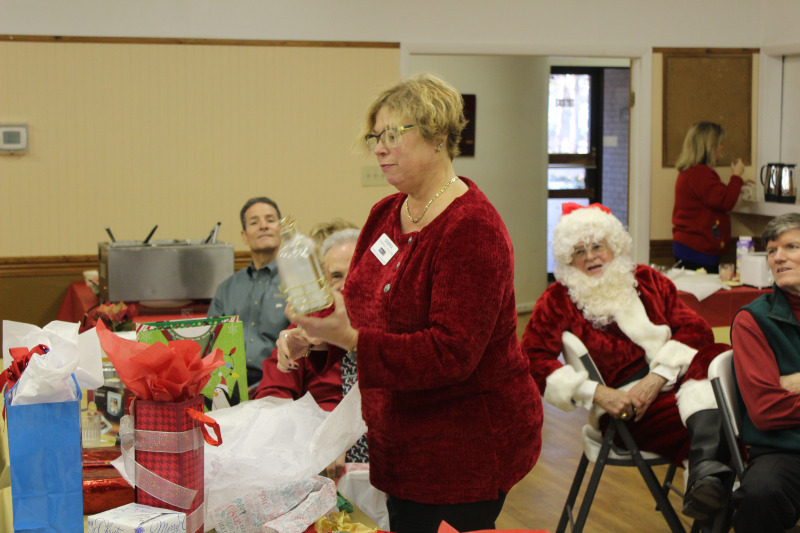 All the membership brought in "gifts" to conduct a Yankee Swap as part of our Christmas celebration. 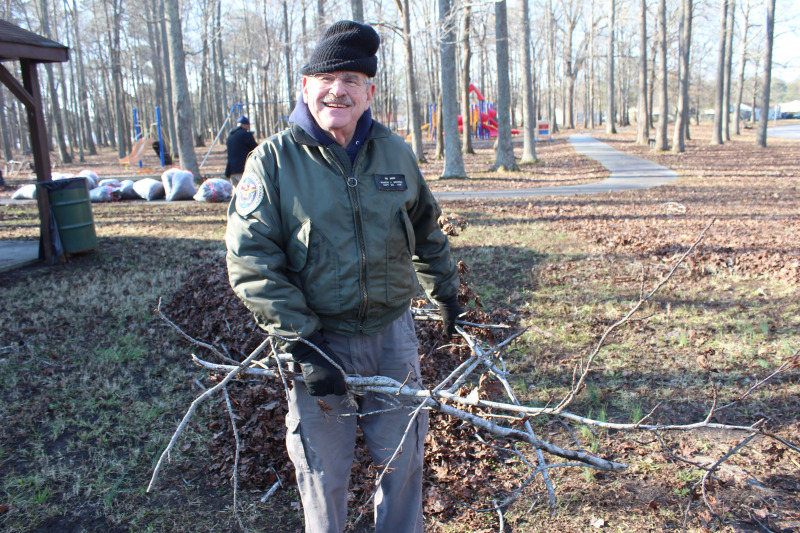 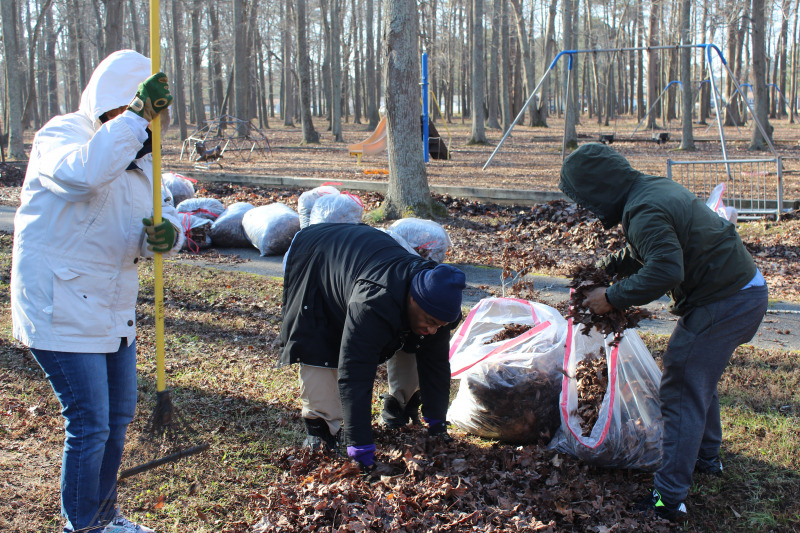 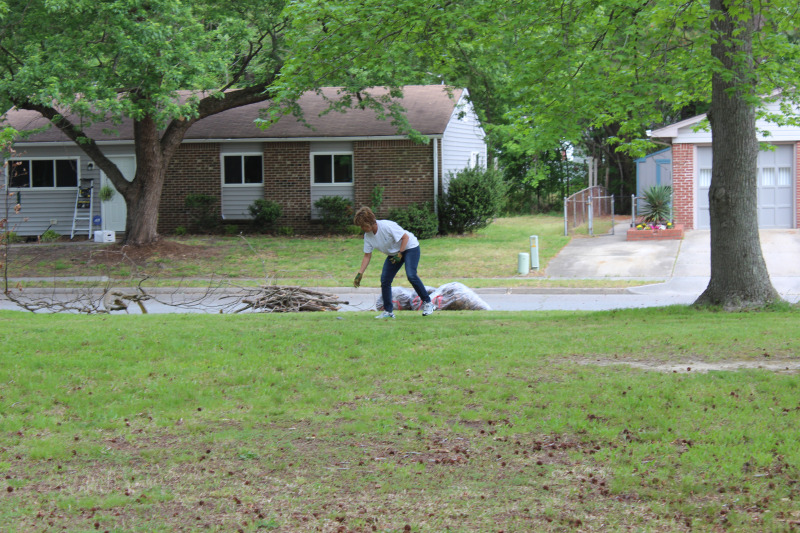 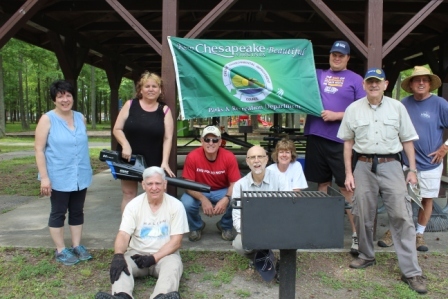 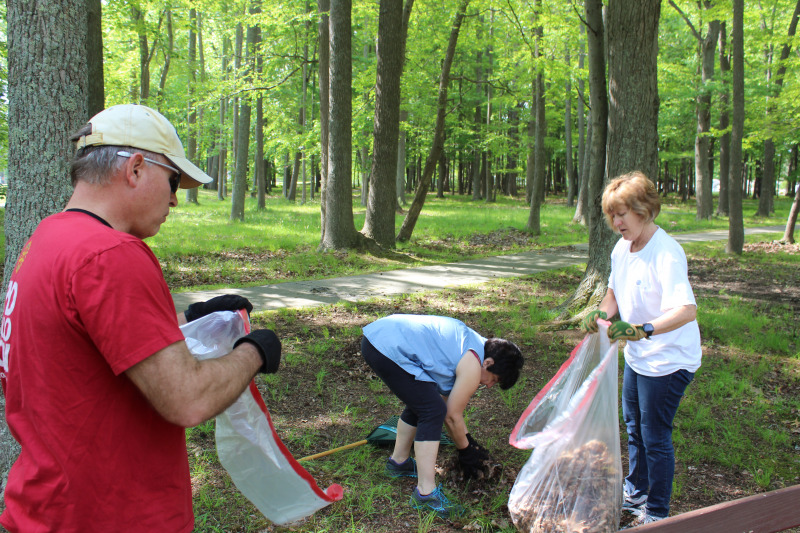 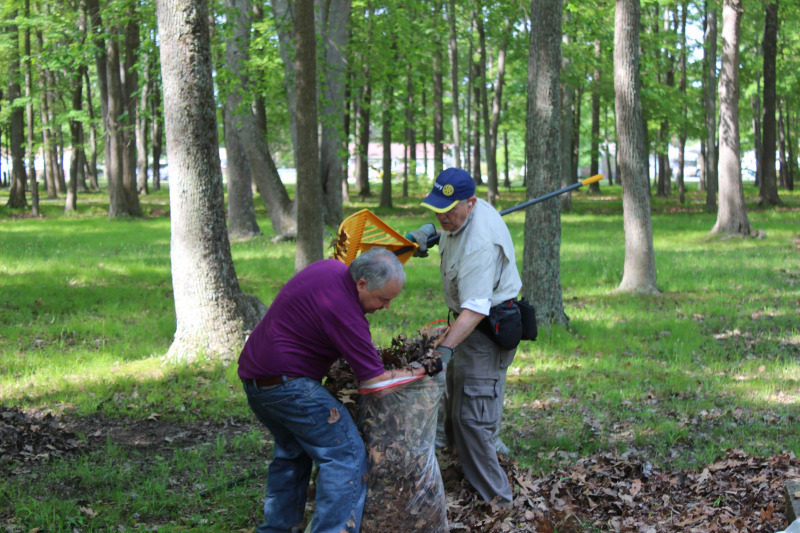 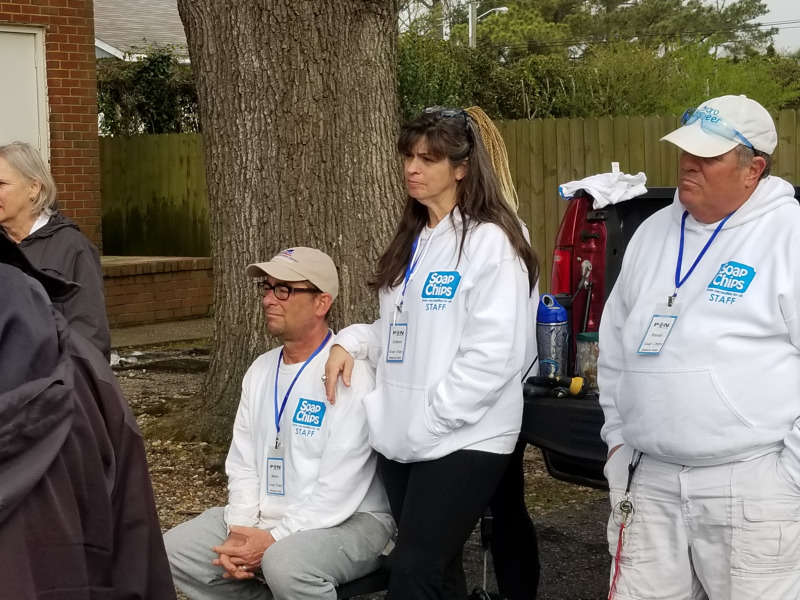 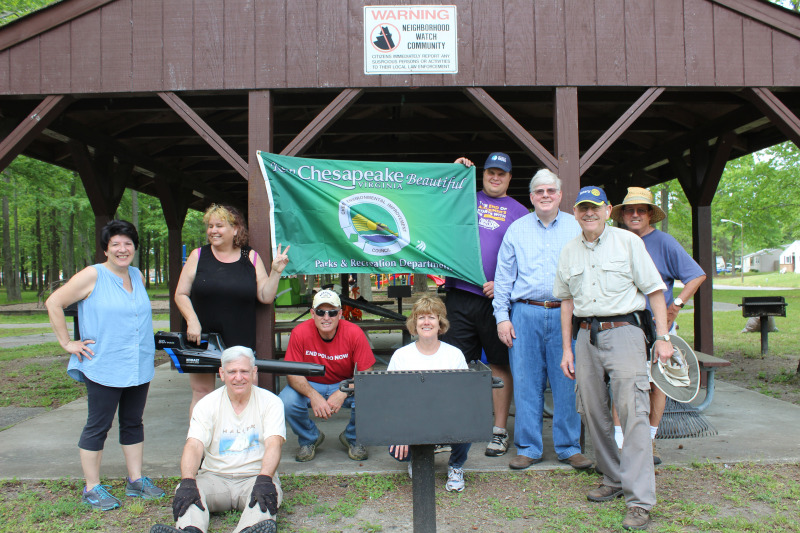 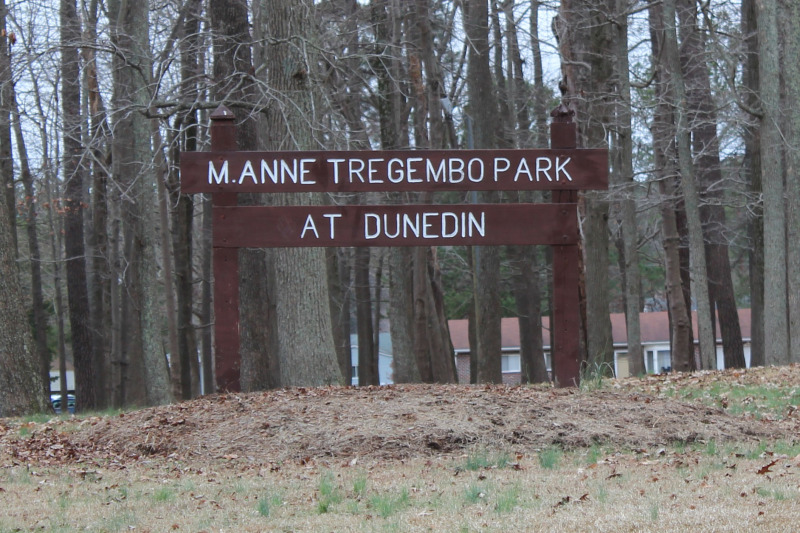 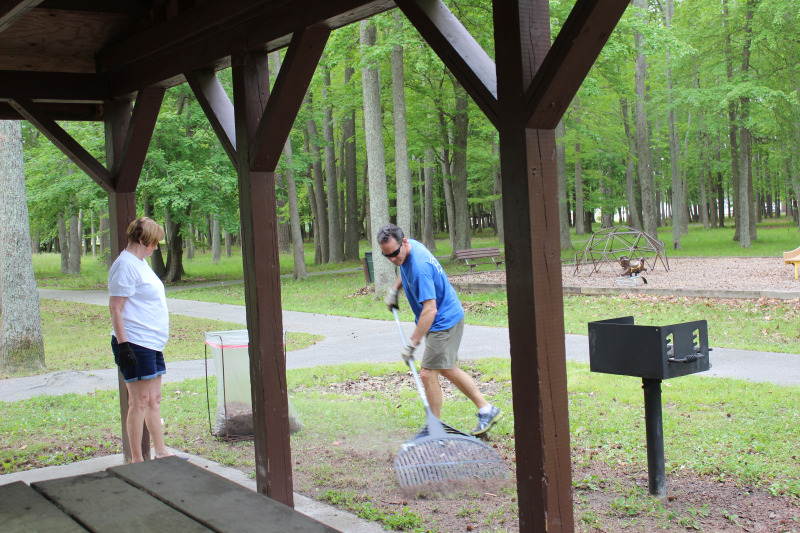 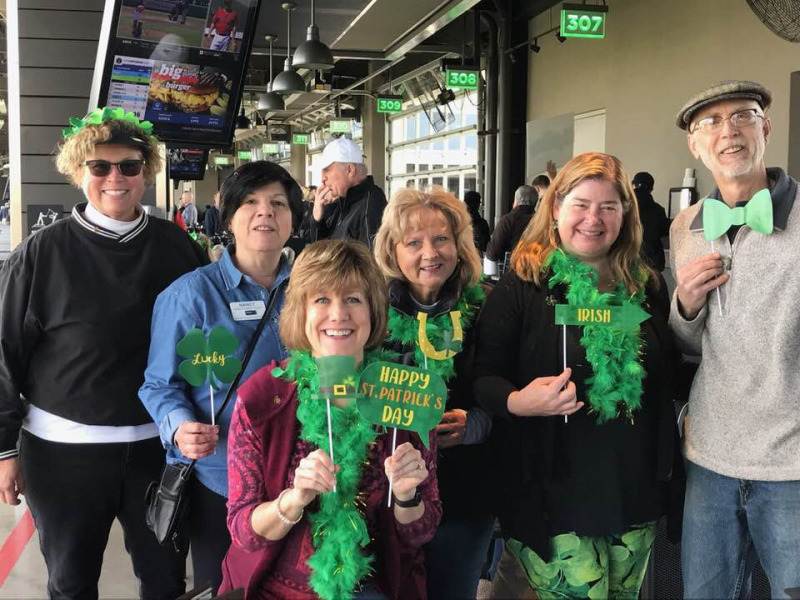 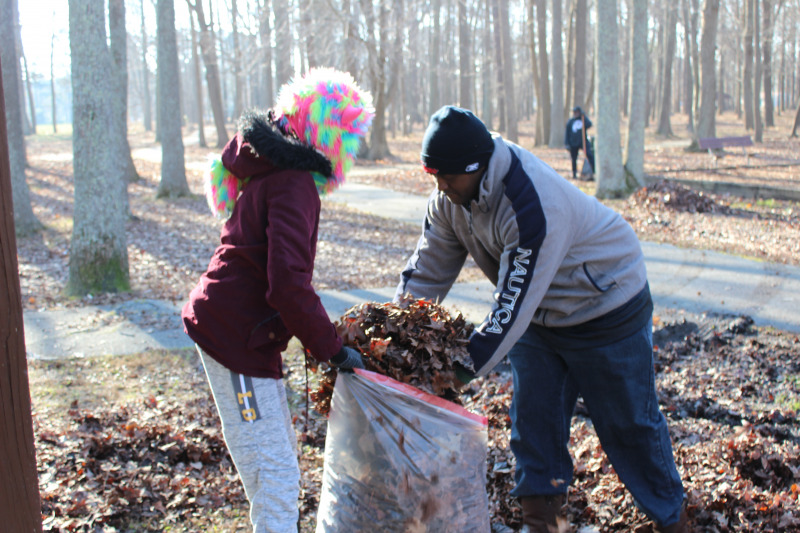 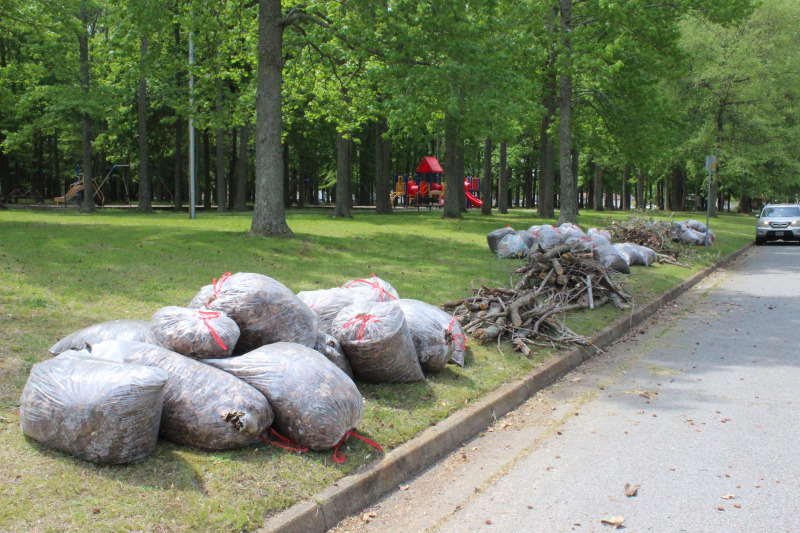 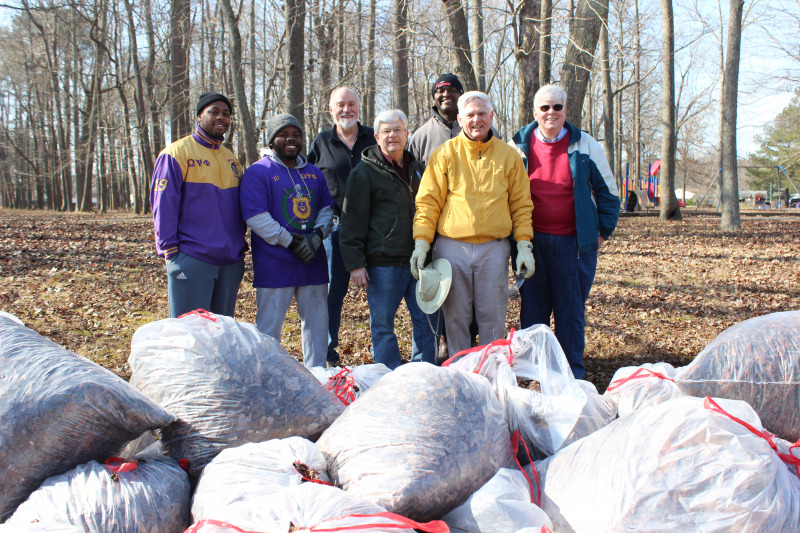 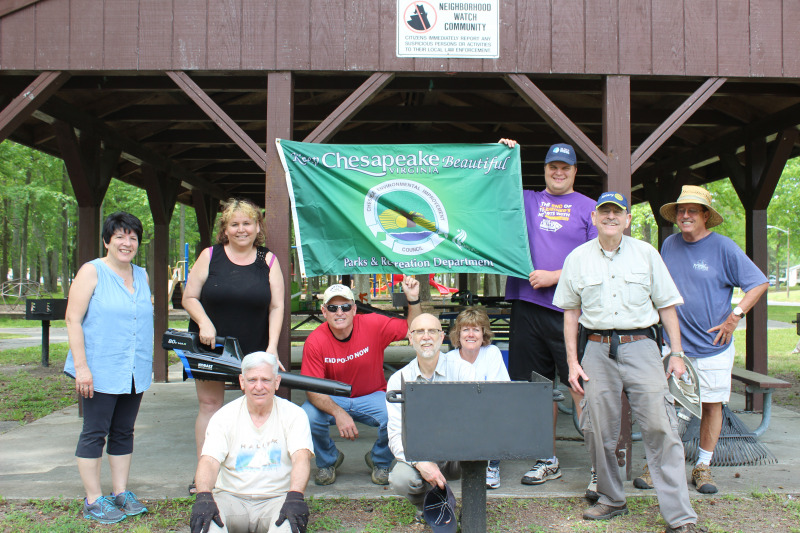 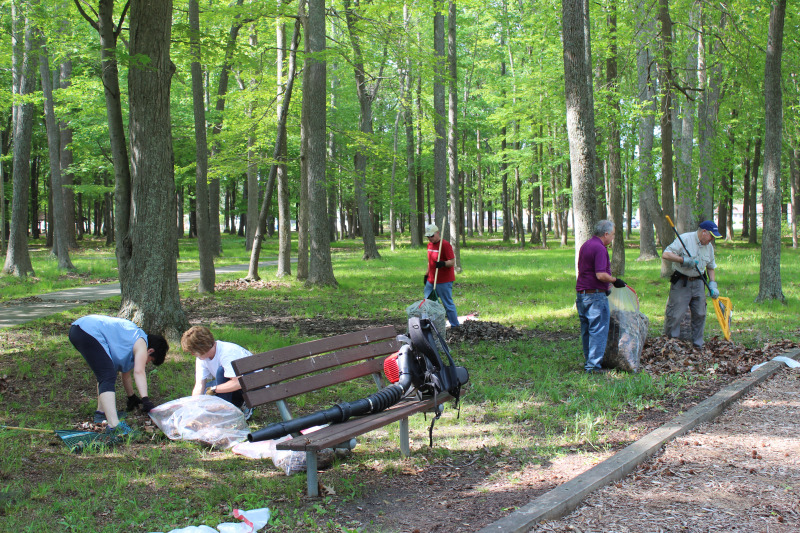 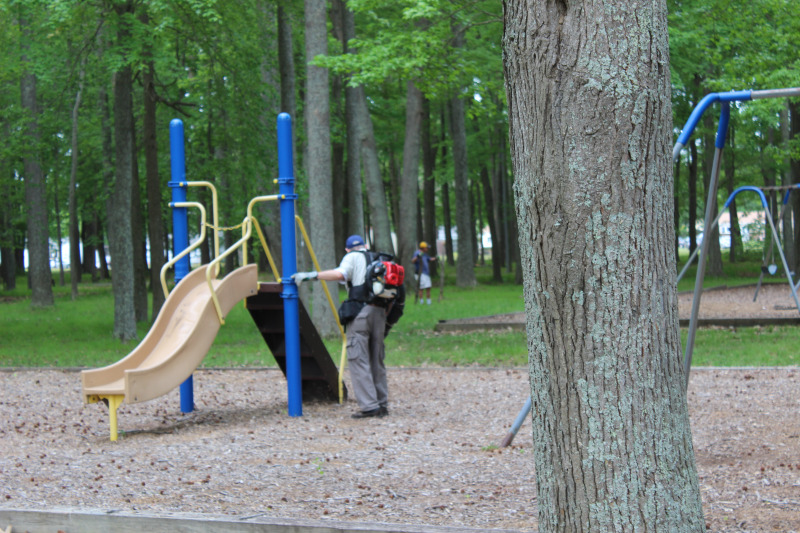 Churchland Rotarians participating in Adopt-A-Park Clean-Up at Dunedin Park in Chesapeake on May 5, 2018 Approximately 150 pounds of tree limbs were cleaned up and sixty 39 gallon bags of leaves, gum balls and trash were picked up.